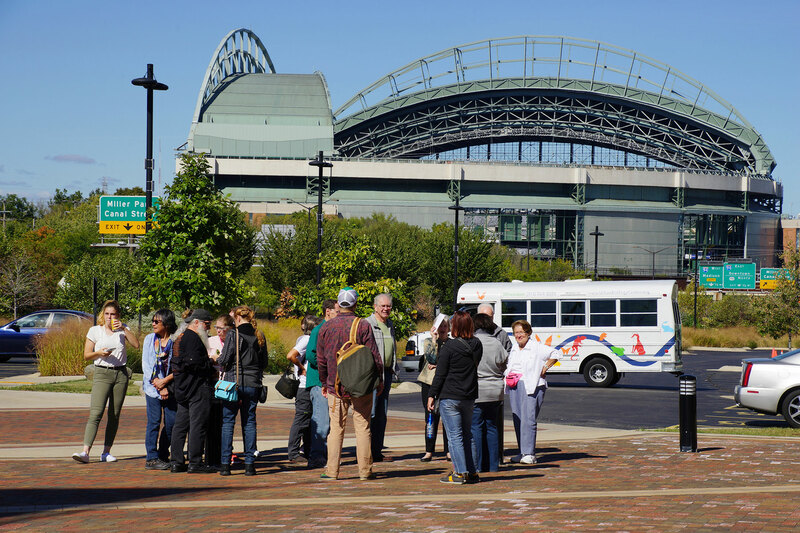 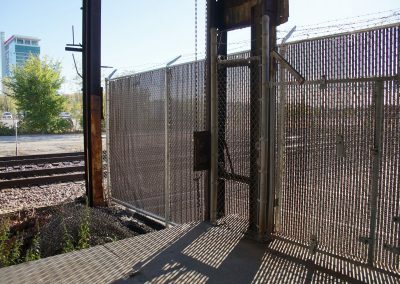 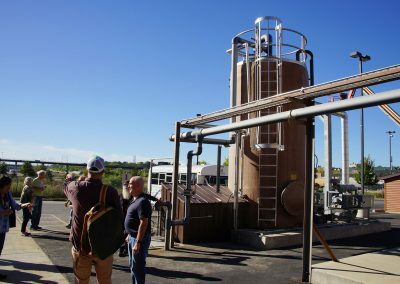 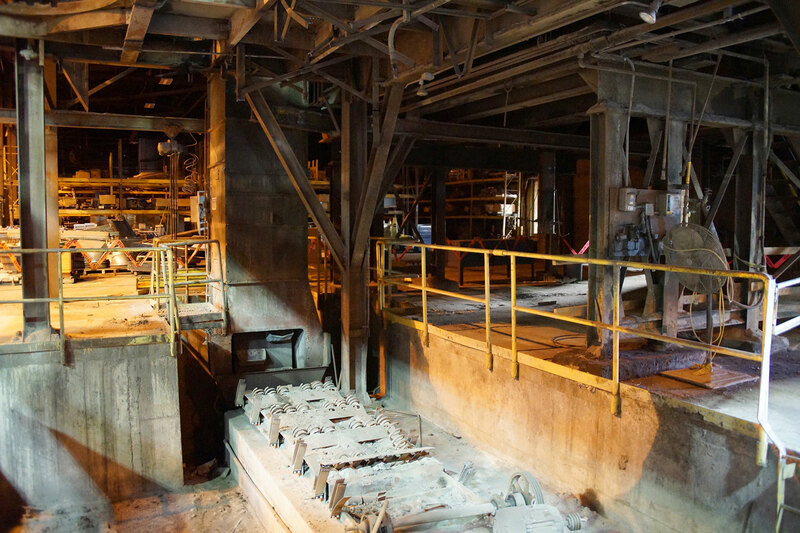 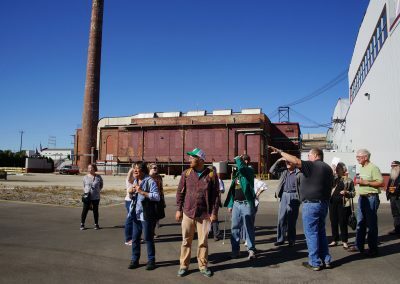 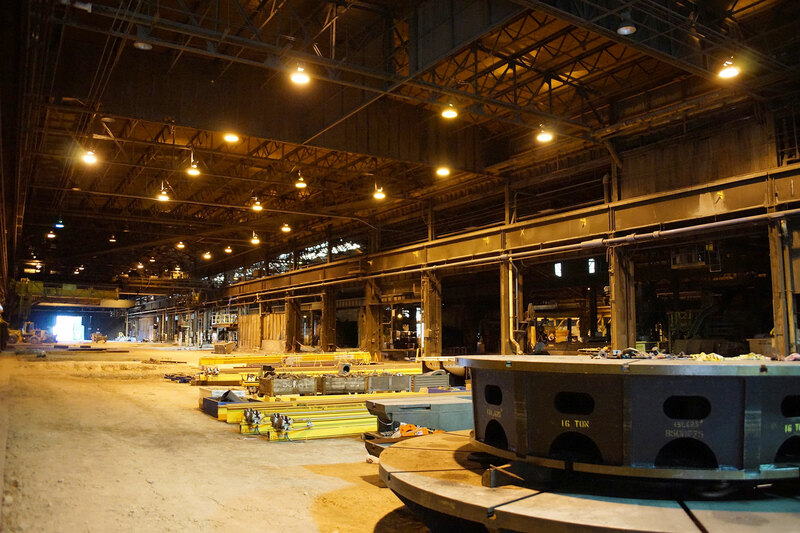 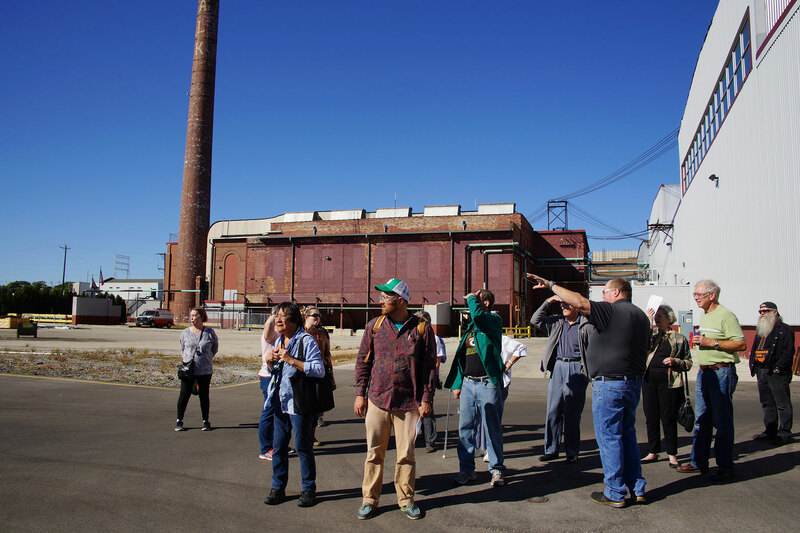 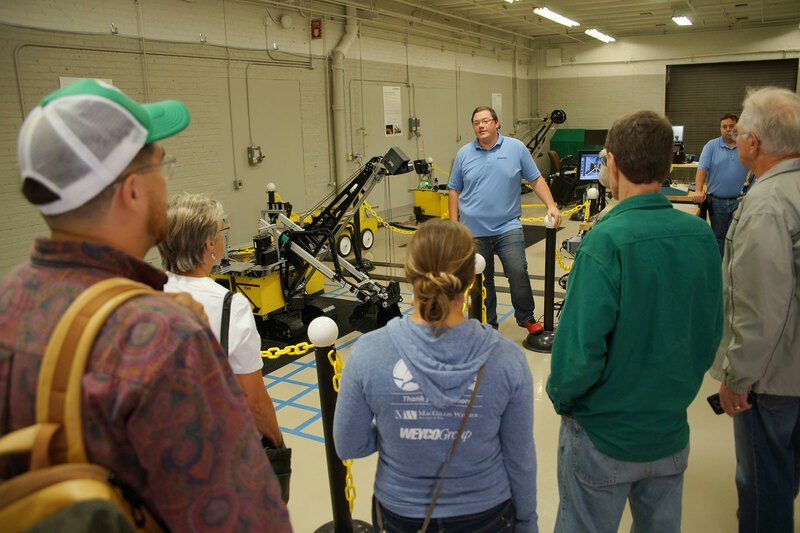 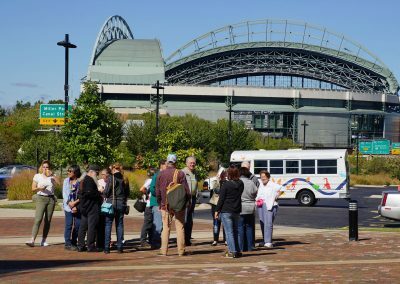 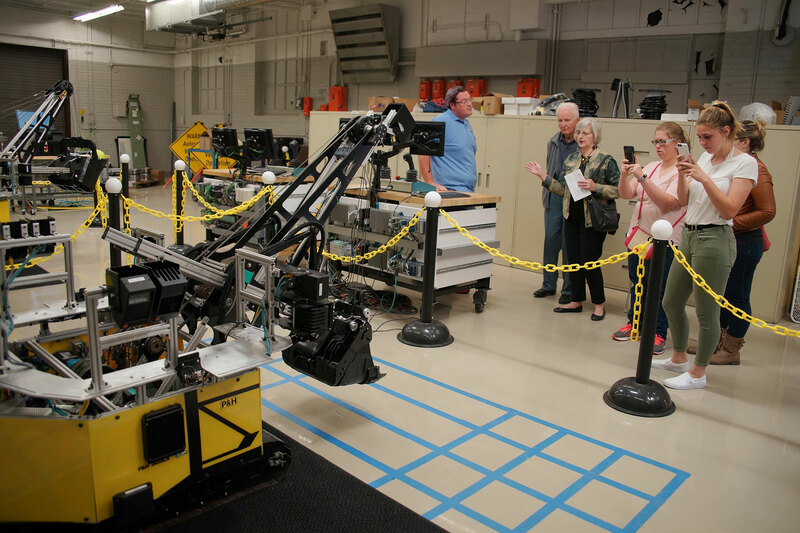 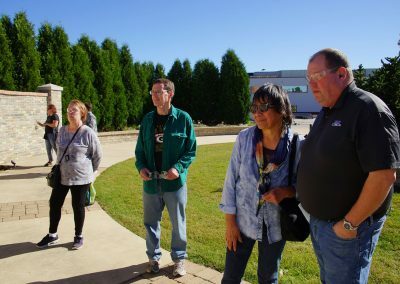 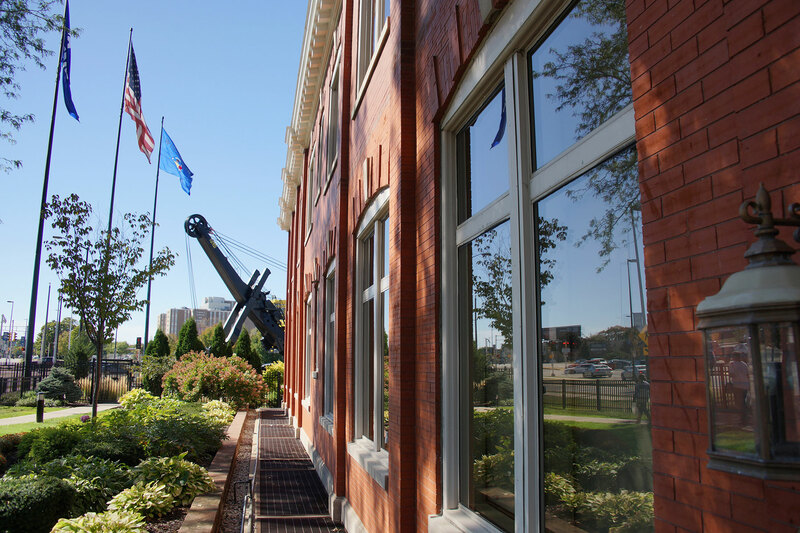 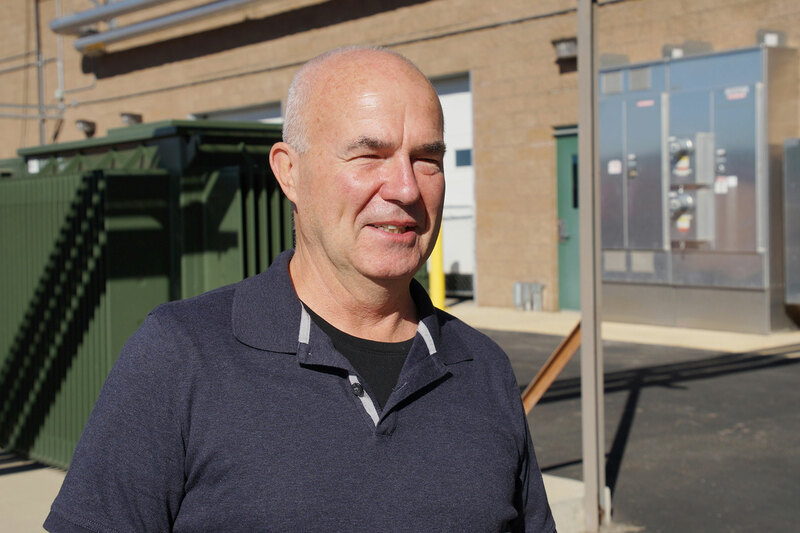 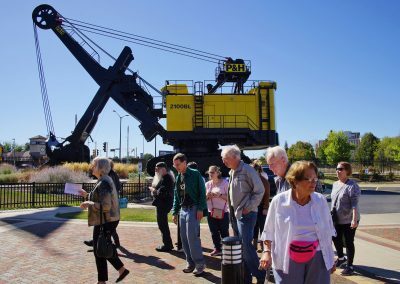 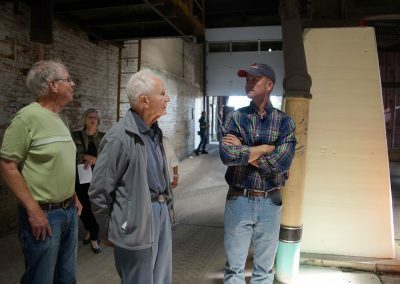 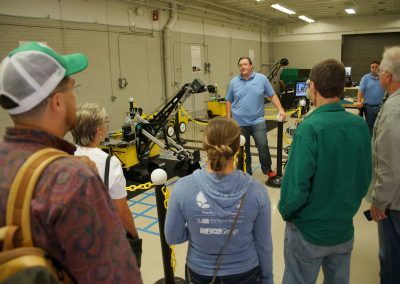 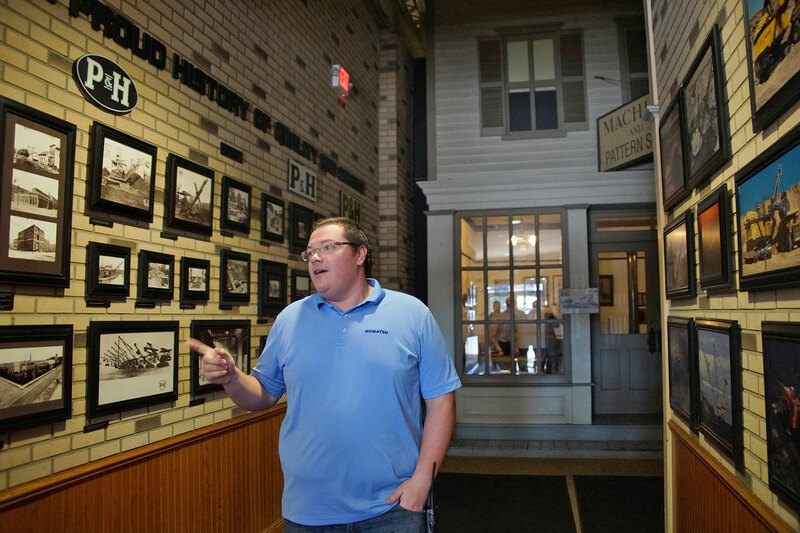 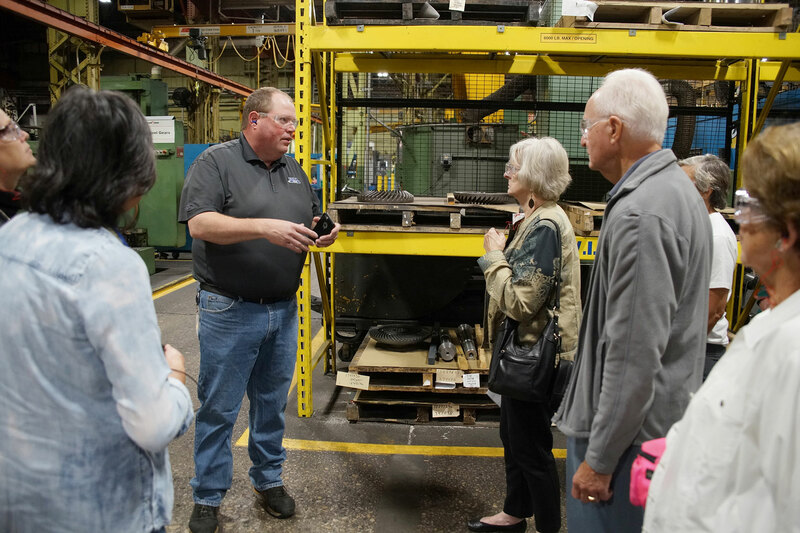 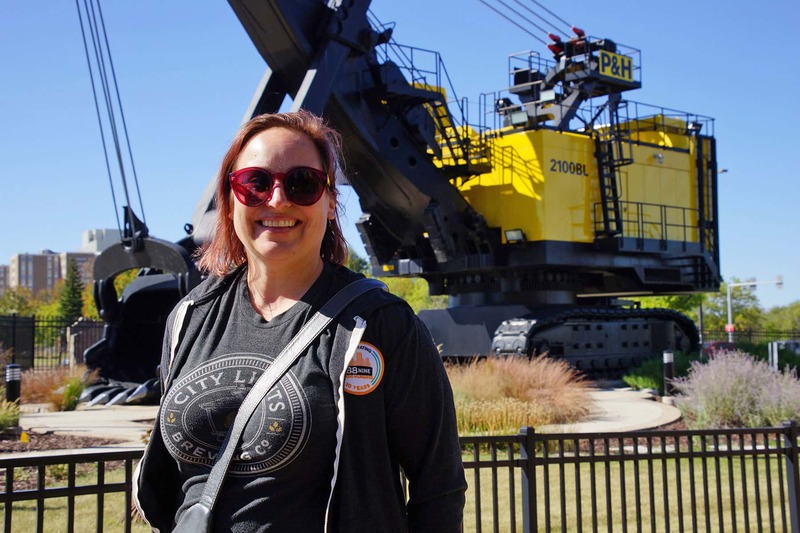 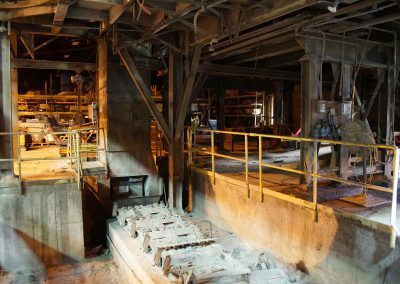 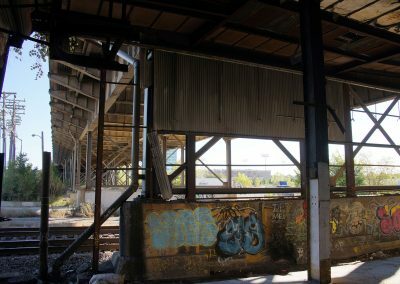 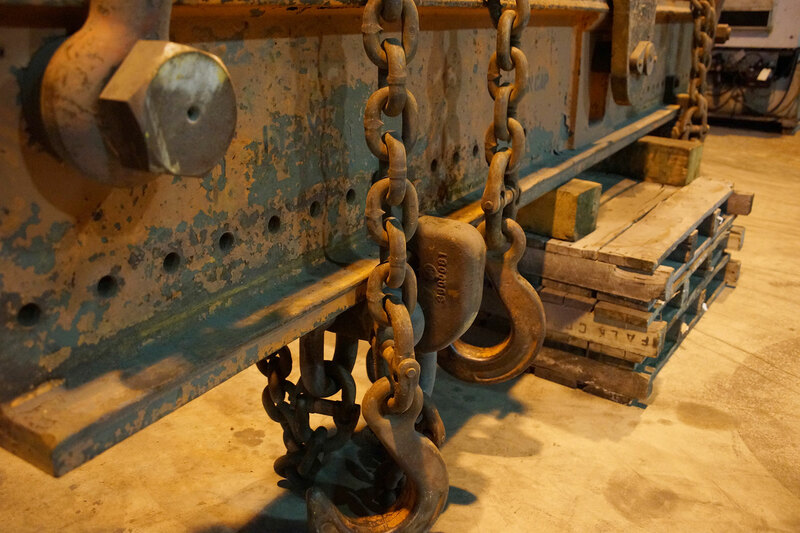 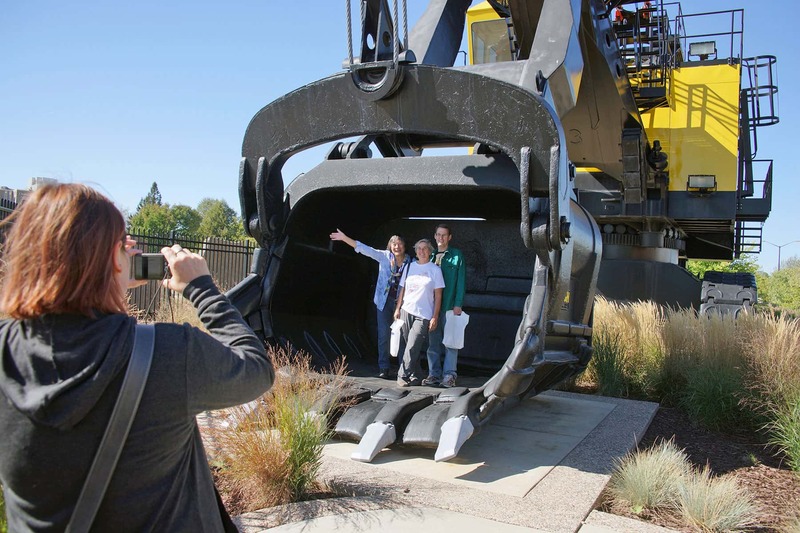 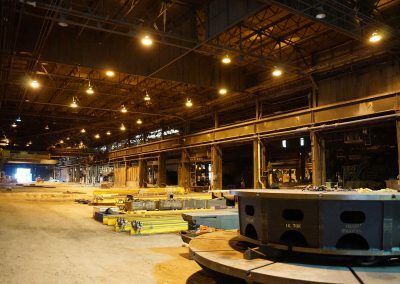 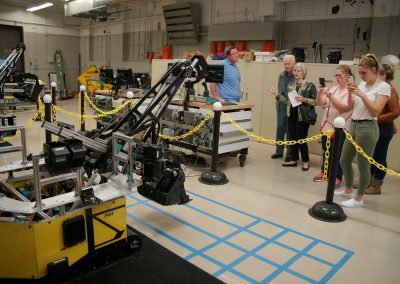 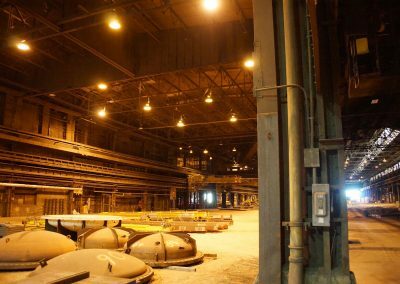 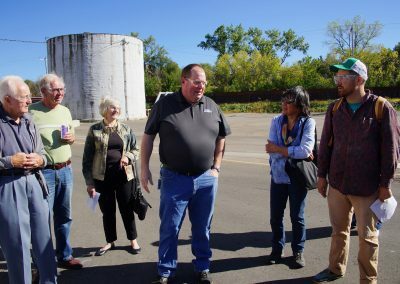 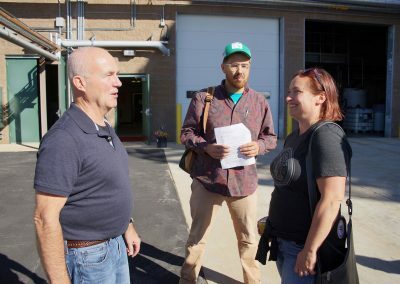 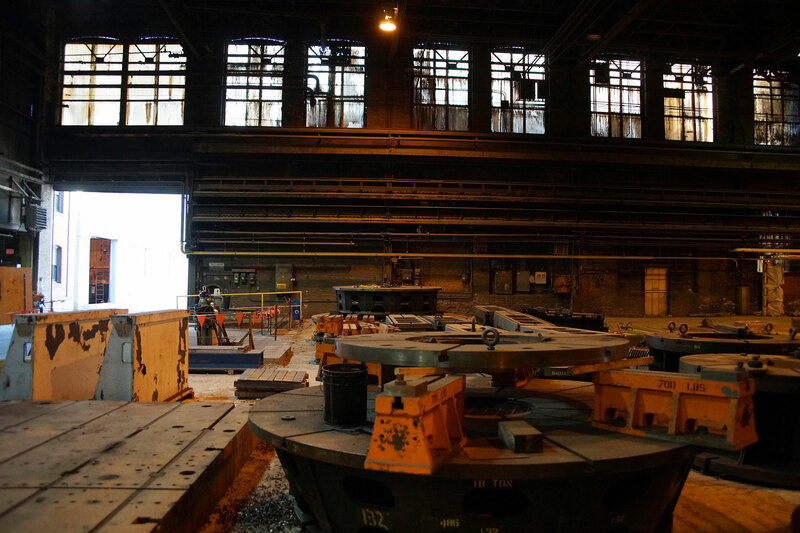 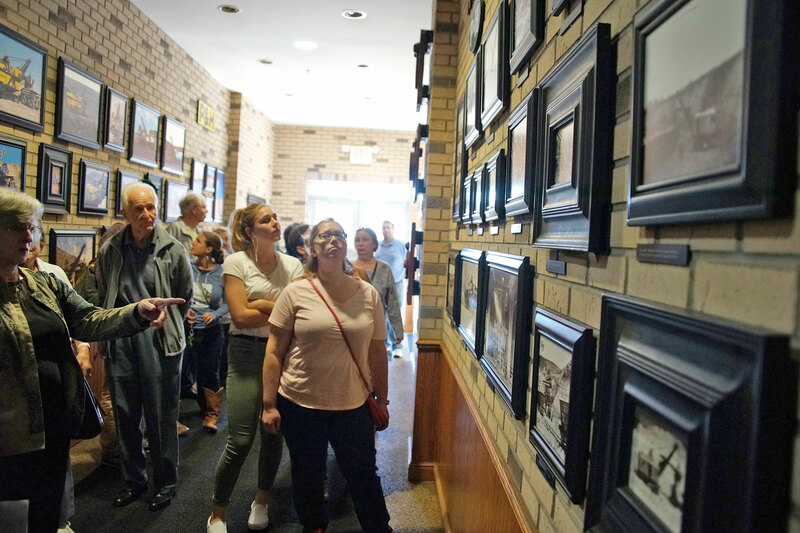 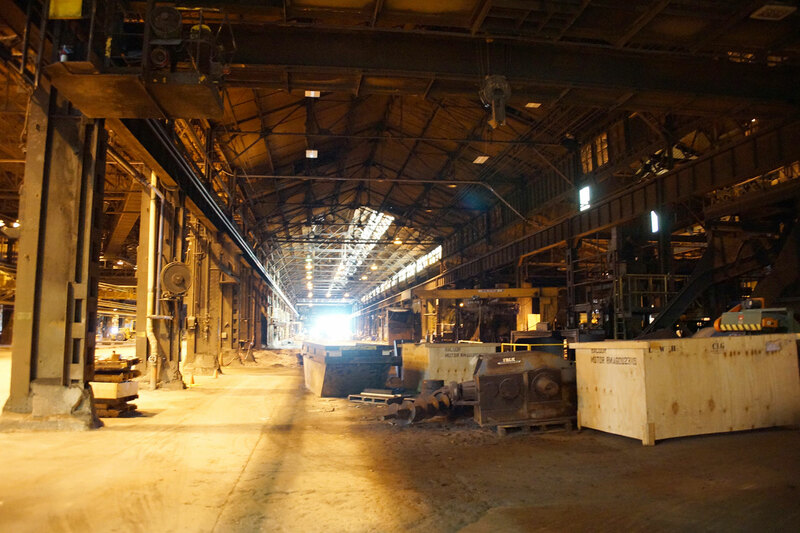 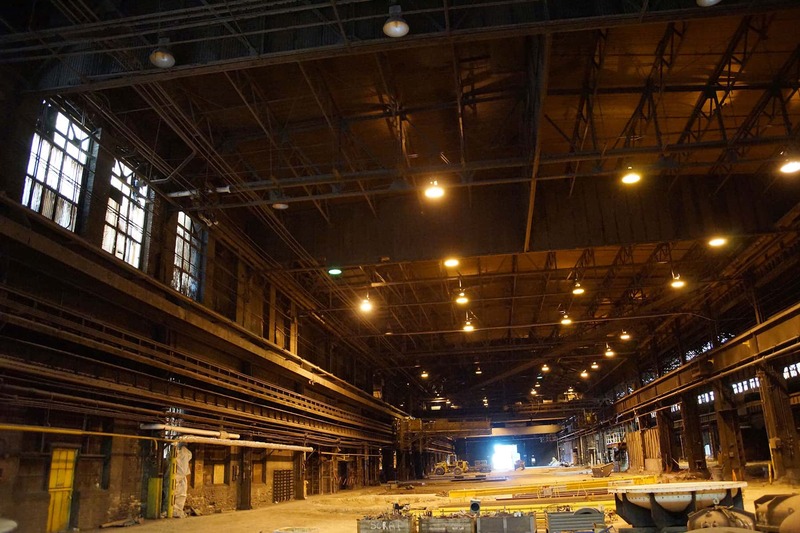 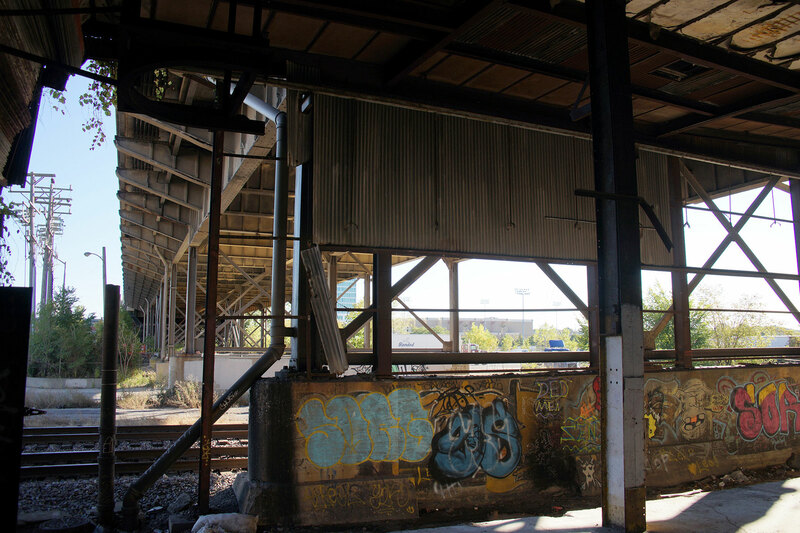 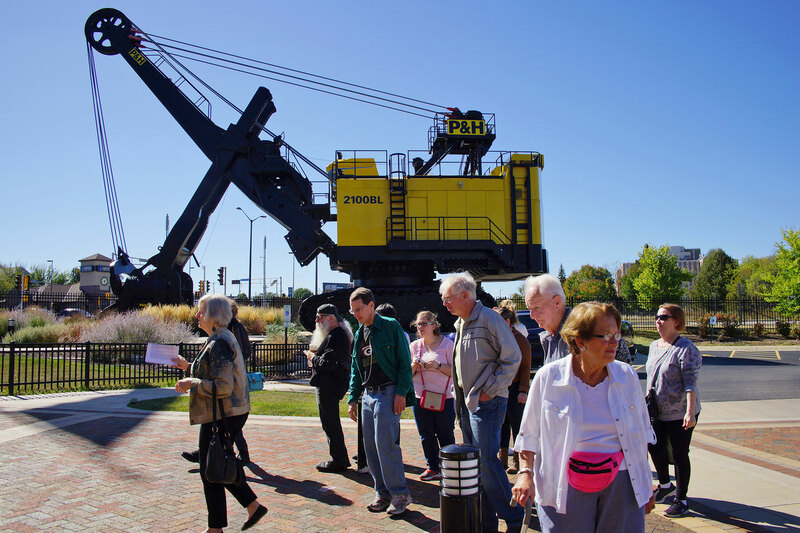 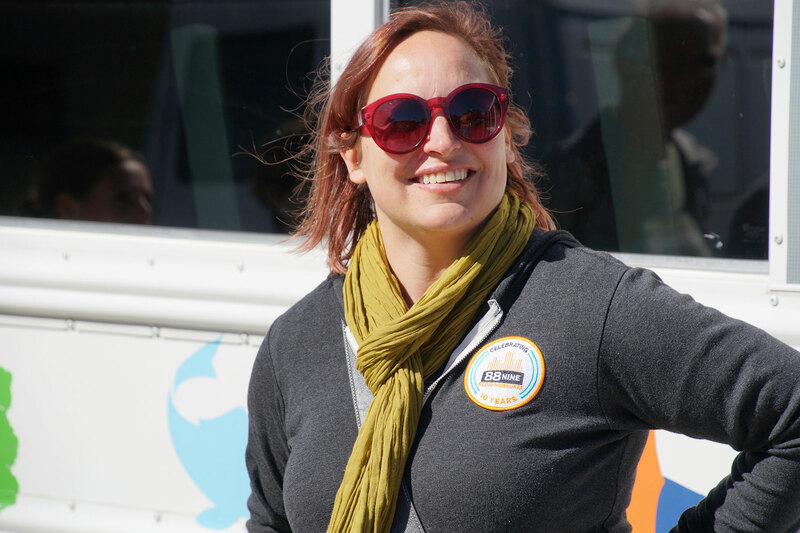 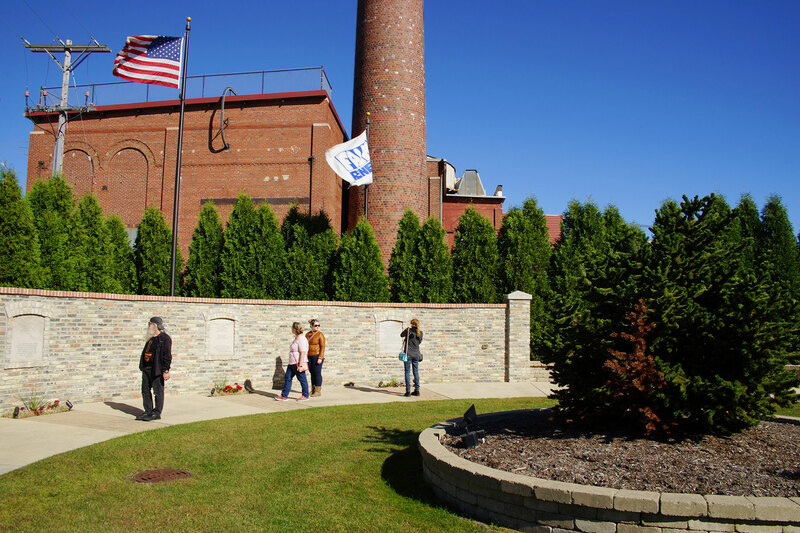 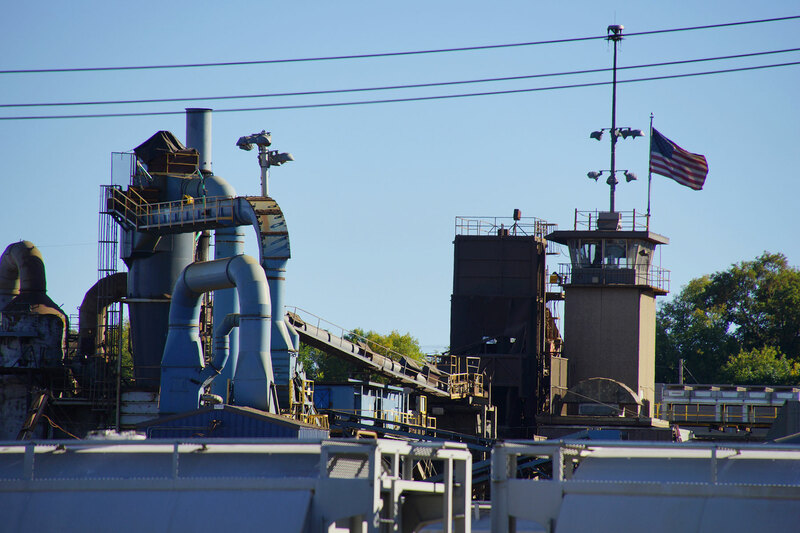 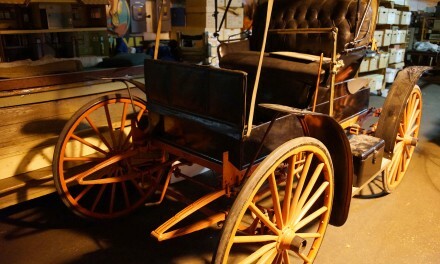 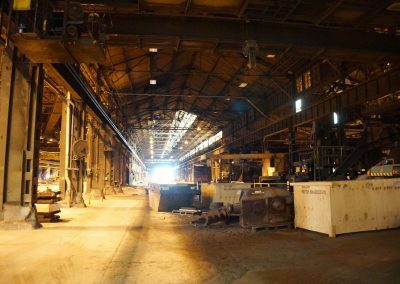 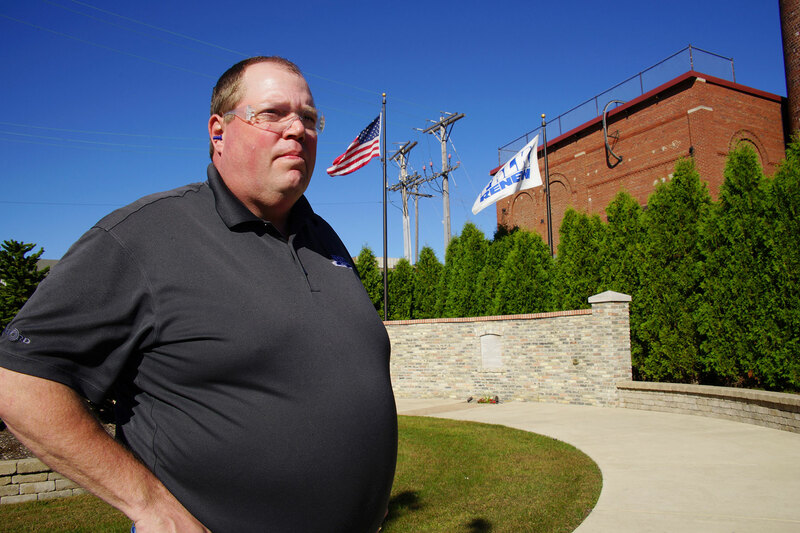 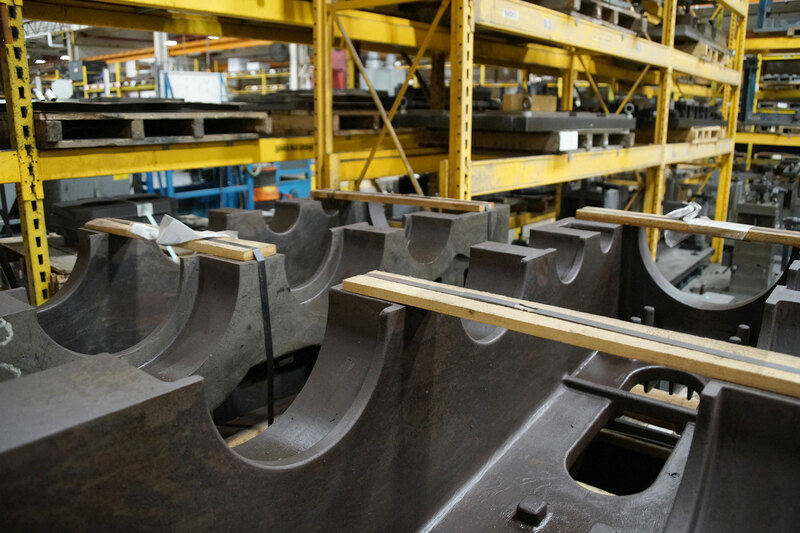 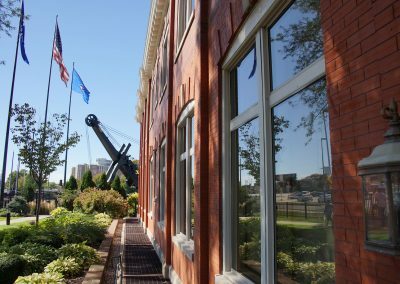 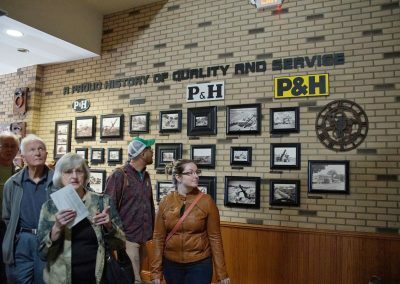 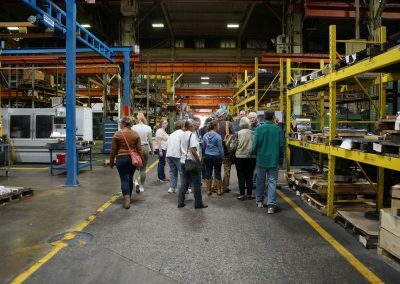 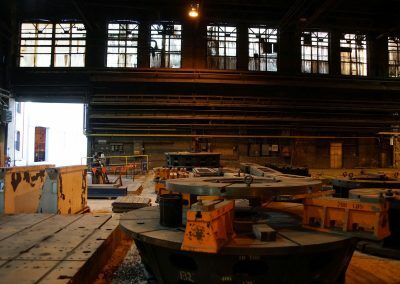 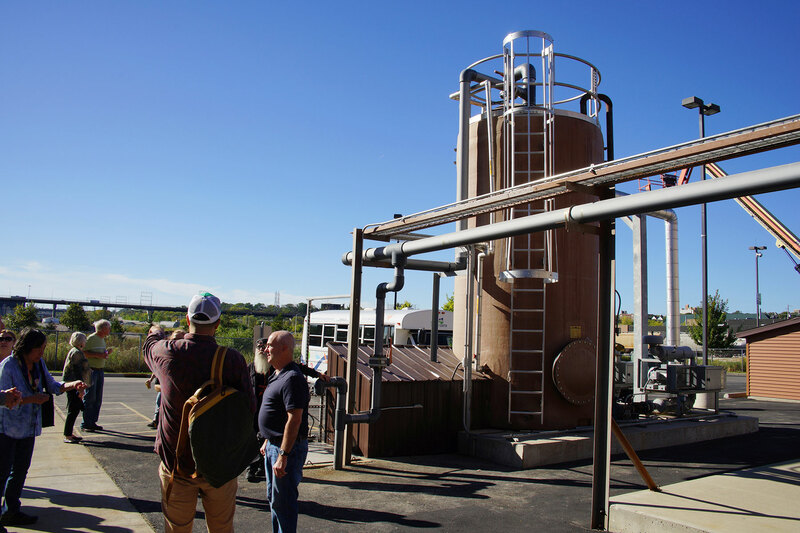 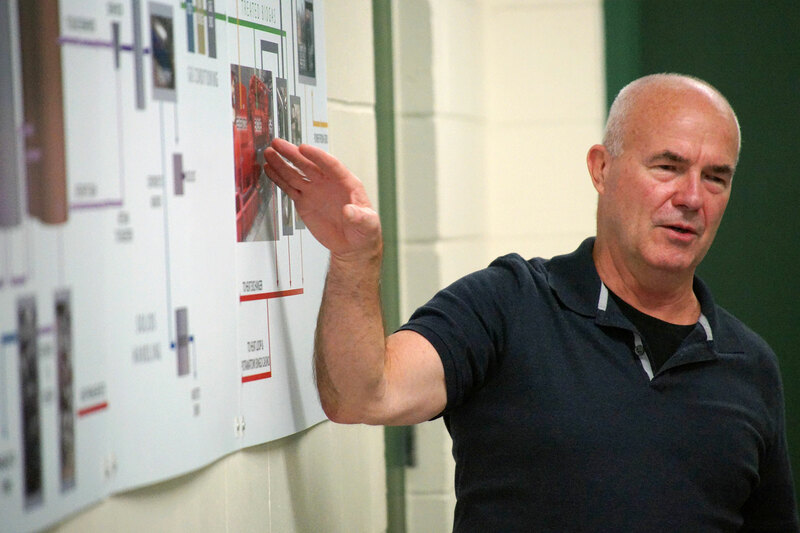 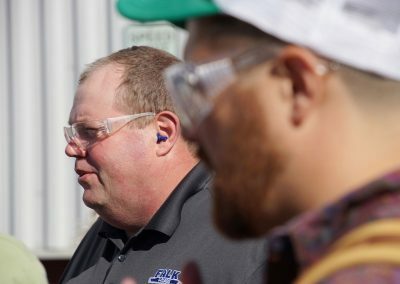 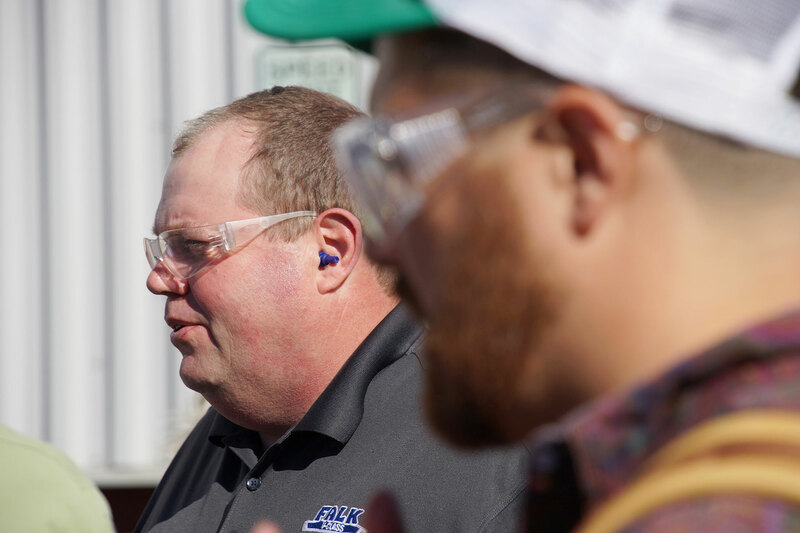 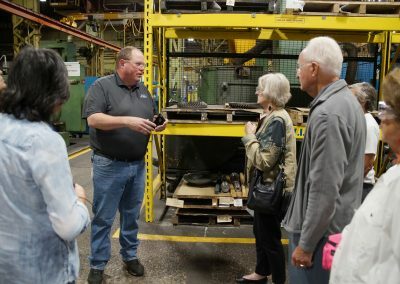 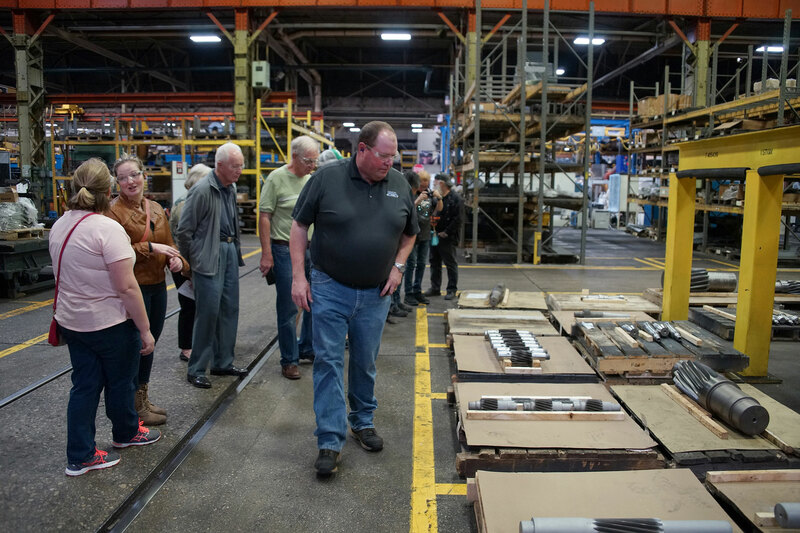 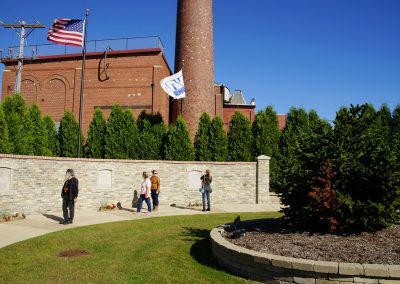 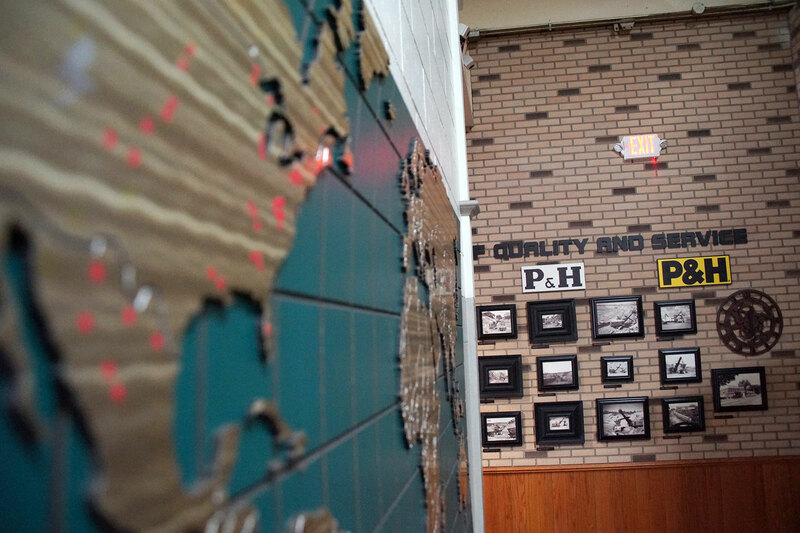 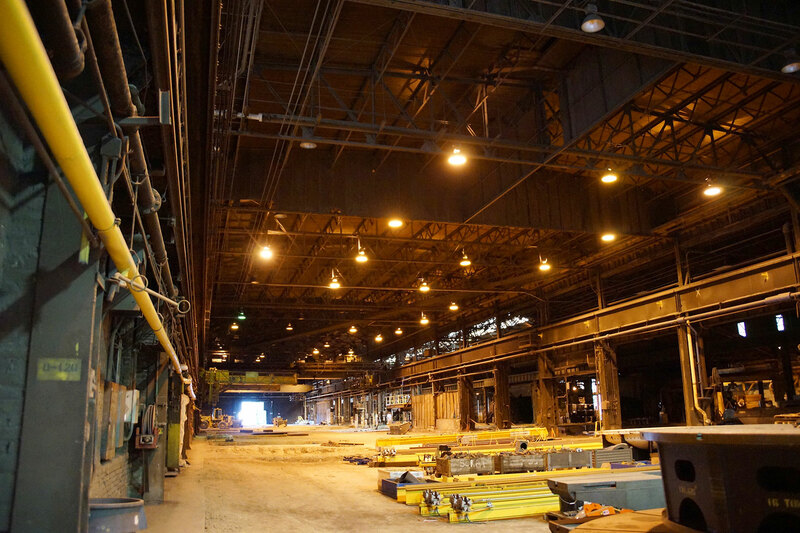 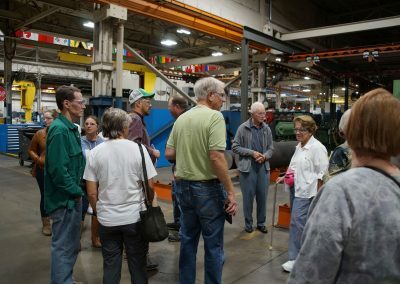 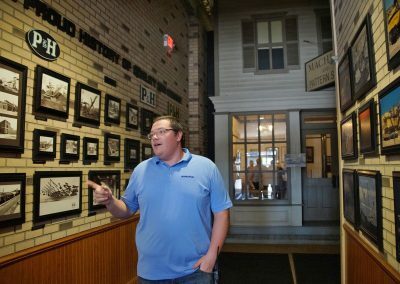 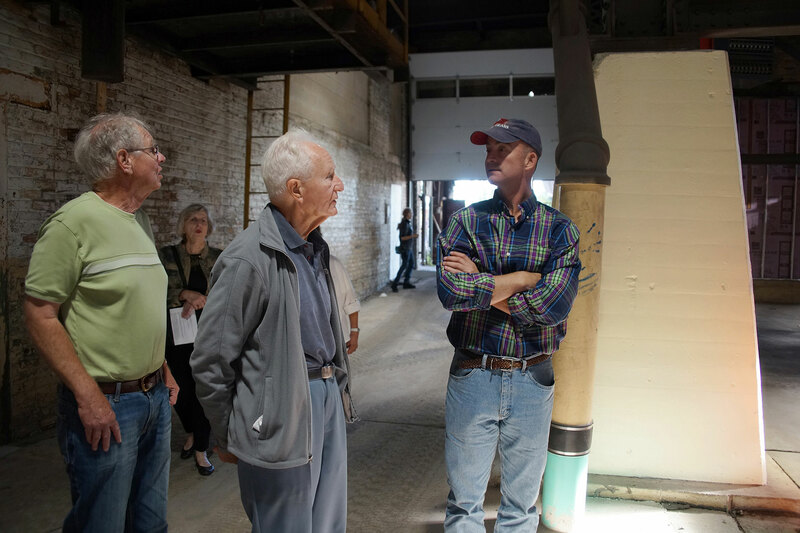 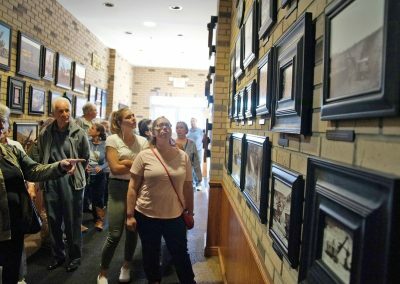 The inaugural Valley Week celebrated Milwaukee’s Menomonee Valley from September 23 to 30, highlighting the history and evolution of the vital industrial region, ending with a special tour of the area. 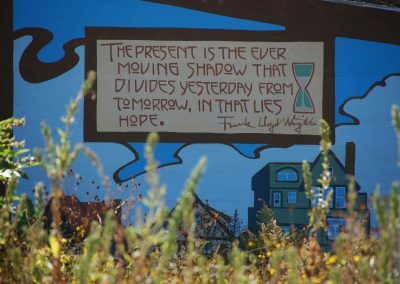 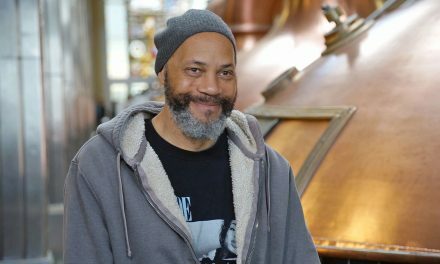 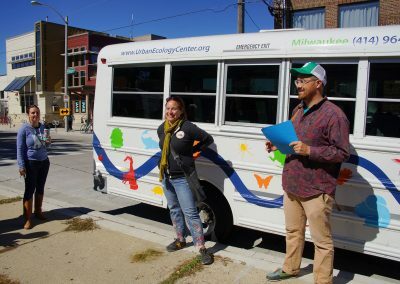 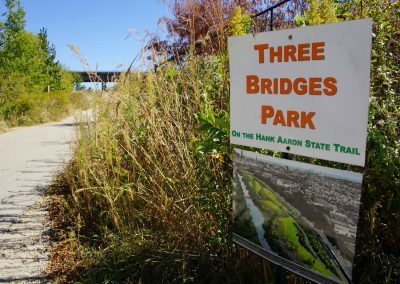 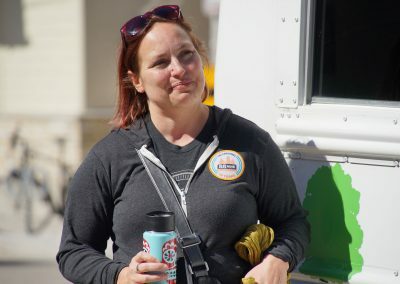 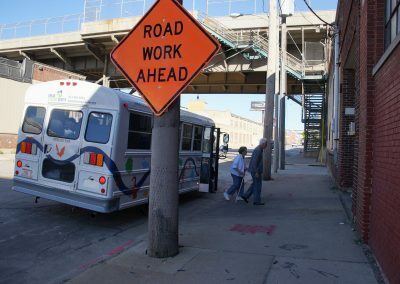 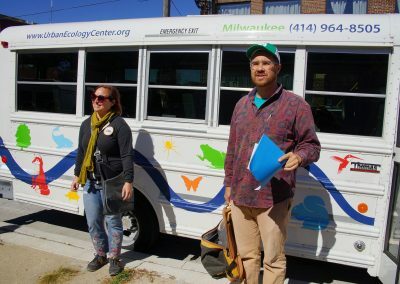 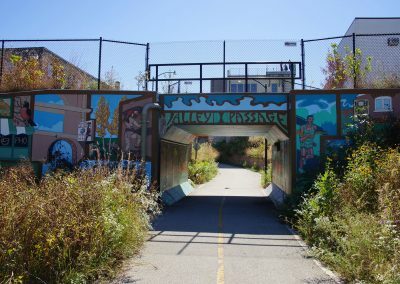 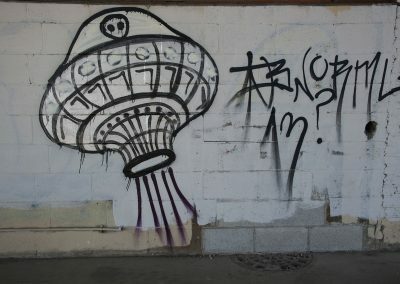 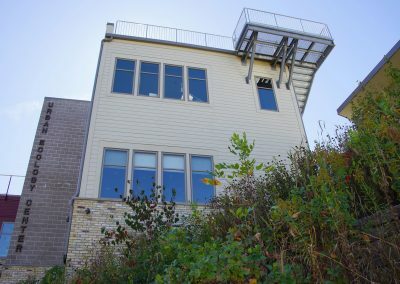 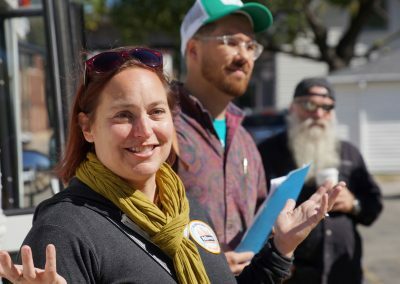 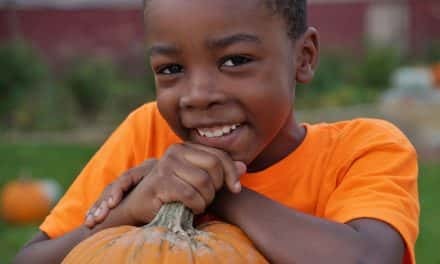 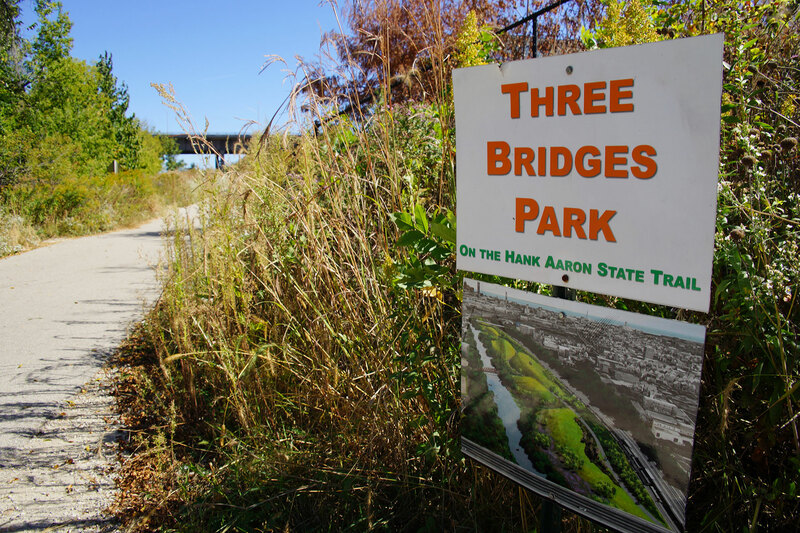 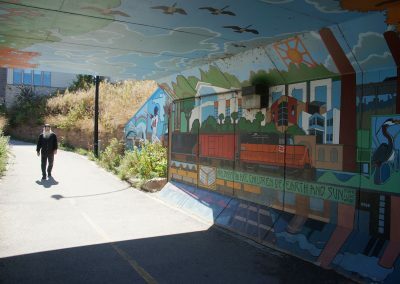 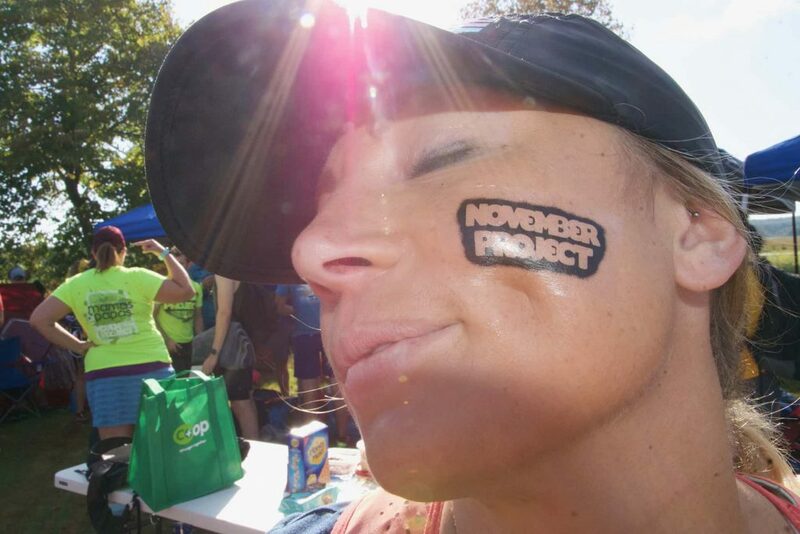 The week of events invited the community to explore and experience the Menomonee Valley, from a beer run, to a bike ride along the Hank Aaron State Trail, to a Menomonee River Kayak Tour, to family-friendly campfire gatherings, and tree plantings with environmental education about the urban district. 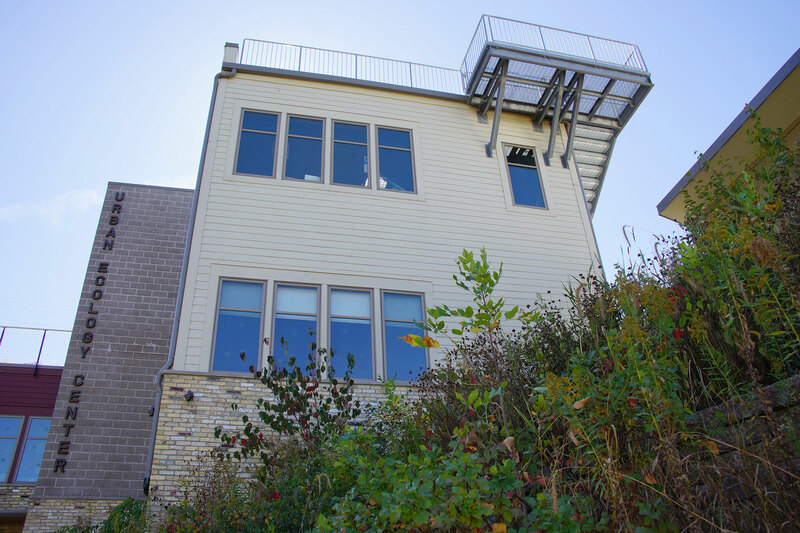 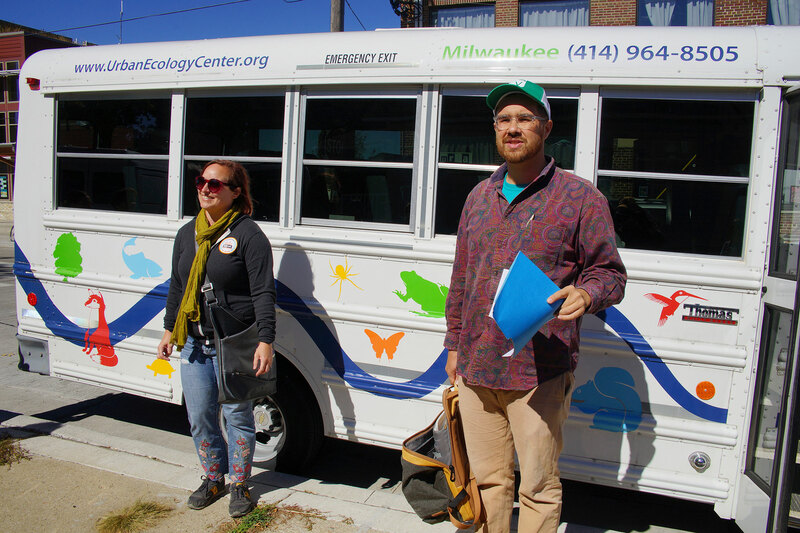 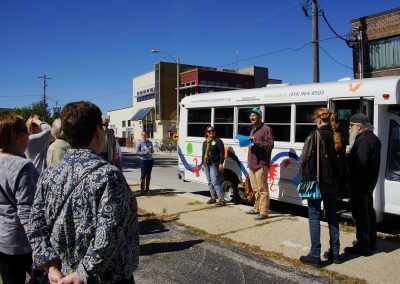 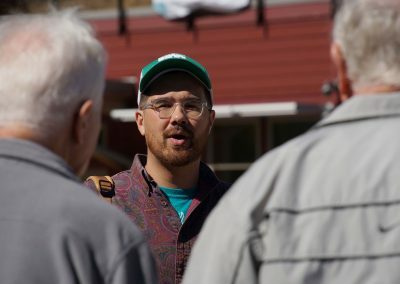 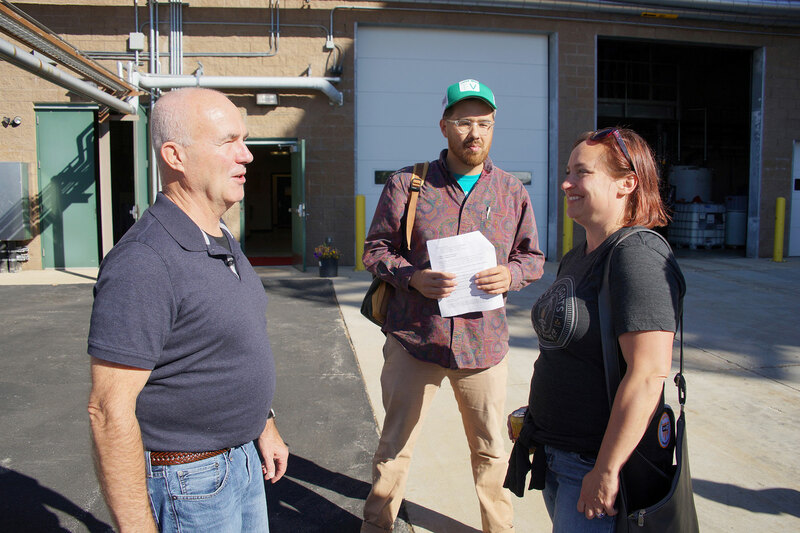 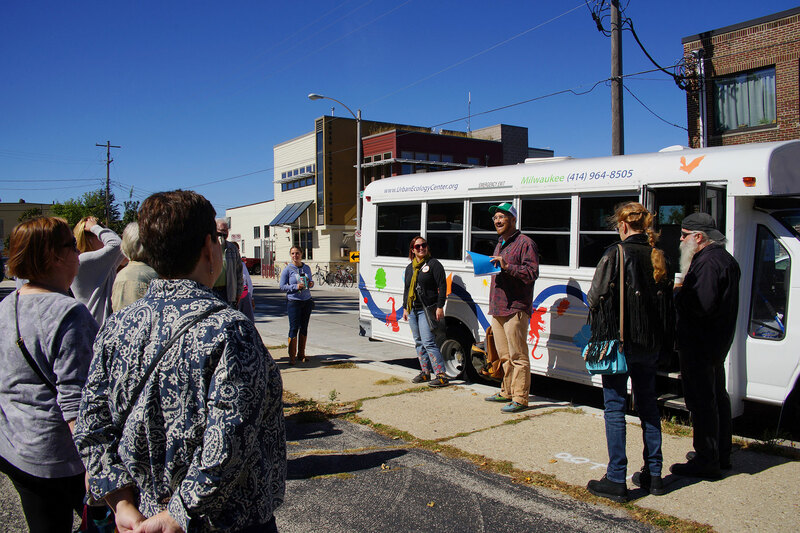 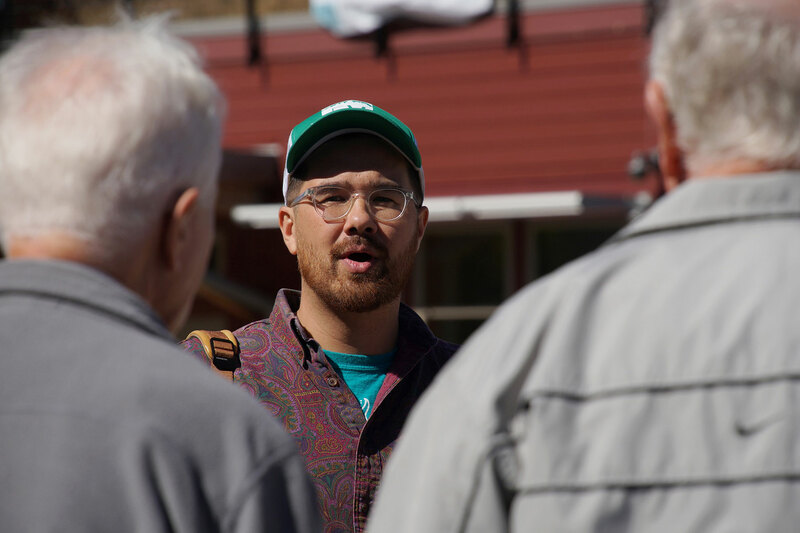 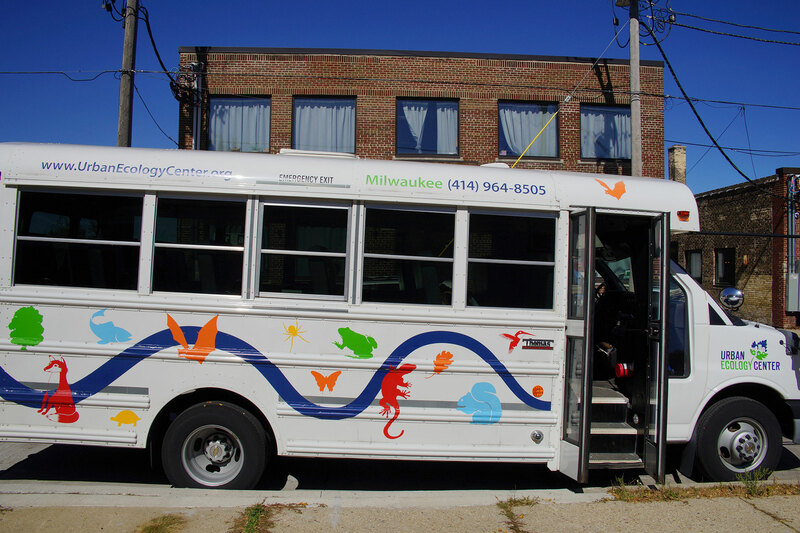 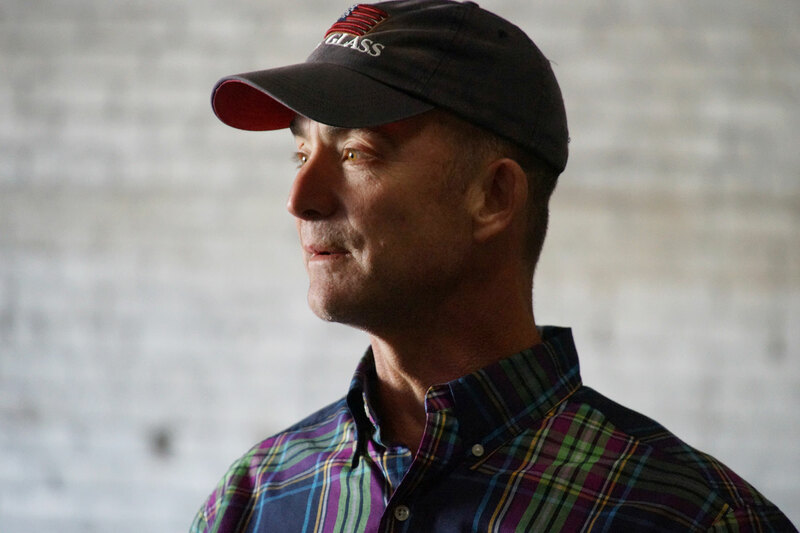 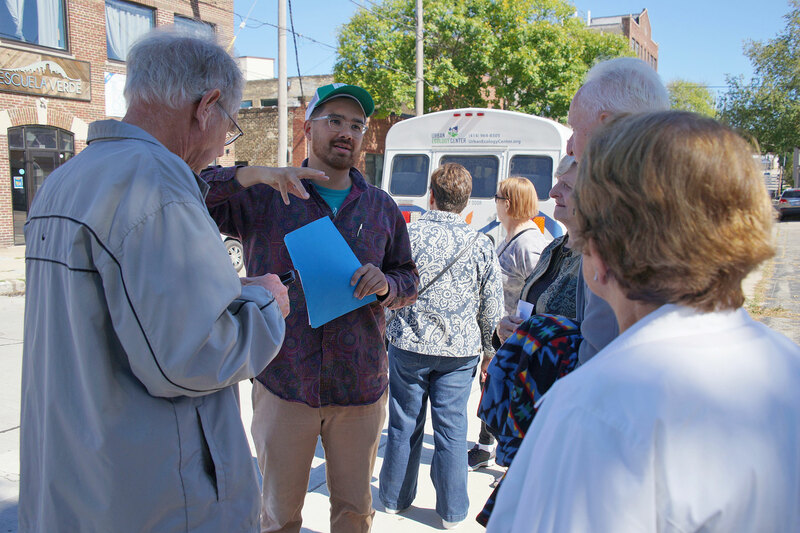 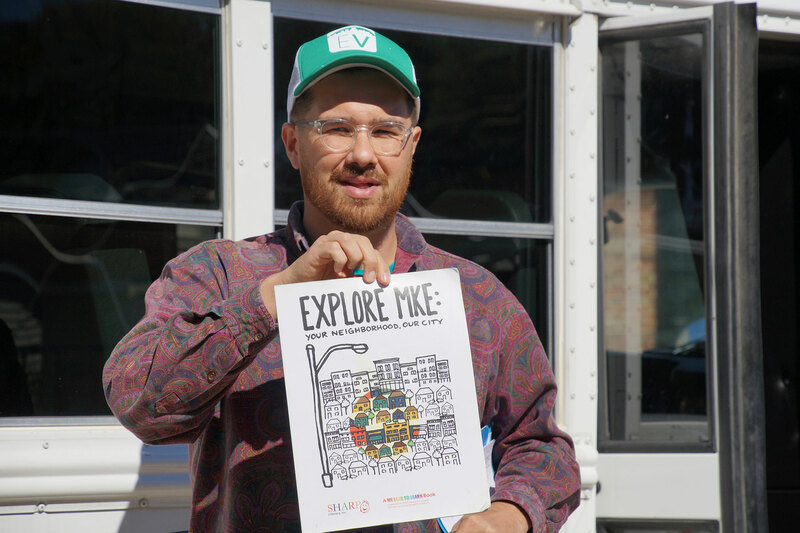 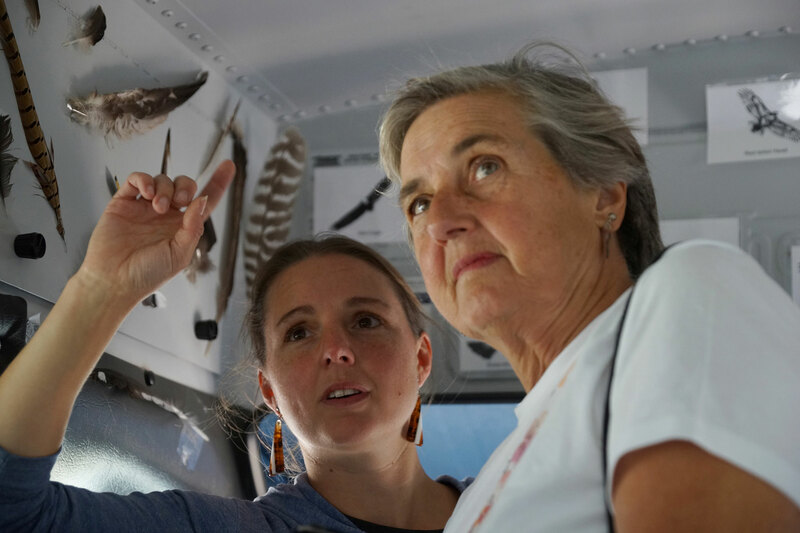 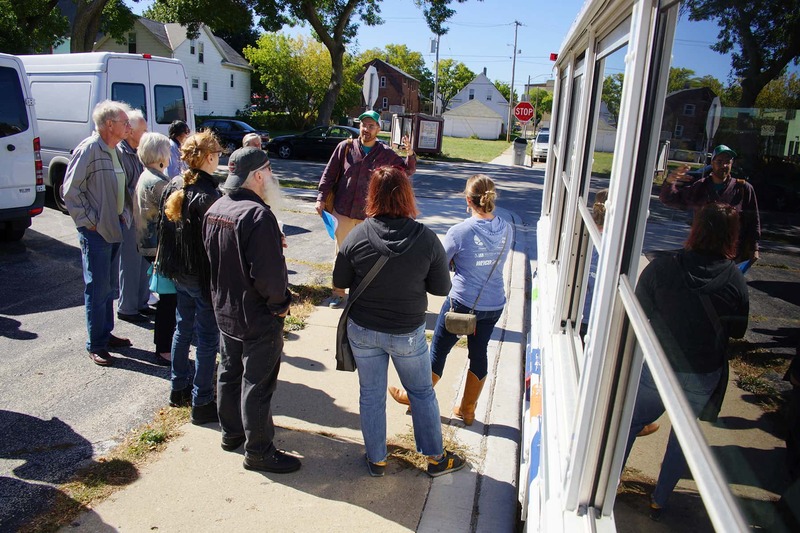 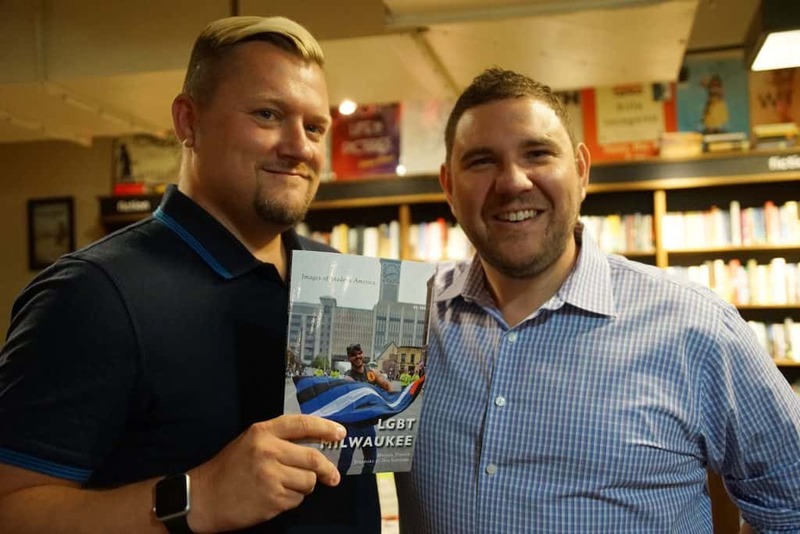 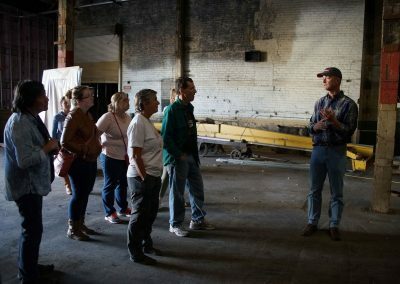 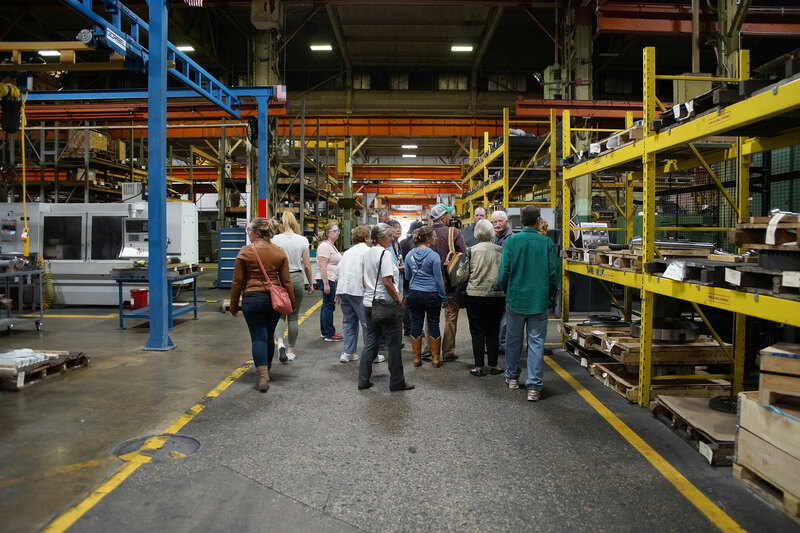 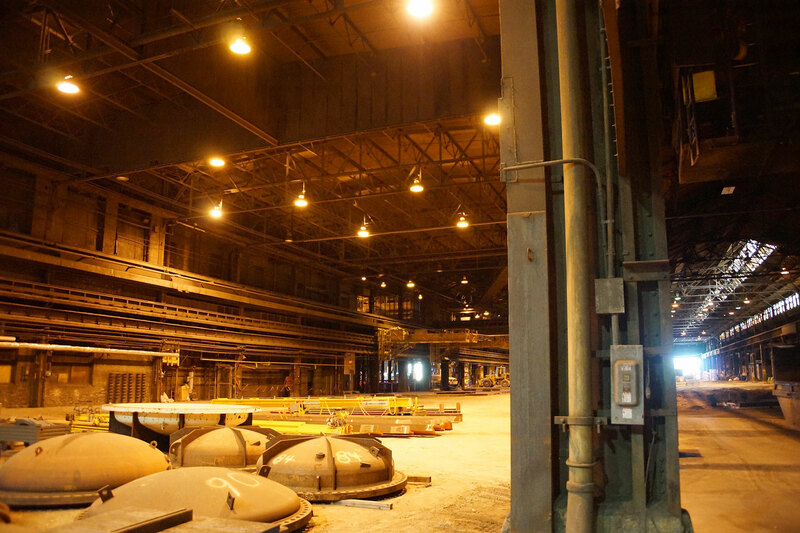 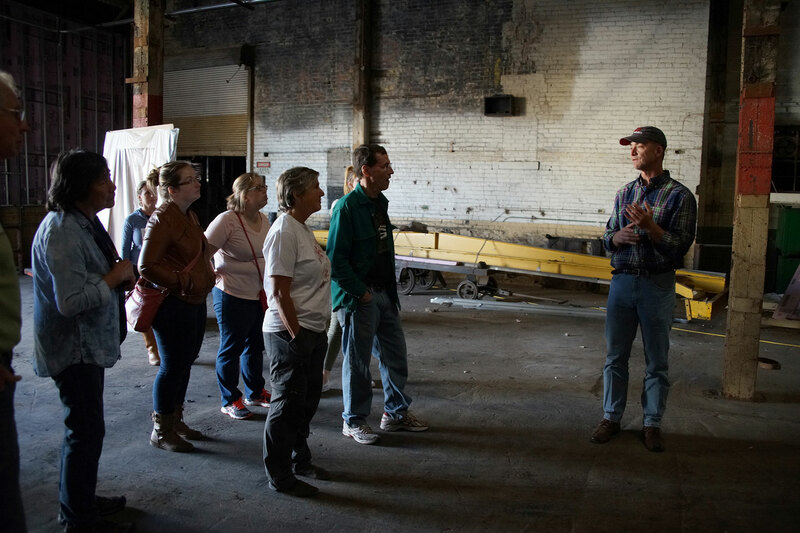 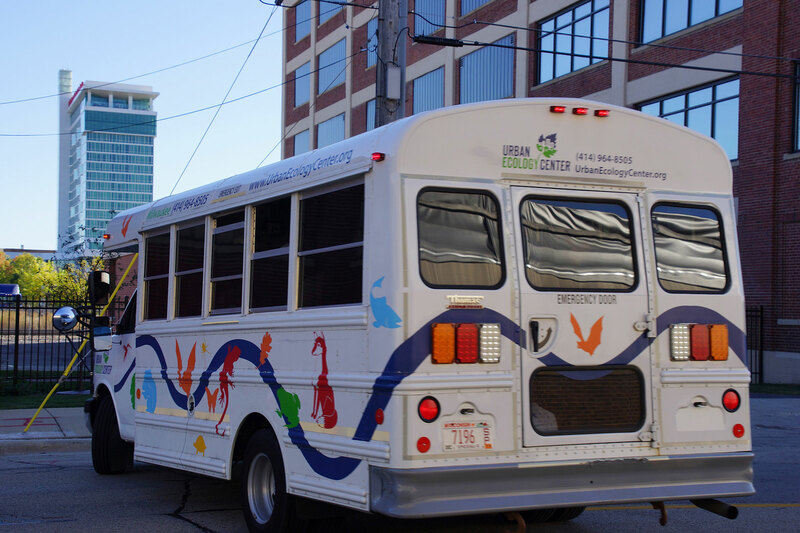 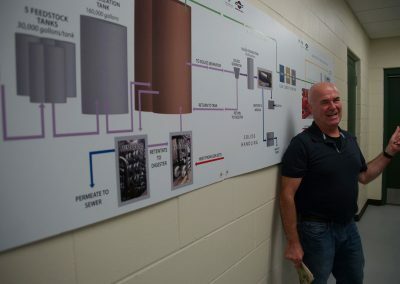 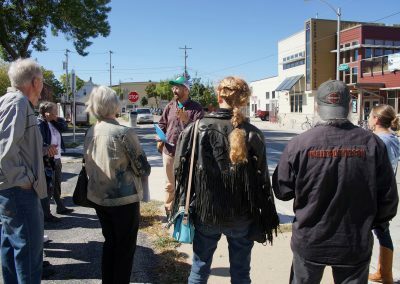 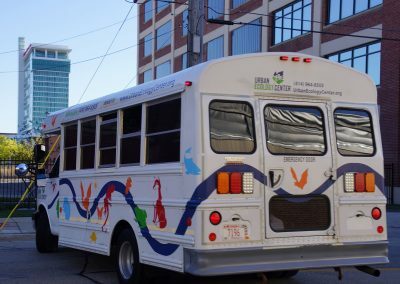 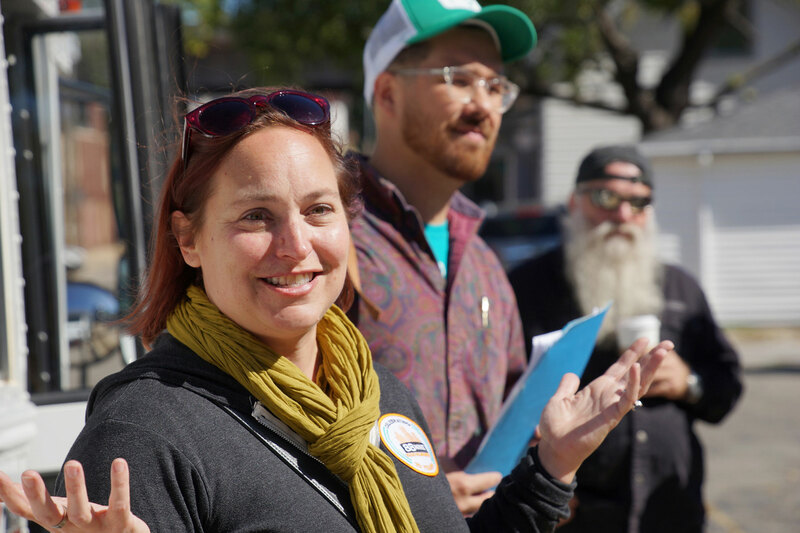 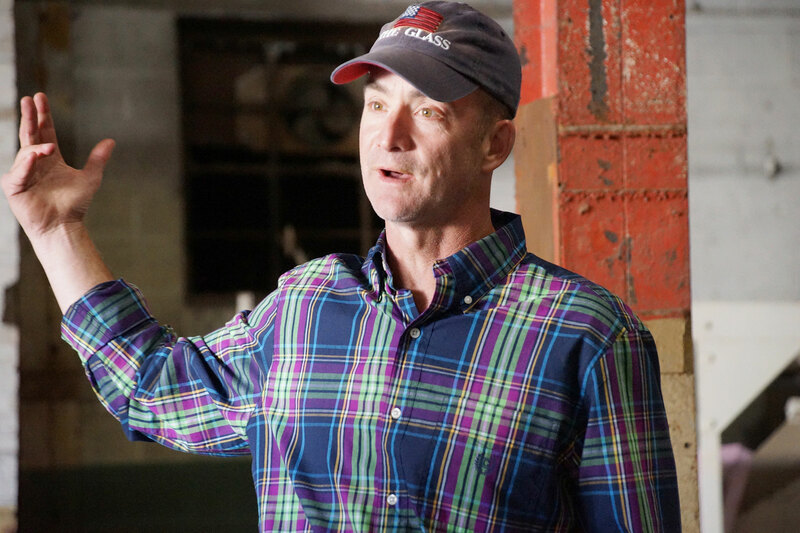 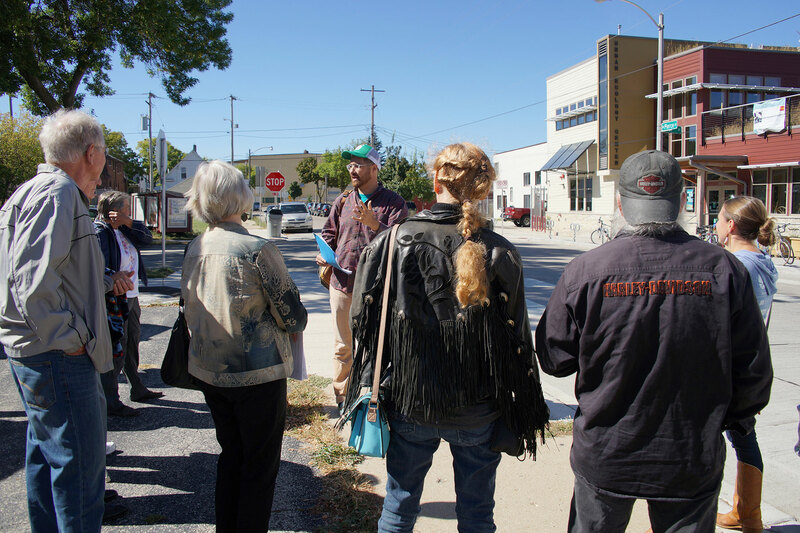 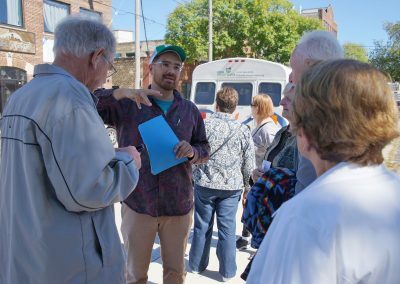 Hosted by the Menomonee Valley Business Improvement District #26, Menomonee Valley: Behind, Above, & Below the Scenes was a special tour led by Milwaukee storyteller Adam Carr. 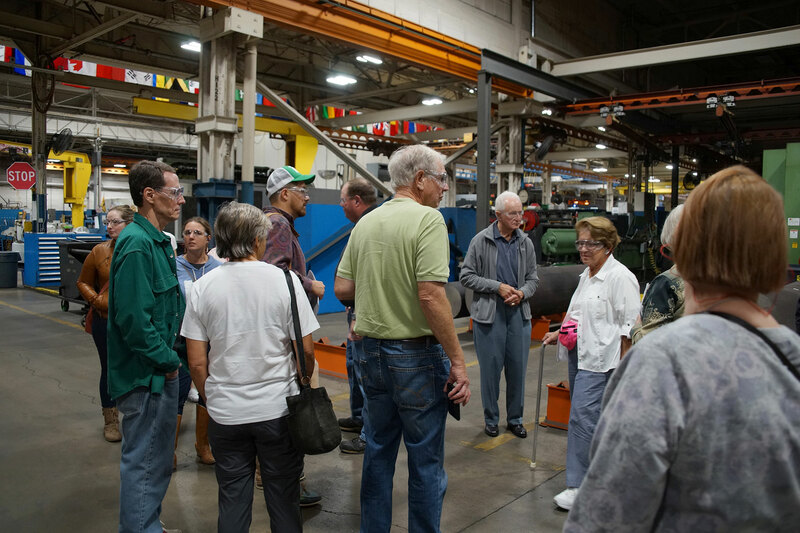 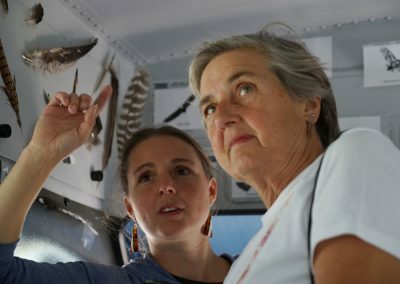 It concluded the week with an in-depth journey through the Valley on September 30. 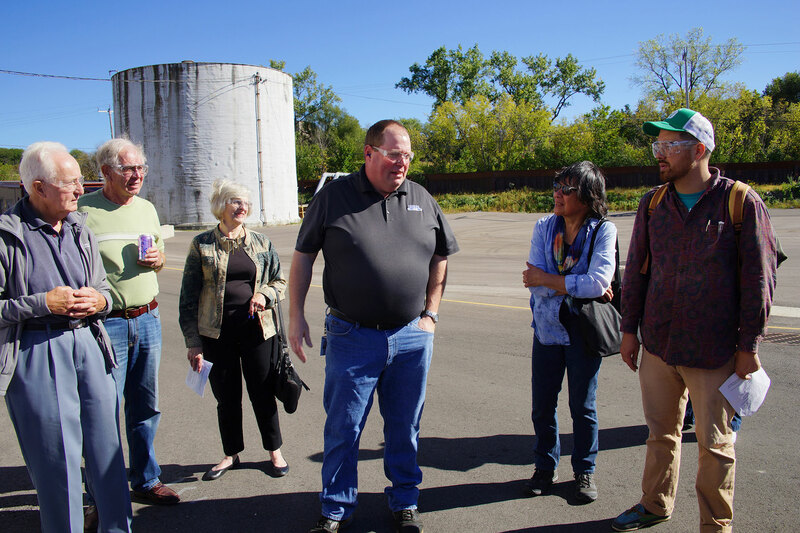 The trip featured rare public access to the Komatsu Mining Corp, Rexnord, Cream City Yards, and the Forest County Potawatomi’s Biodigester. 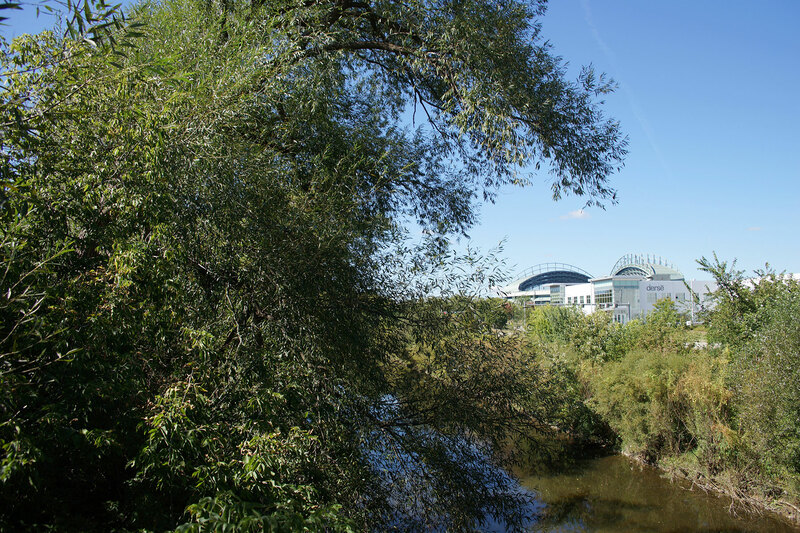 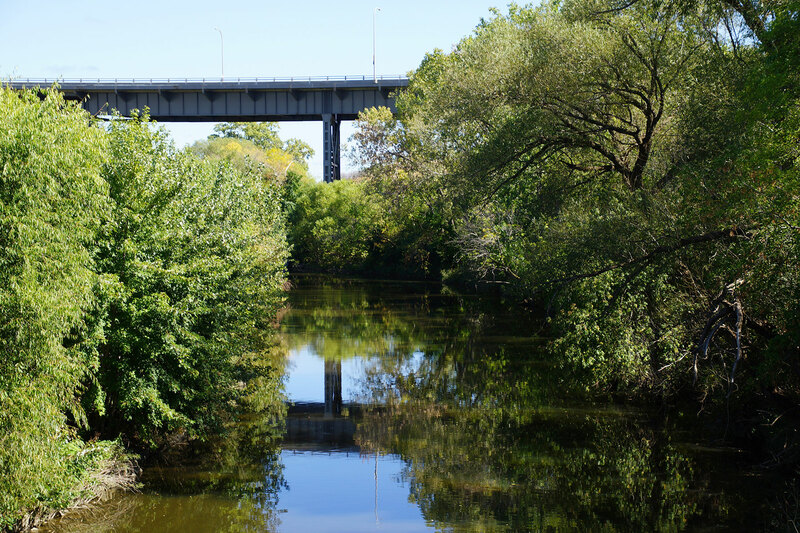 Four miles long and a half-mile wide, the Menomonee River Valley extends from the Harley-Davidson Museum to the site of Miller Park Stadium. 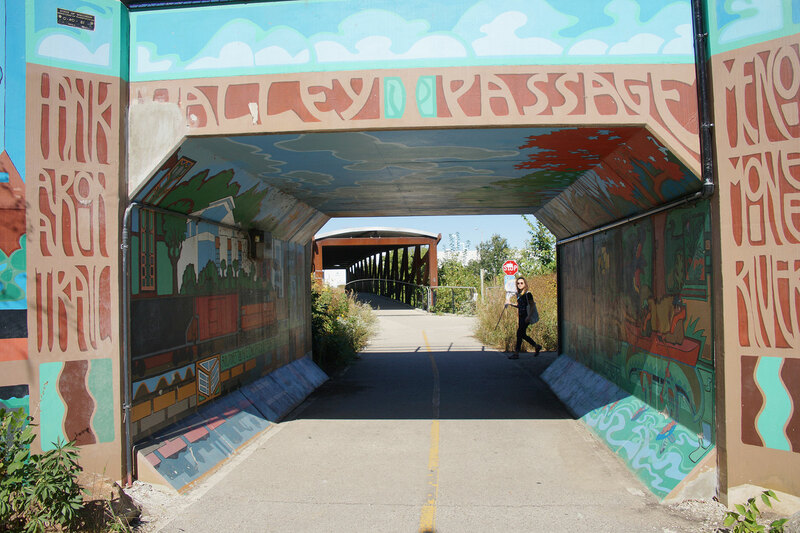 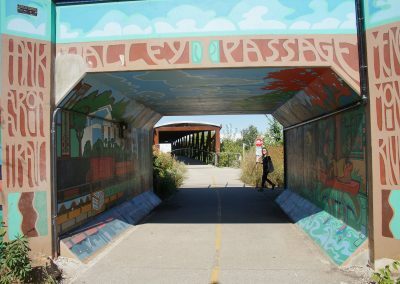 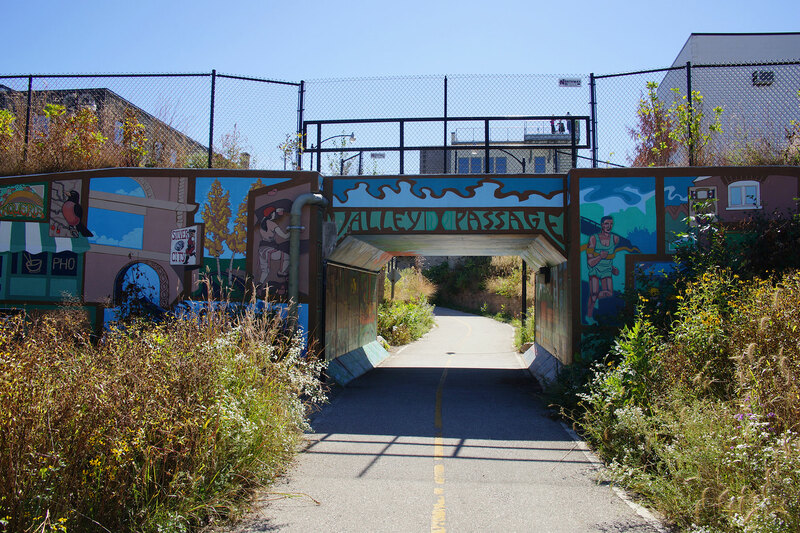 The Valley was formed by melting glaciers more than 10,000 years ago and, for thousands of years, the 1200-acre Menomonee Valley was a wild rice marsh, home to American Indians. 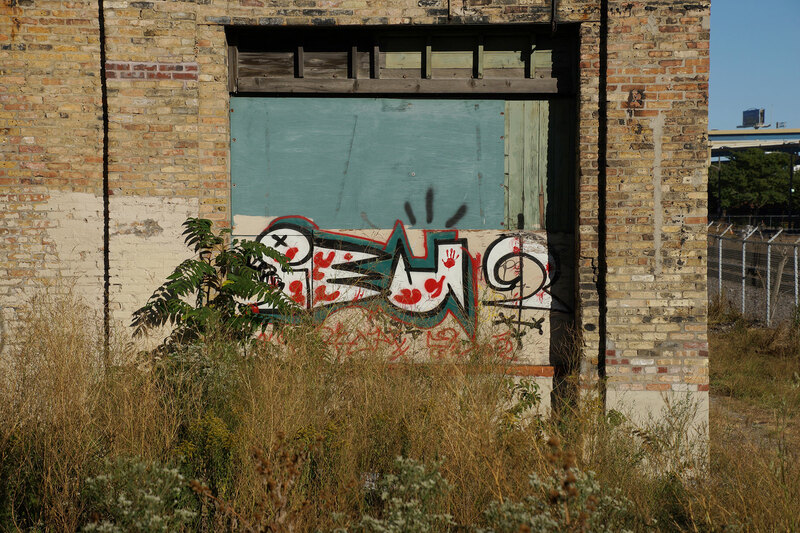 The name “Menomonee” is derived from the Algonquin “meno,” meaning good, and “min,” a term for grain or fruit. 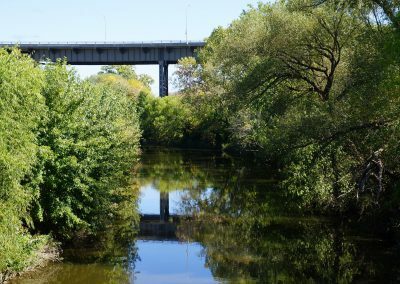 Wild rice (menomin) flourished in the extensive wetlands of the MenomoneeValley. 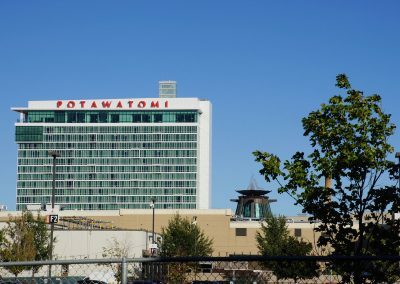 By the 1700s, the Potawatomi were the primary residents of the region. 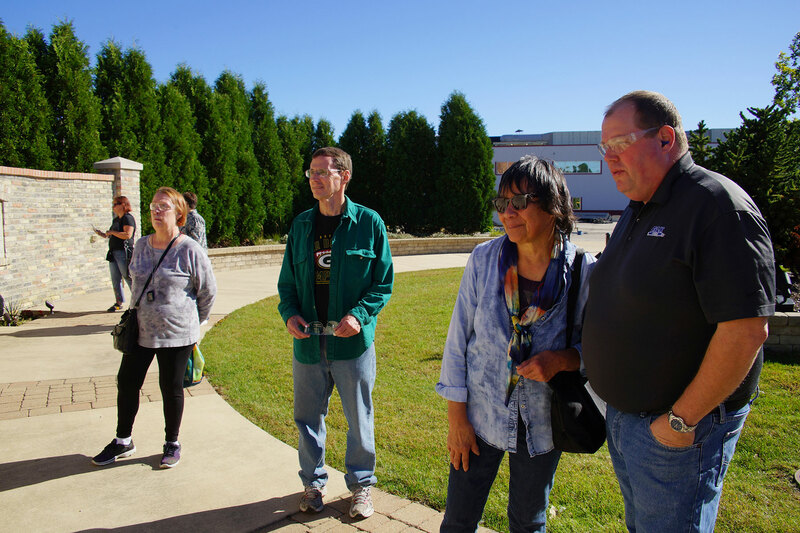 Ojibwa, Fox, Menominee, Ottawa, Sauk, Winnebago and others also lived here at various times. 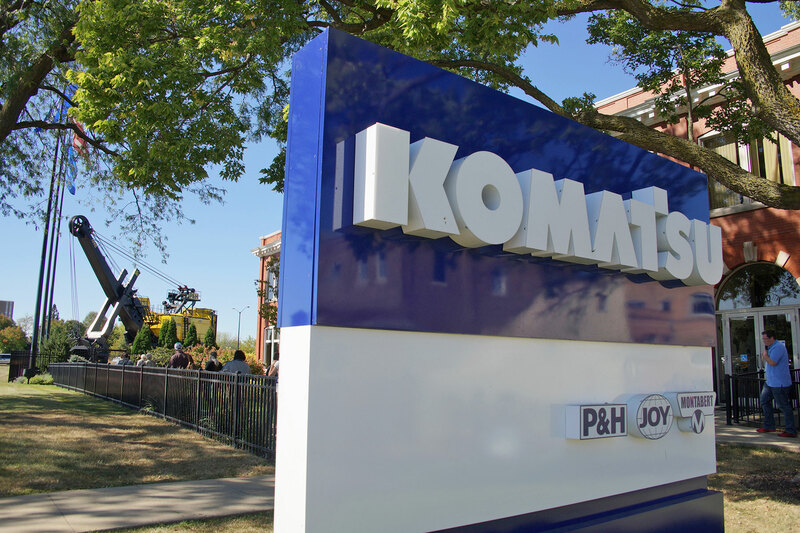 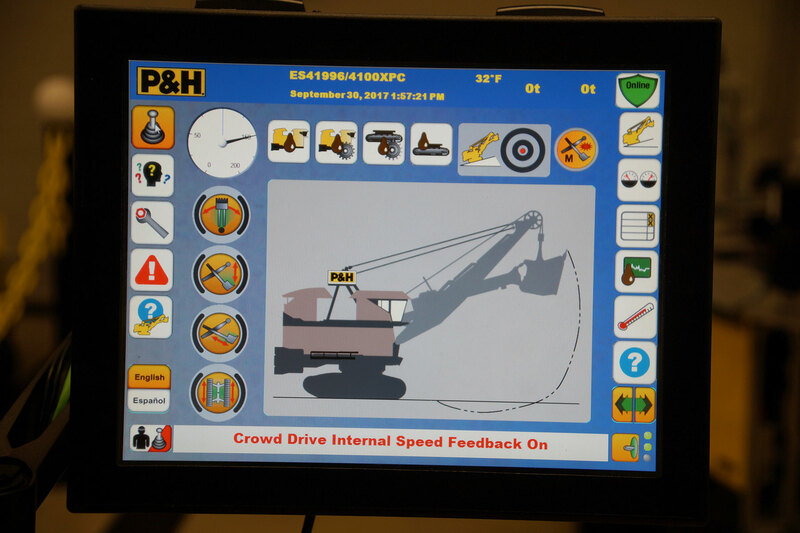 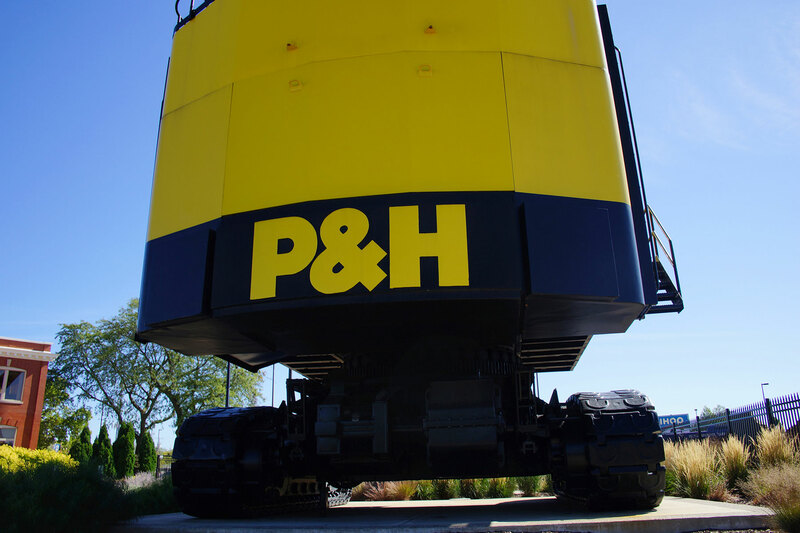 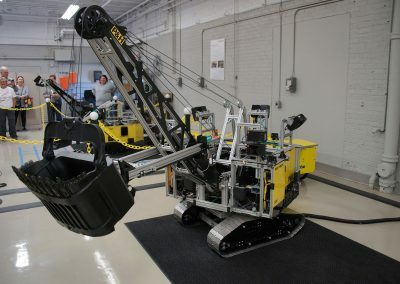 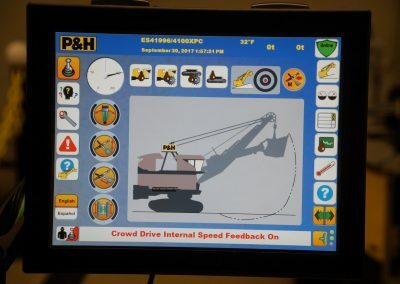 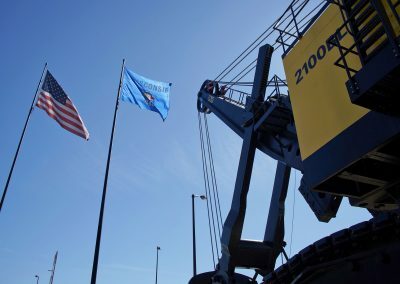 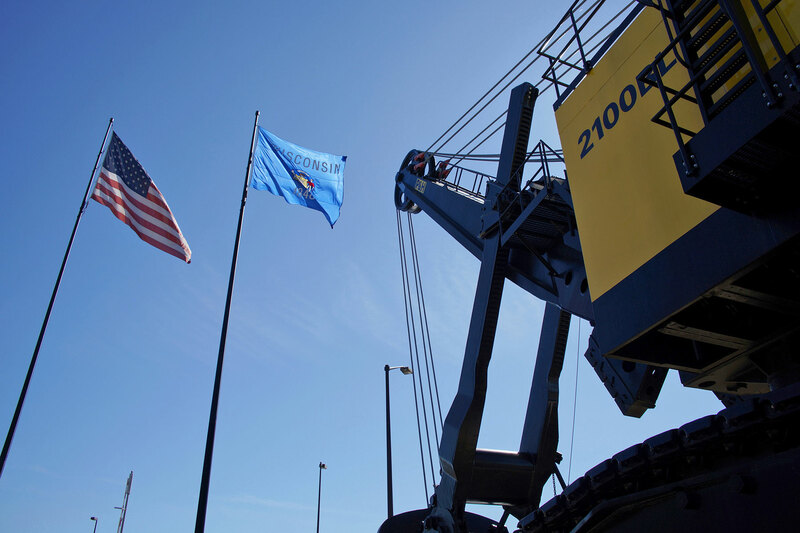 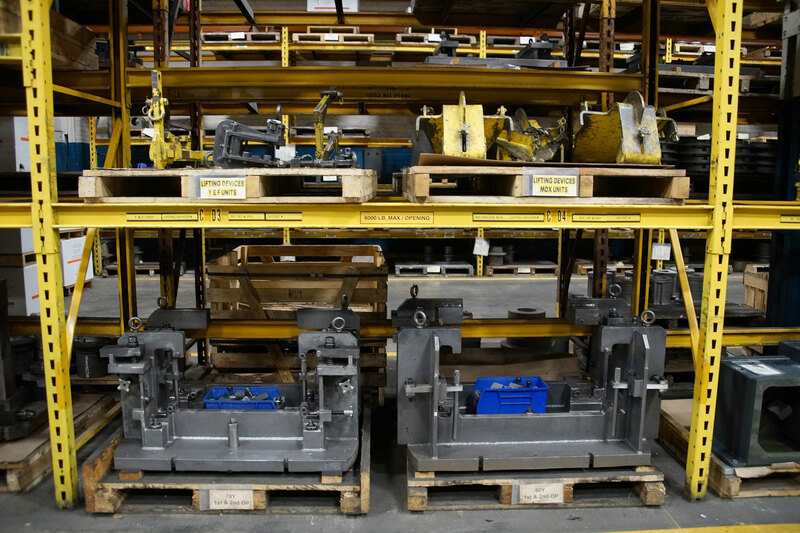 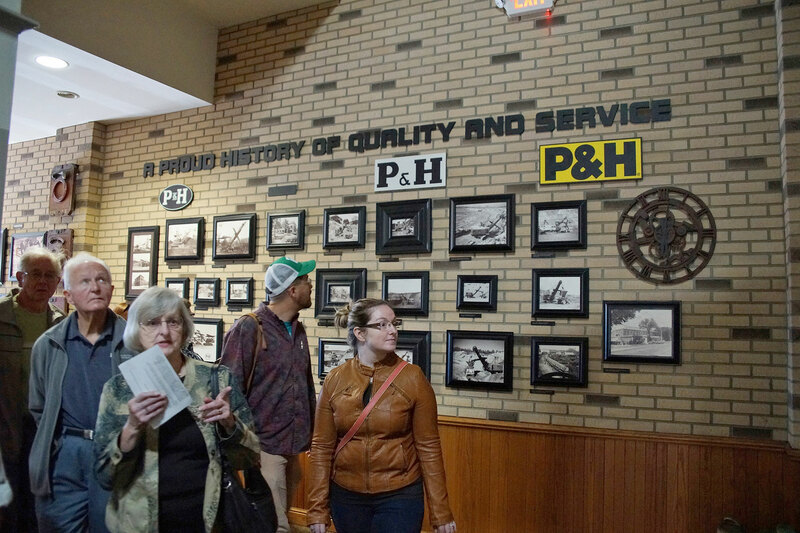 Komatsu Mining Corp (previously Harnishfegher, P&H, and most recently Joy Global) is a mining equipment manufacturer with 133 years of history and nearly 1,000 employees in Milwaukee. 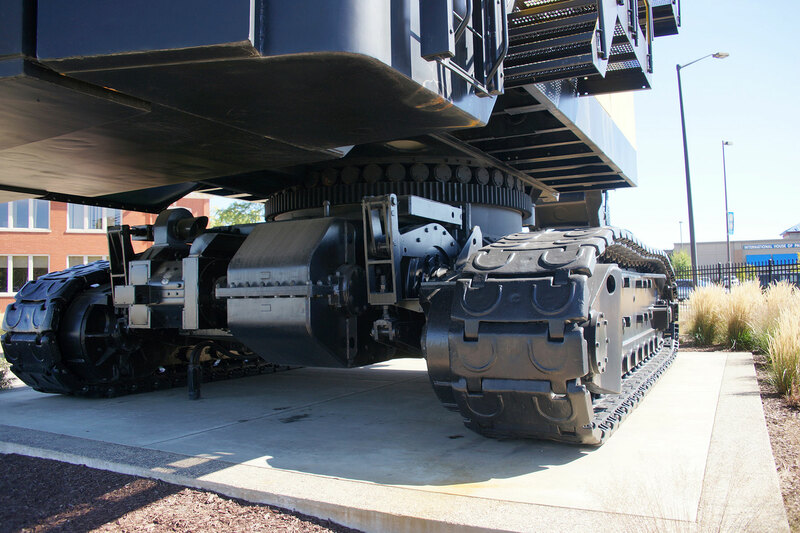 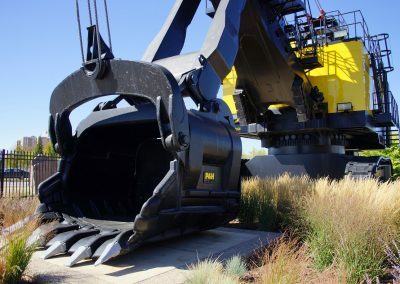 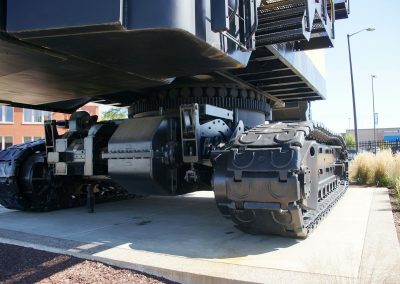 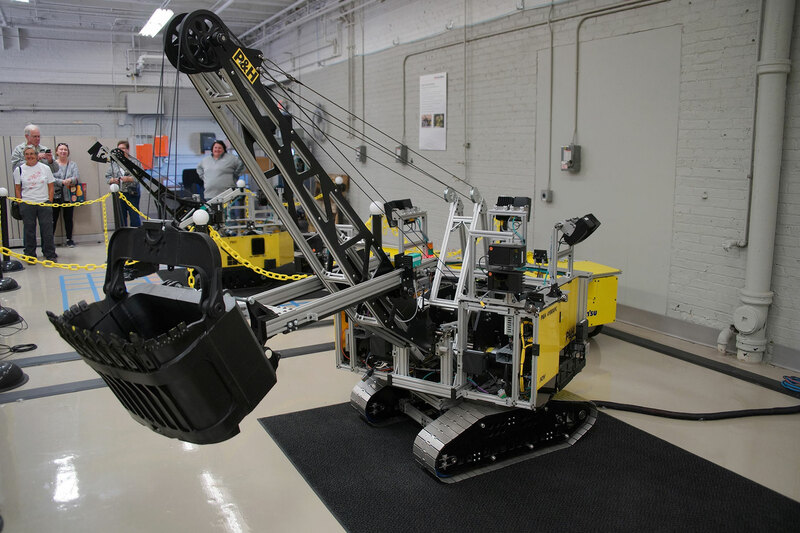 Komatsu makes some of the world’s largest mining machines. 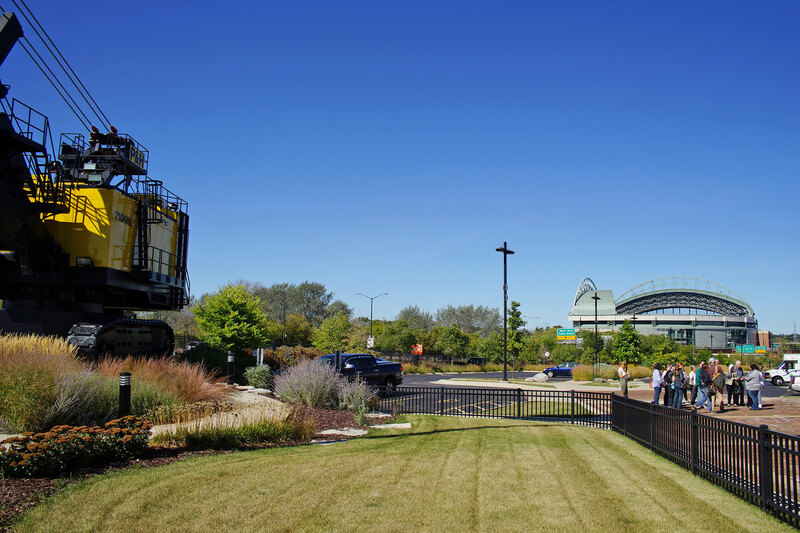 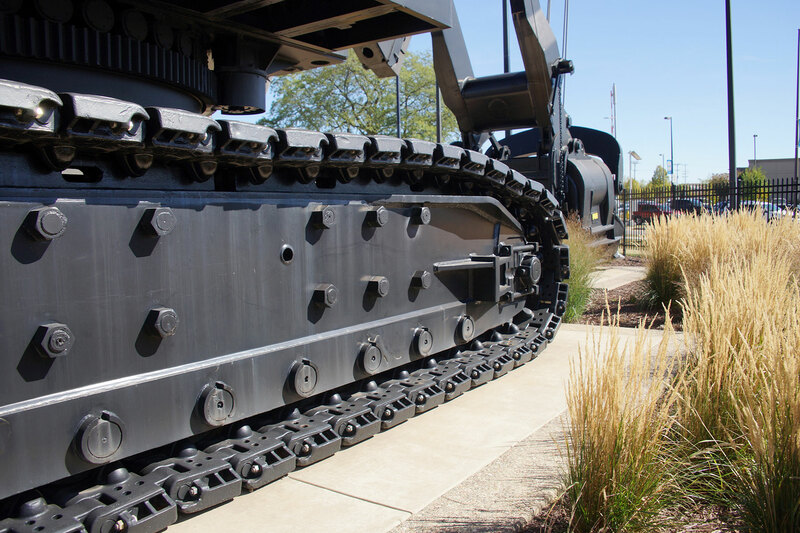 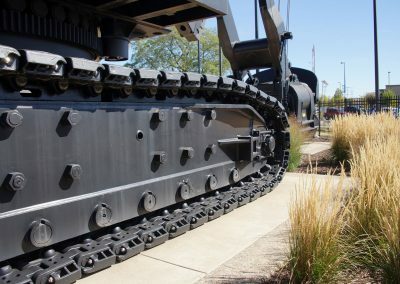 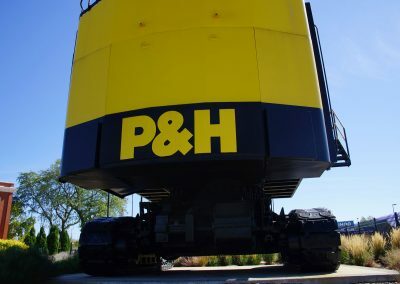 A large shovel sits on the corner of National Ave and Miller Park Way, representing the huge machines that are made there and how the export economy imports dollars to Milwaukee. 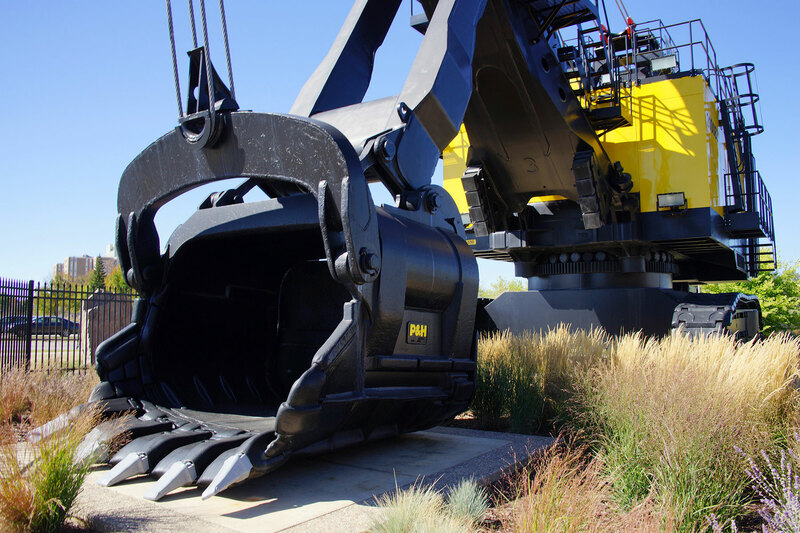 Komatsu is indispensable to the mining, forestry, industrial and construction industries. 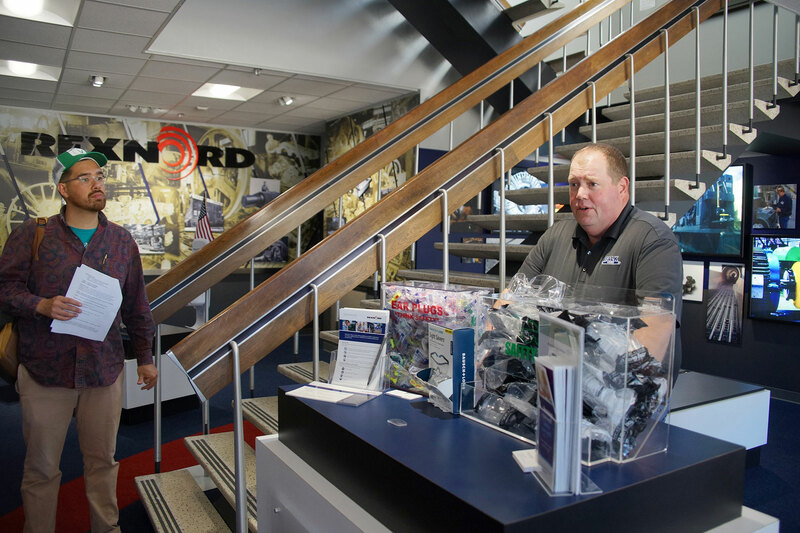 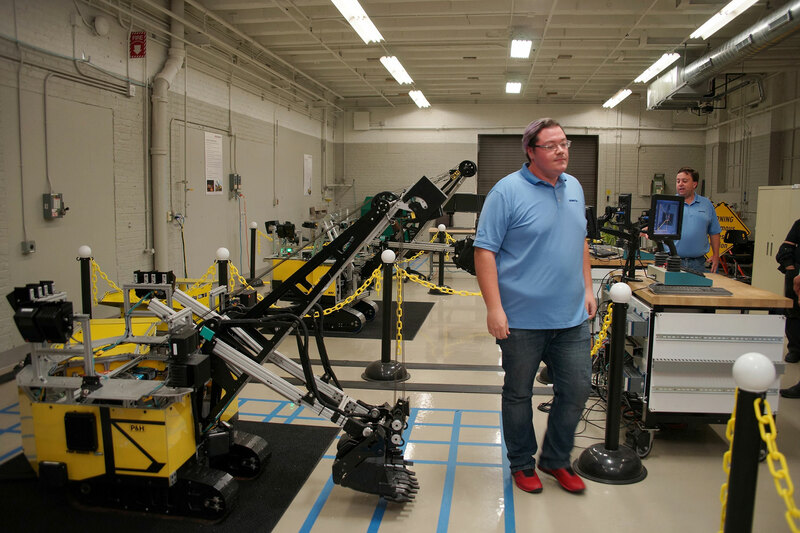 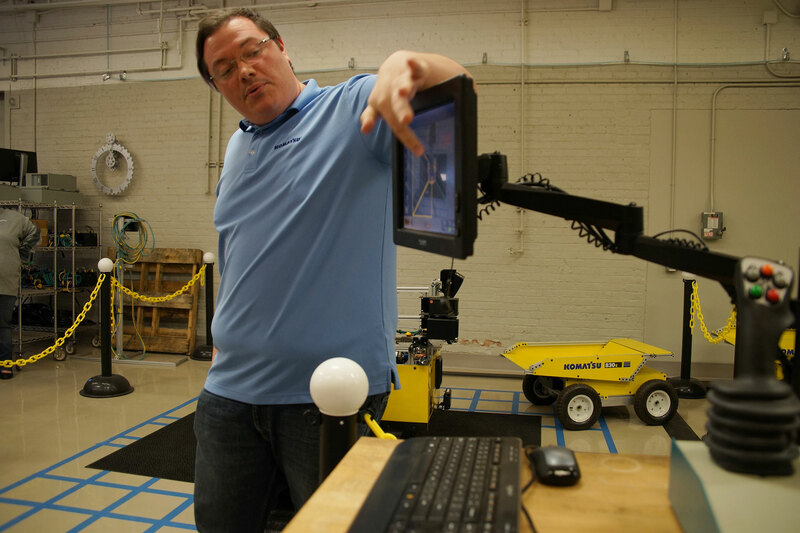 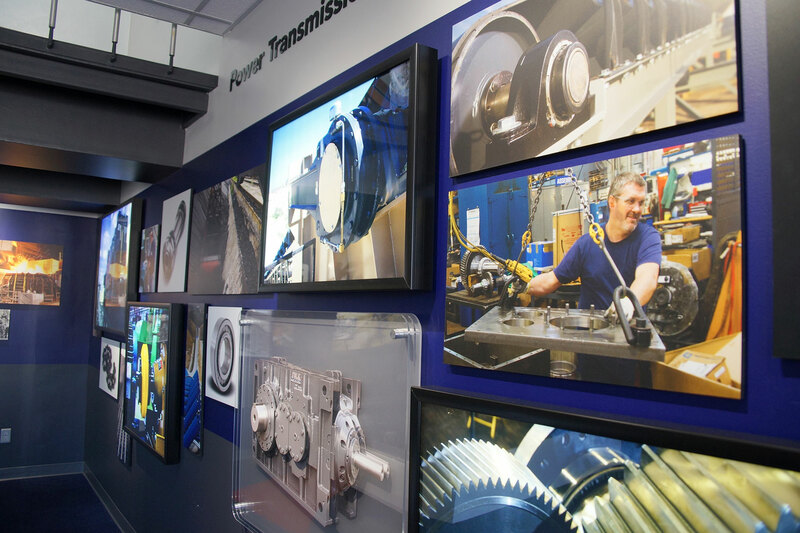 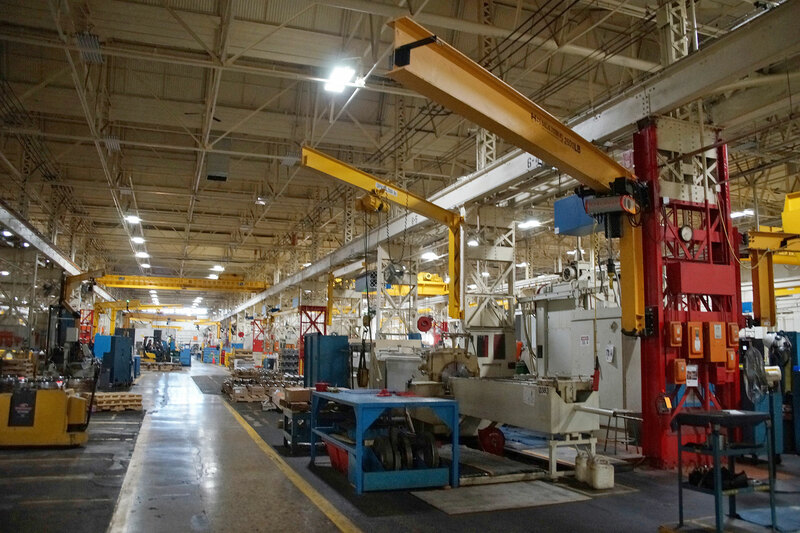 The Rexnord Corporation has been around under various names for more than a century. 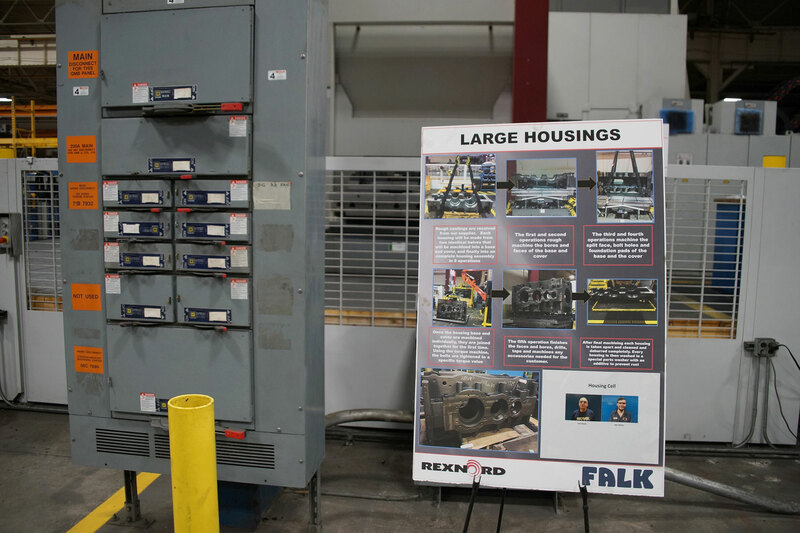 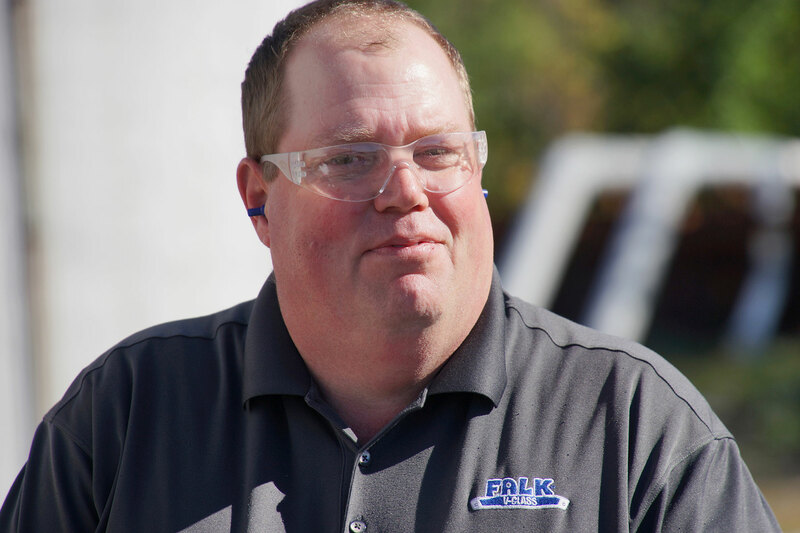 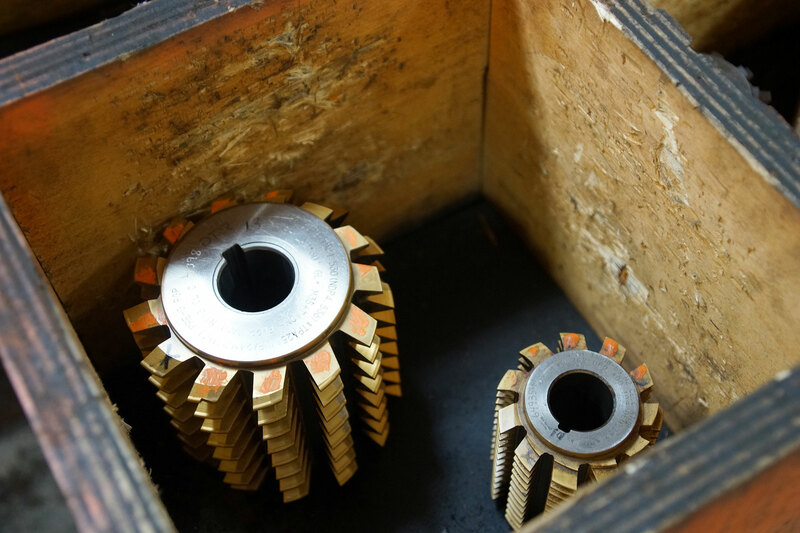 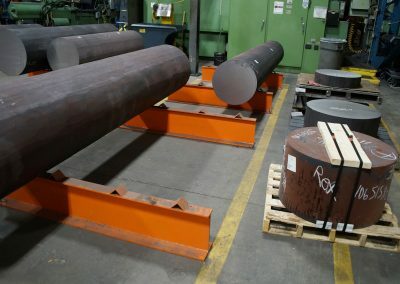 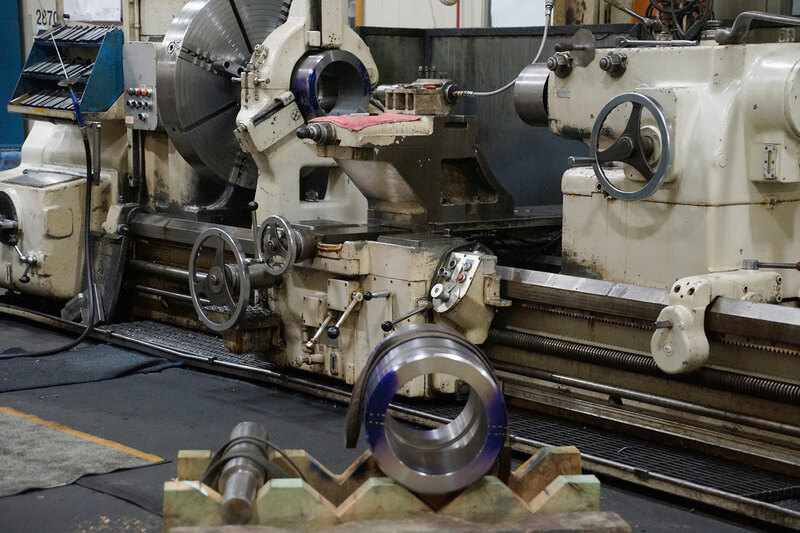 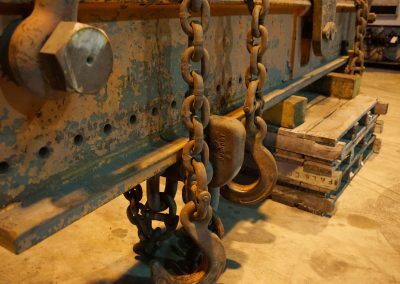 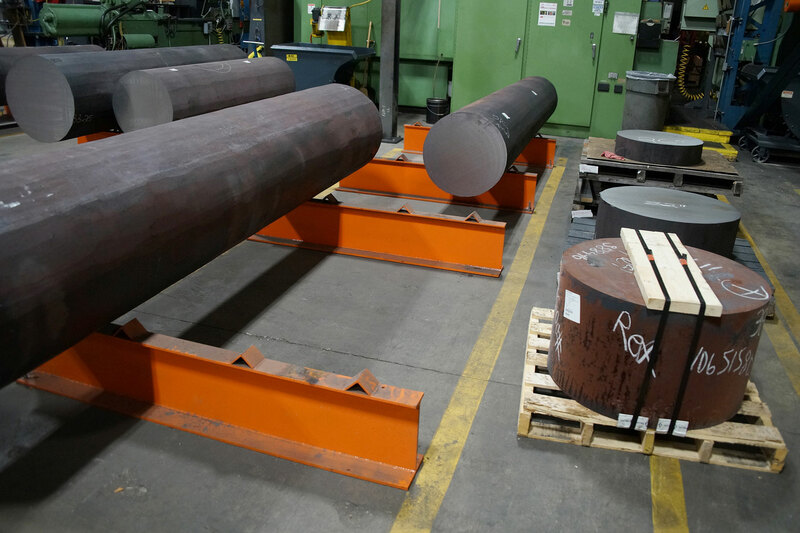 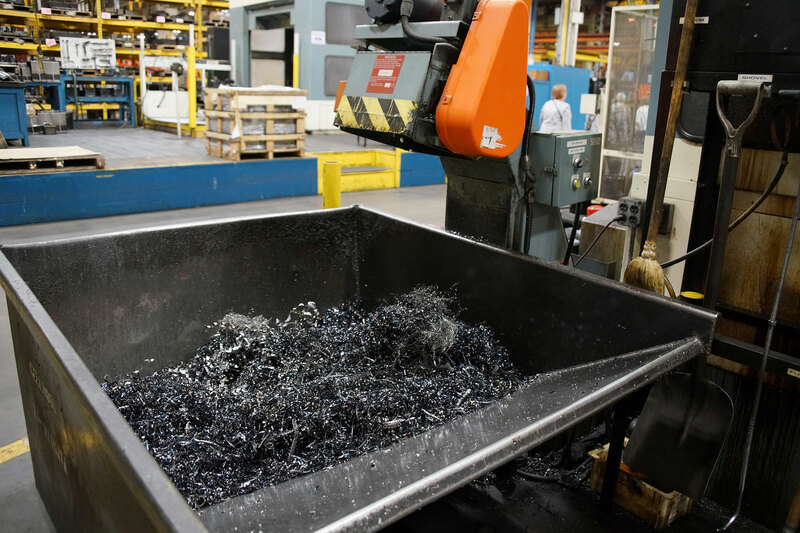 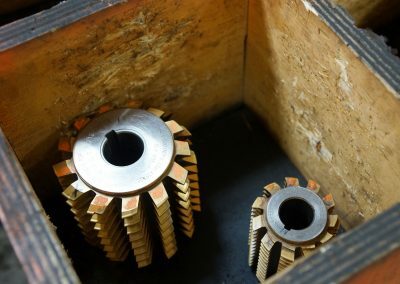 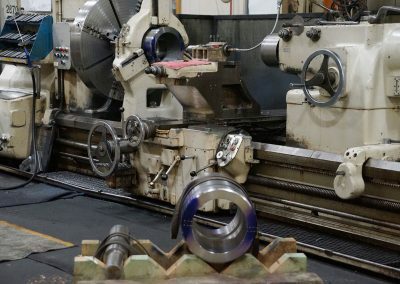 Just like manufacturing has changed over the decades, this company has also, reflected in the names it has been known by like the Chain Belt Company, Rex Chainbelt, Nordberg Manufacturing, The Falk Corporation, and finally Rexnord. 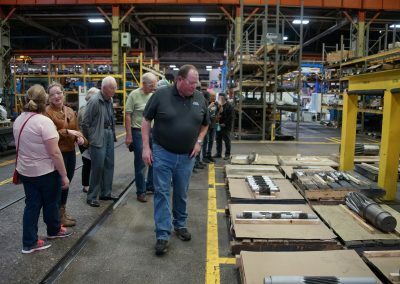 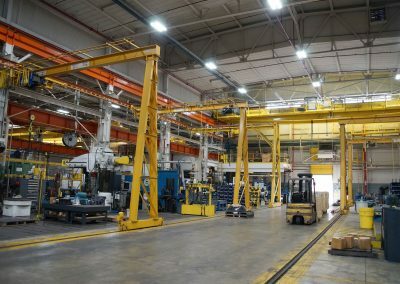 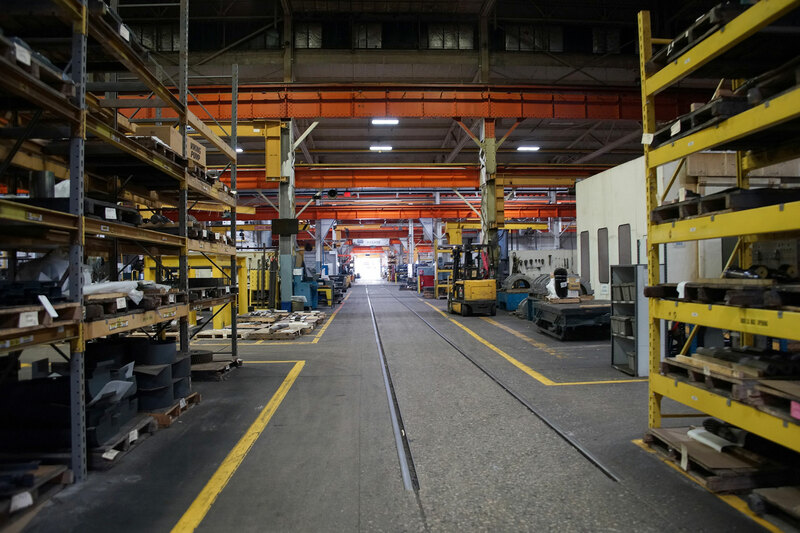 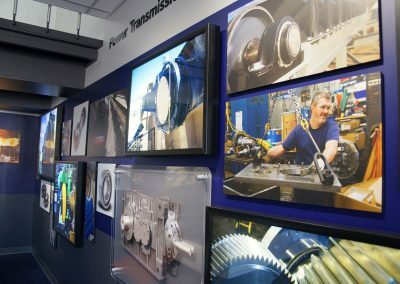 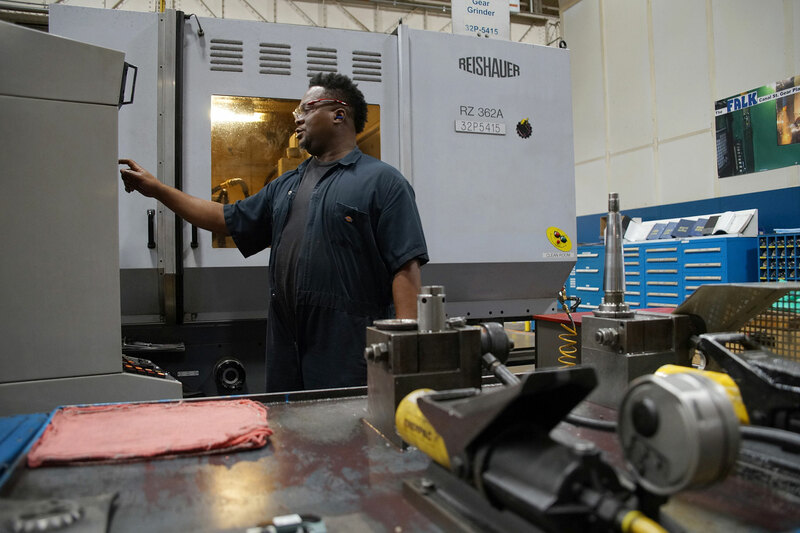 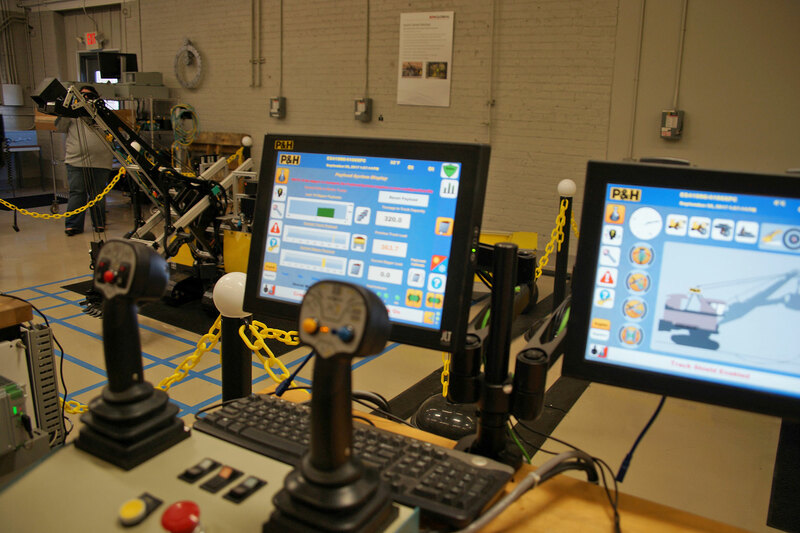 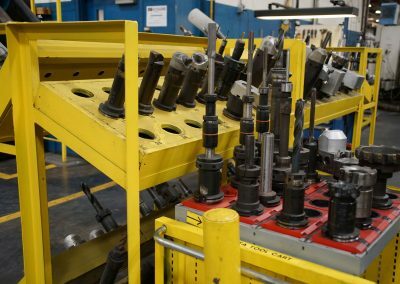 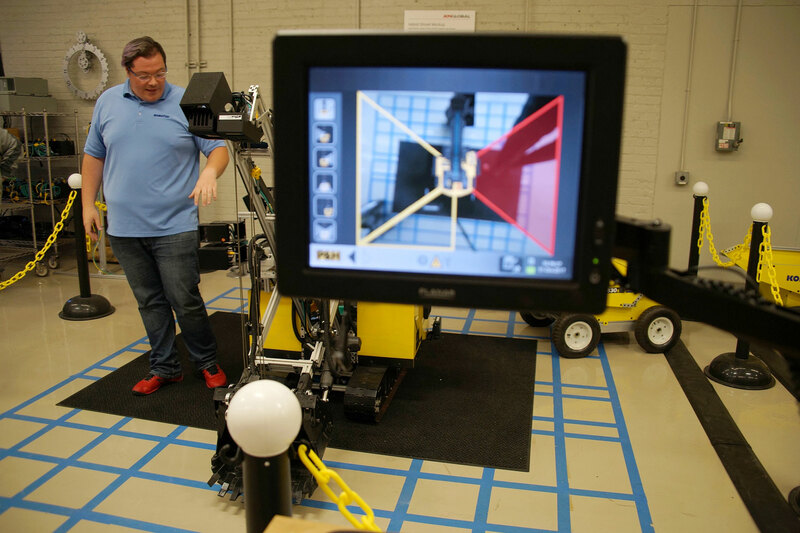 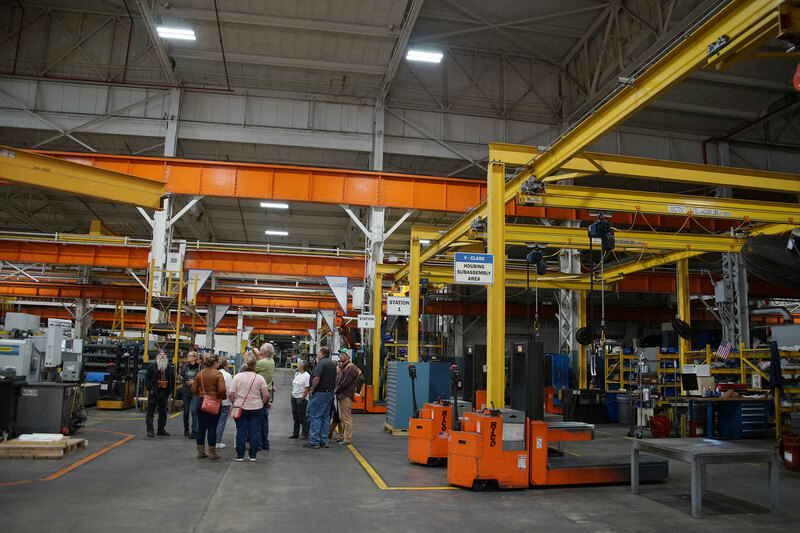 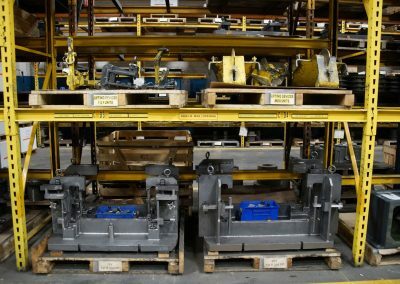 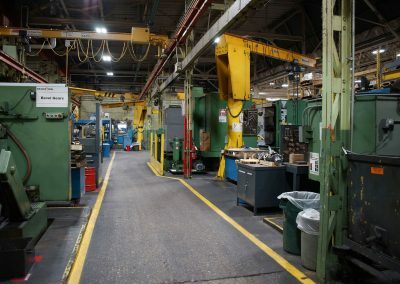 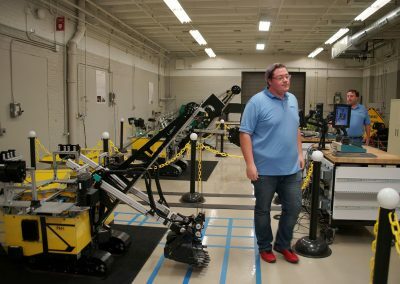 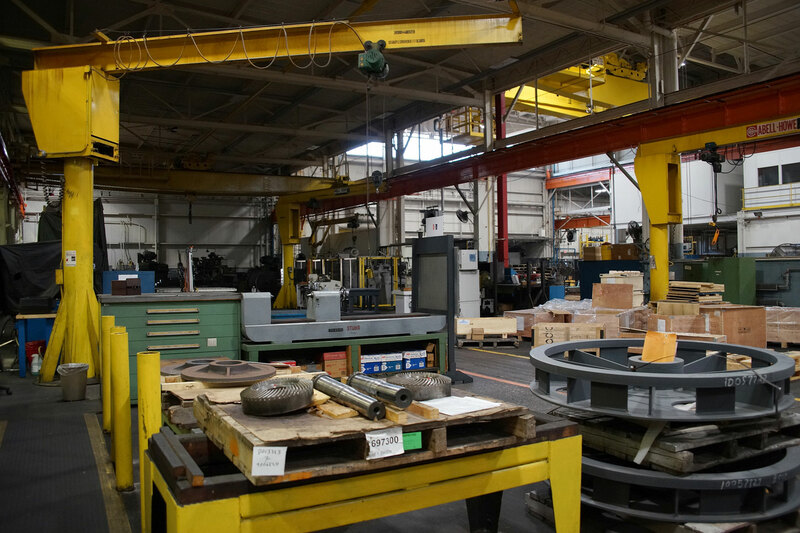 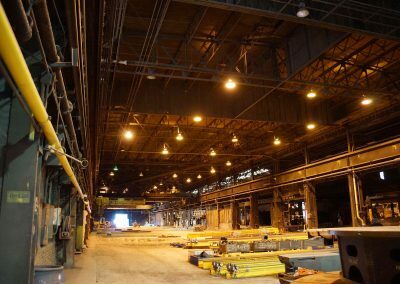 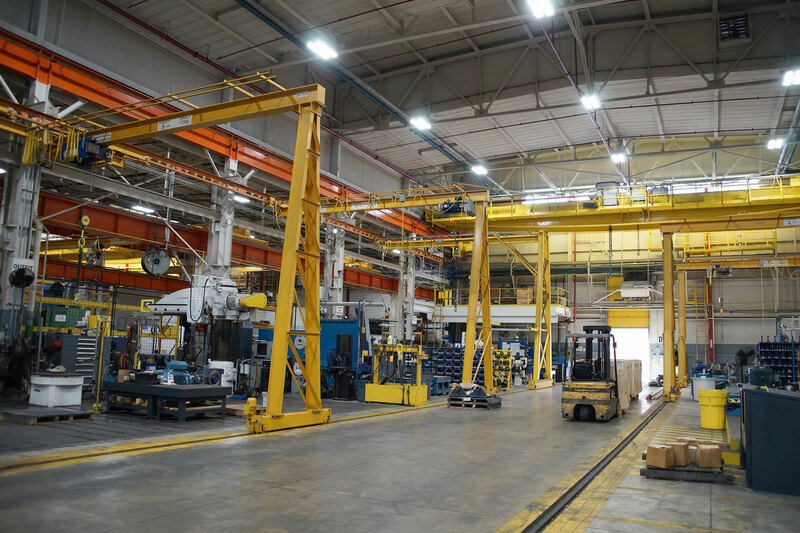 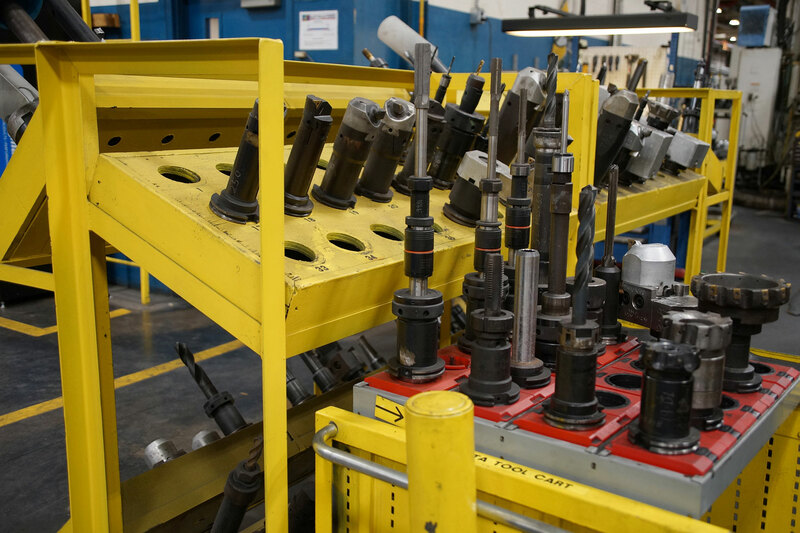 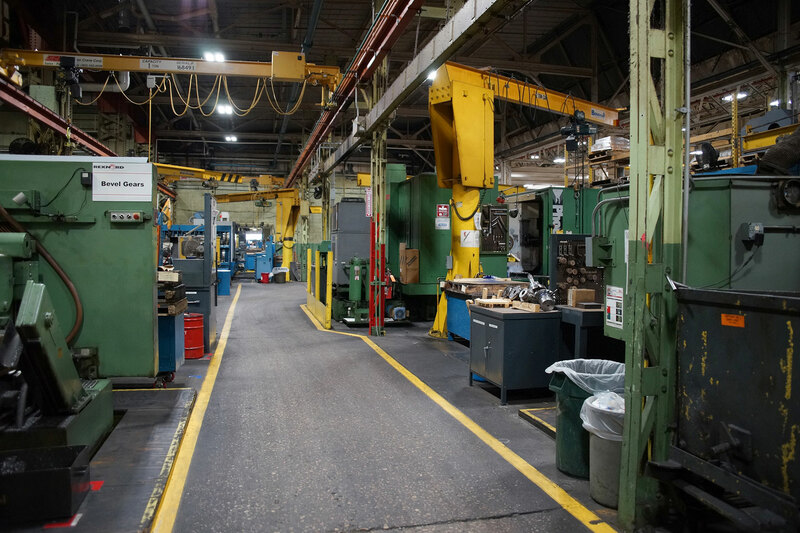 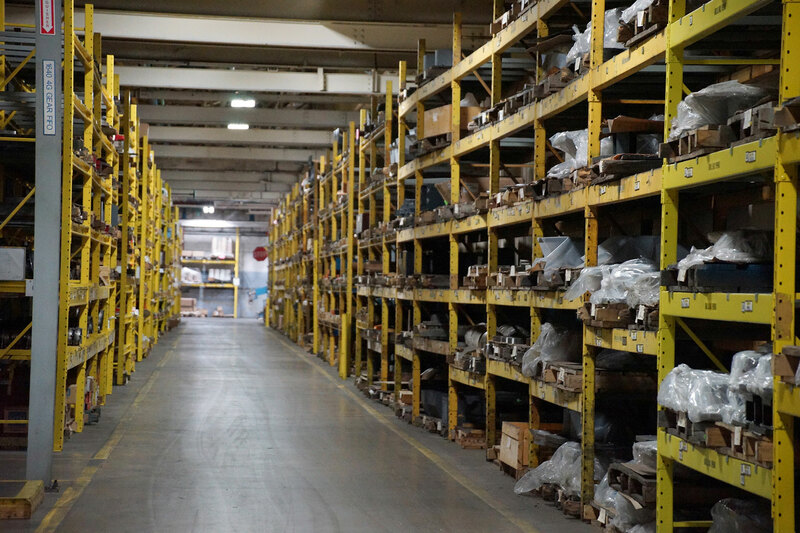 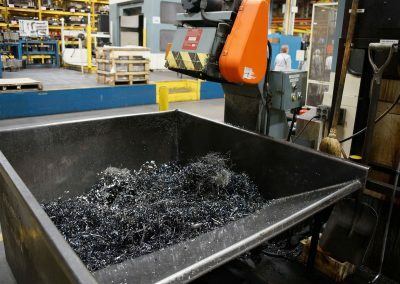 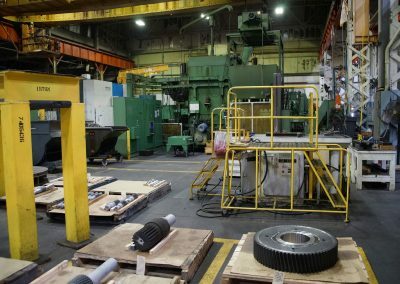 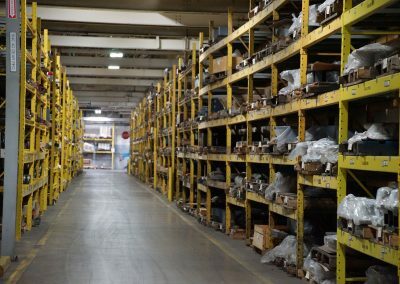 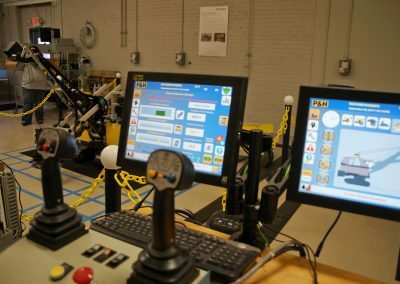 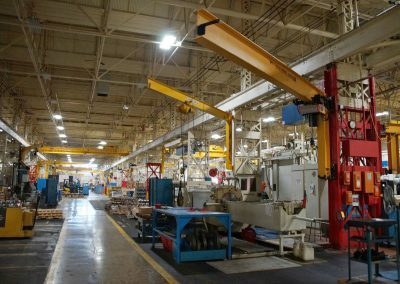 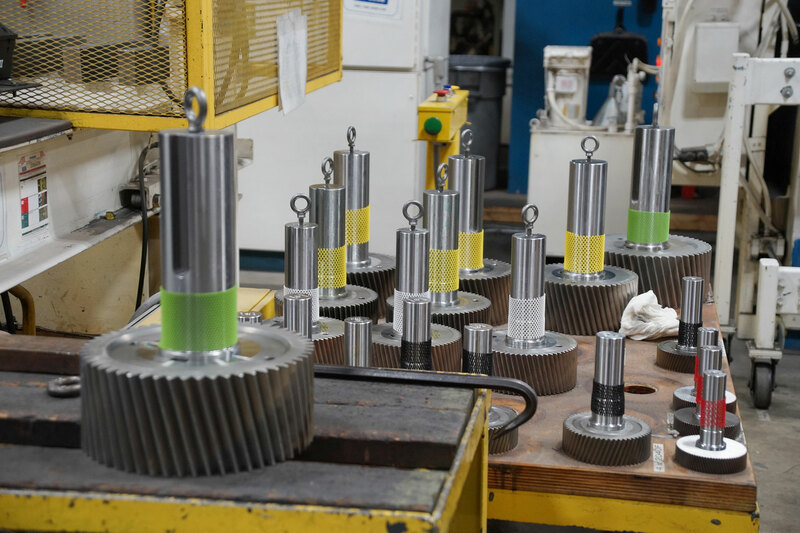 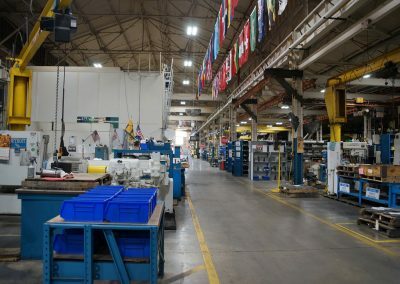 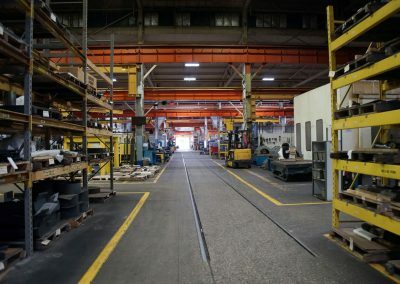 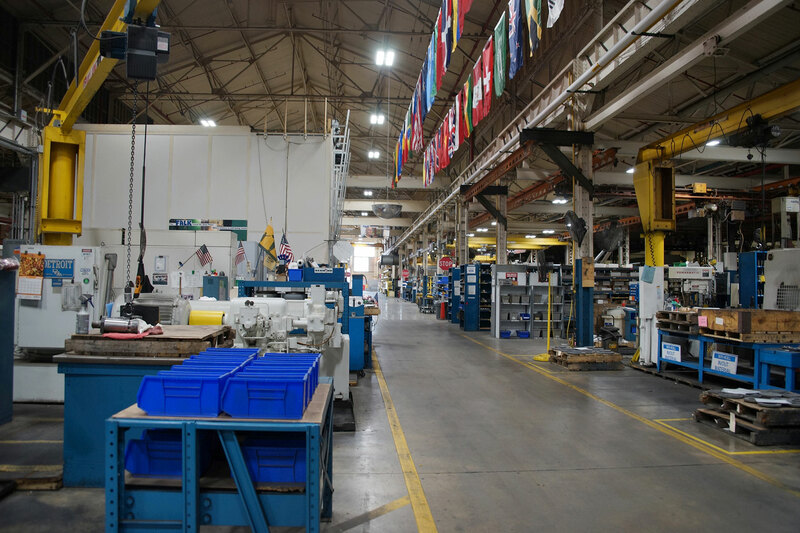 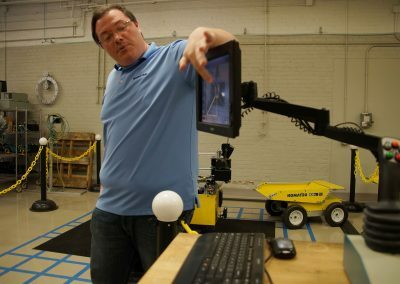 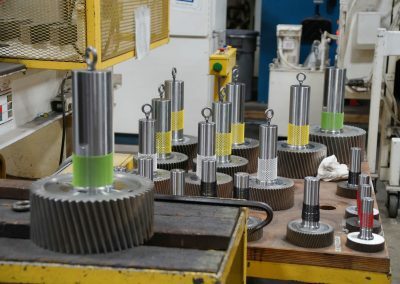 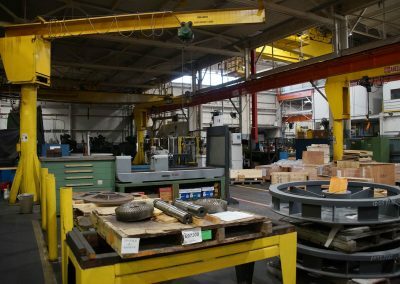 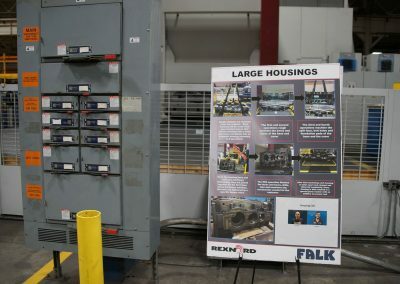 Sixteen percent of the Milwaukee region’s workforce is employed in manufacturing, ranking second in the nation among the top 50 metro areas for manufacturing jobs. The Potawatomi tribe first occupied the Menomonee Valley hundreds of years ago. 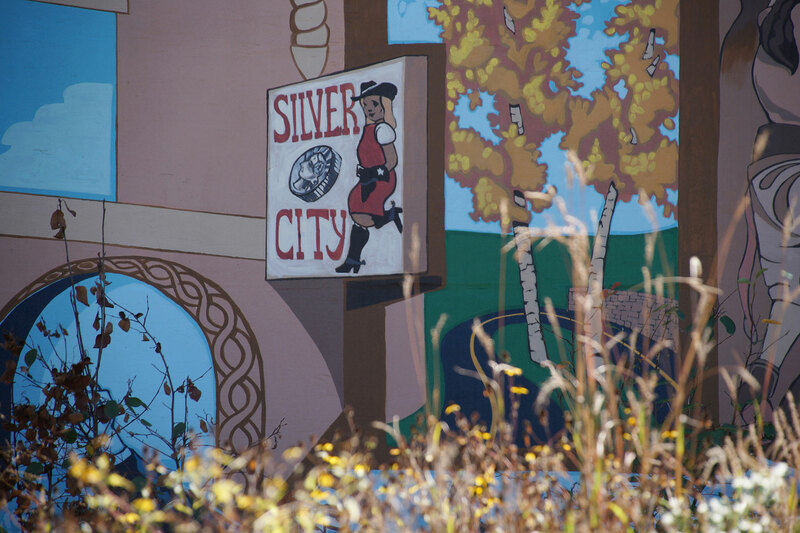 At that time, the Valley flourished with natural resources and provided a bounty for many Native American tribes. 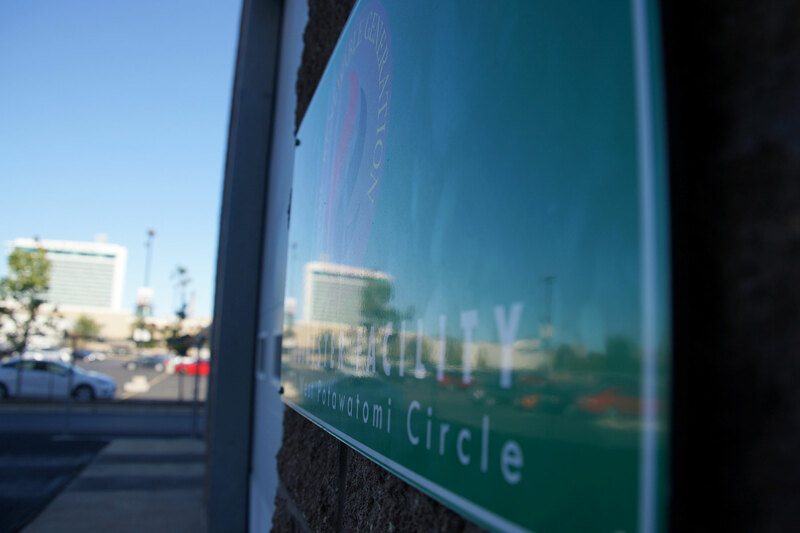 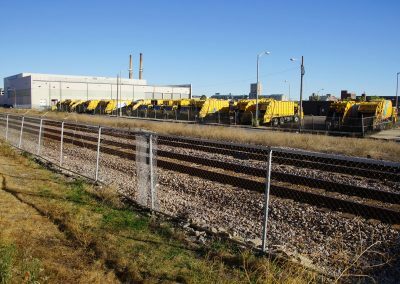 Many years later the Valley served as an industrial center, and later became blighted and deteriorated into toxic brown fields. 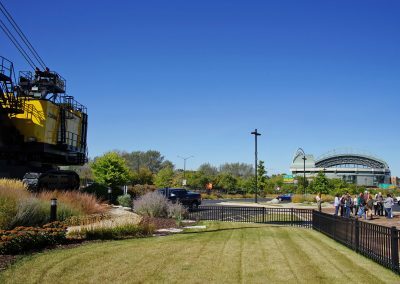 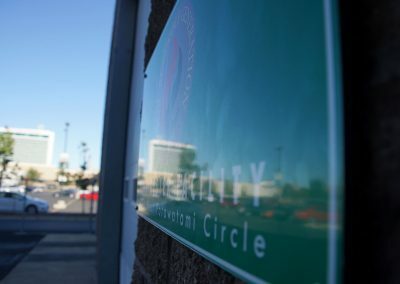 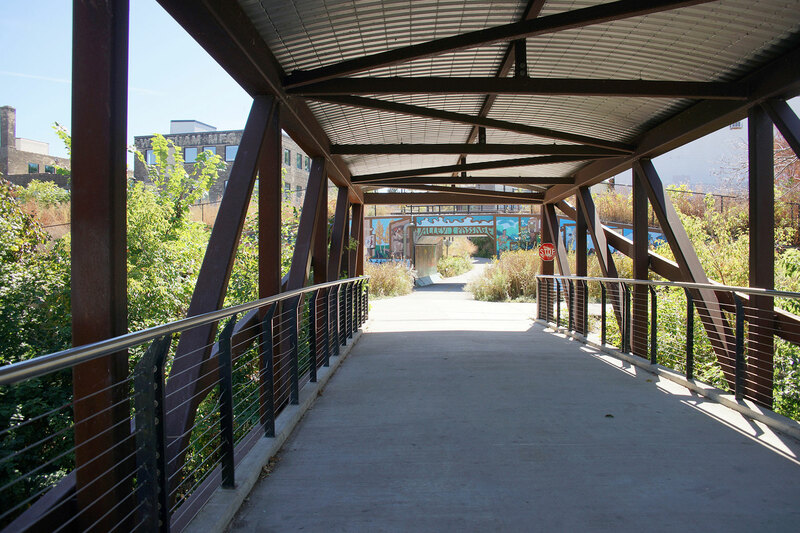 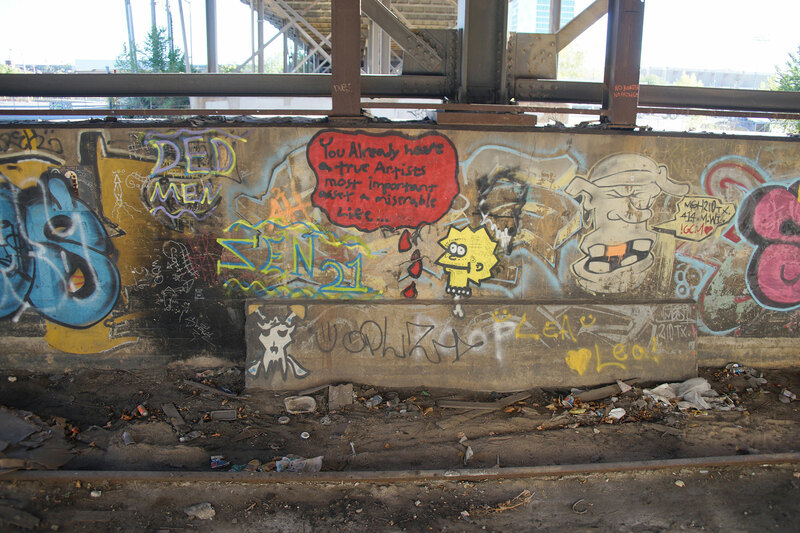 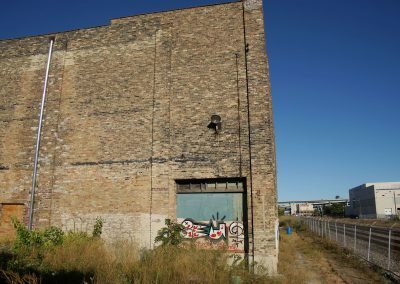 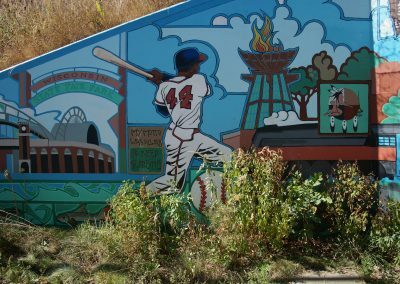 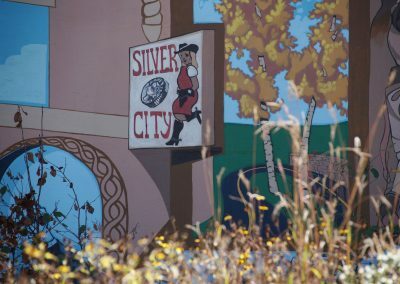 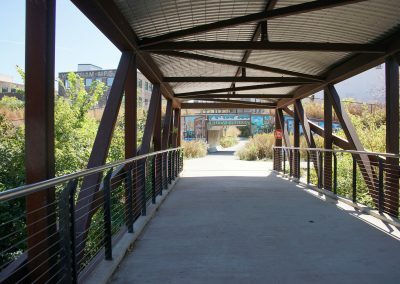 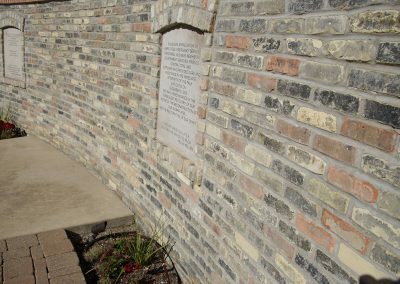 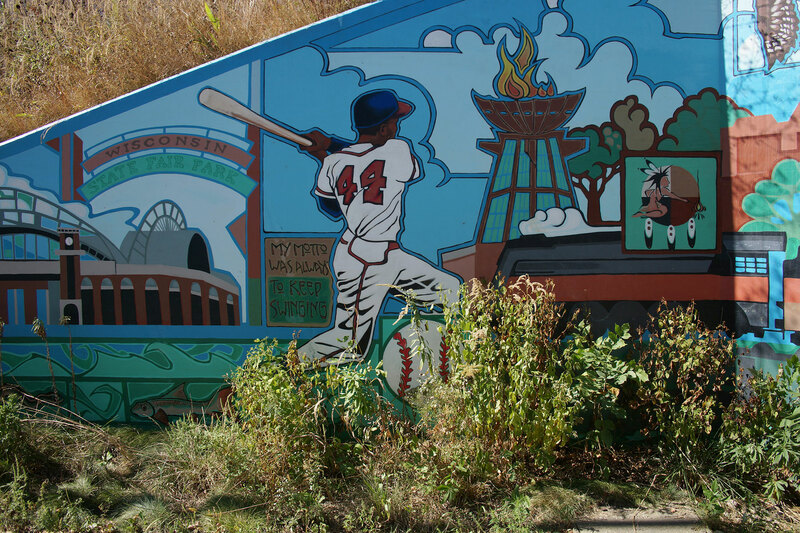 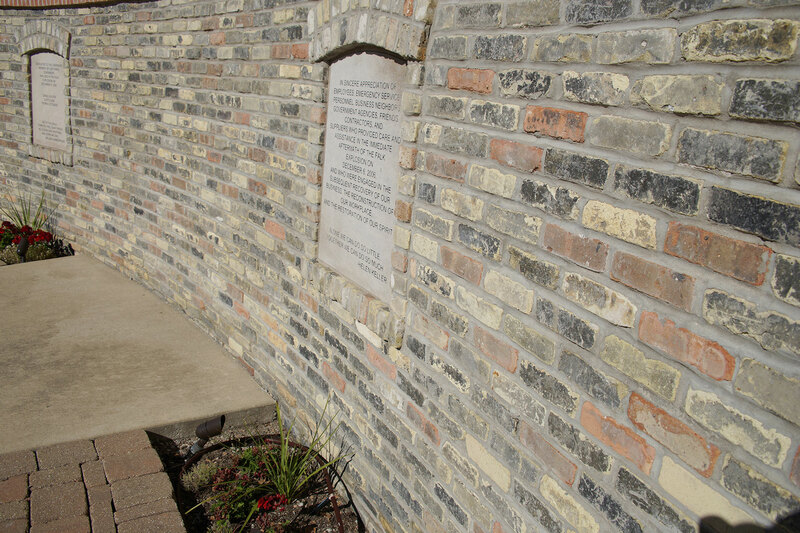 It remained a desolate area until the Forest County Potawatomi regained some of this territory and became the first to invest in refurbishing the land, bringing new development to the Menomonee Valley. 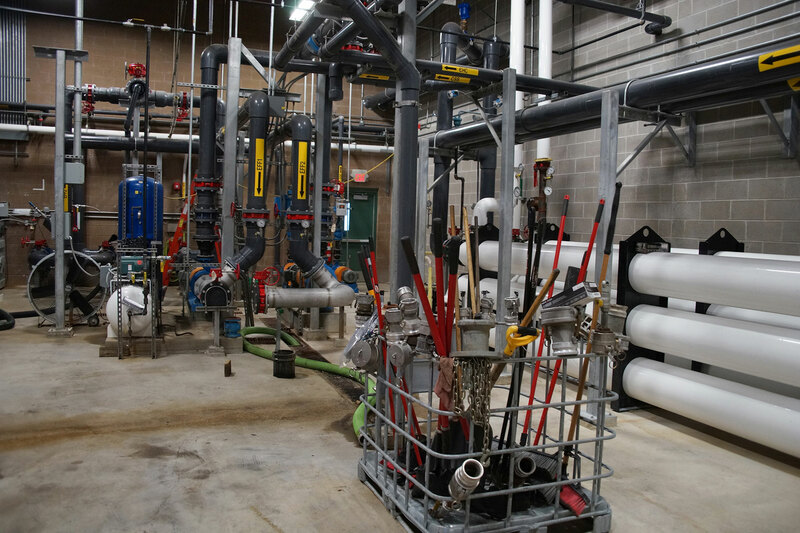 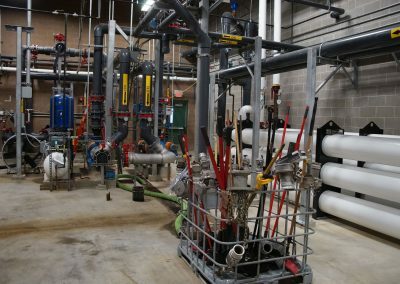 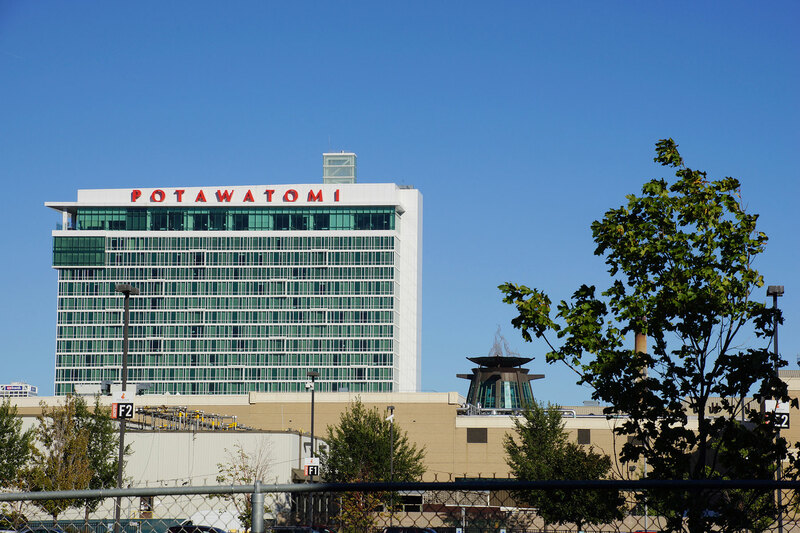 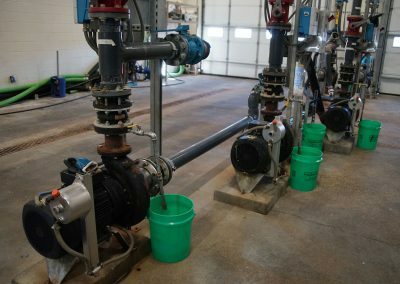 Supporting the power needs of the Potawatomi Hotel & Casino, originally known as Potawatomi Bingo, is a state-of-the-art Biodigester. 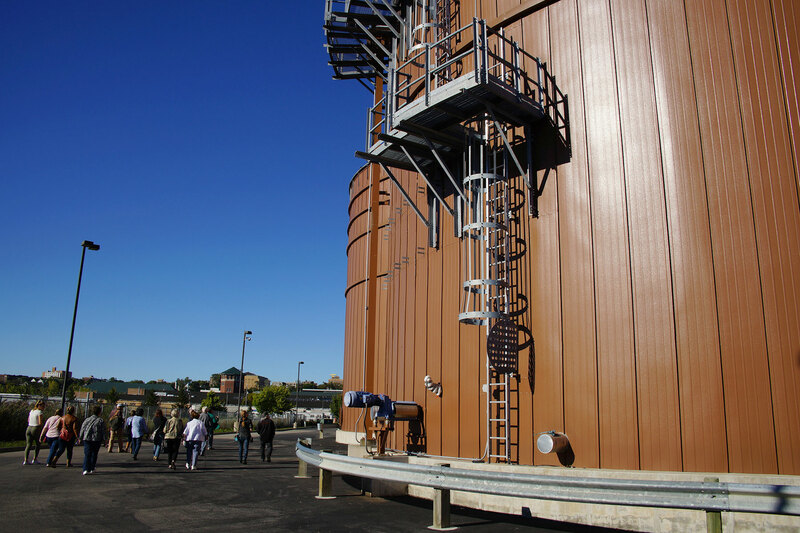 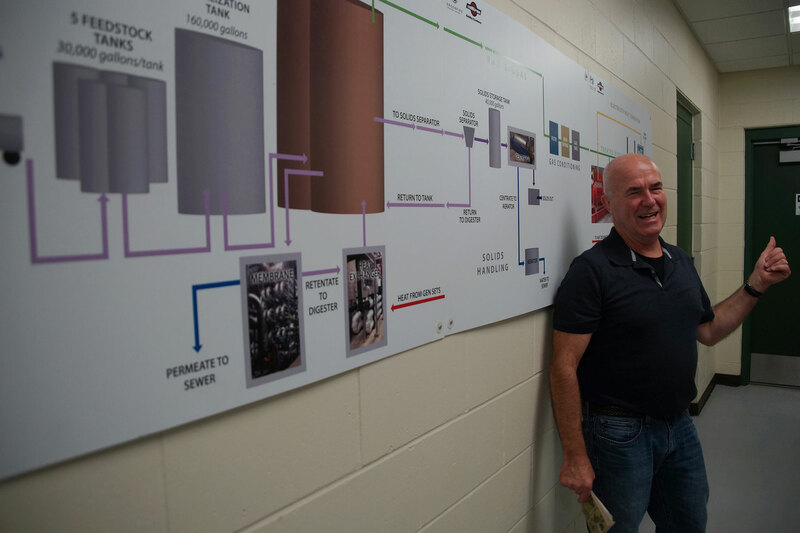 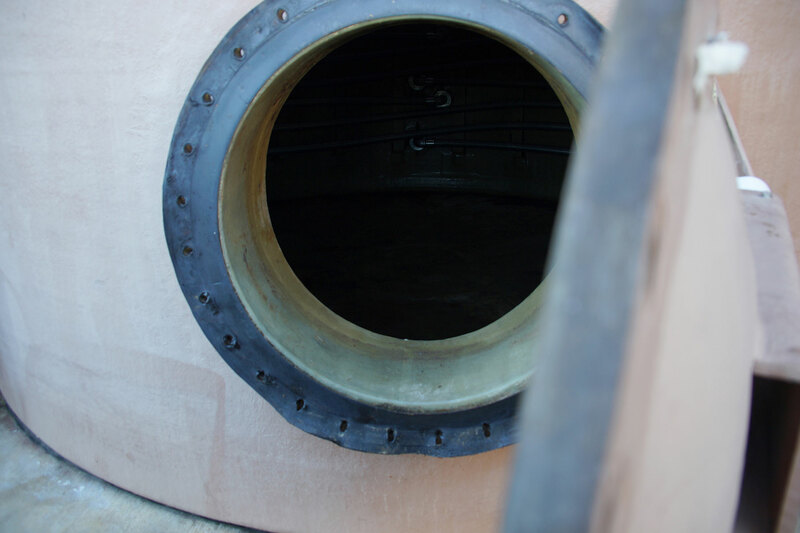 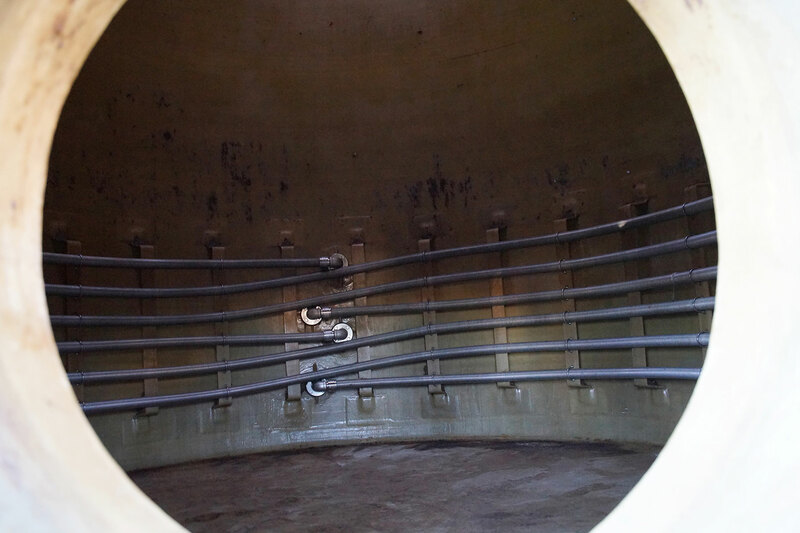 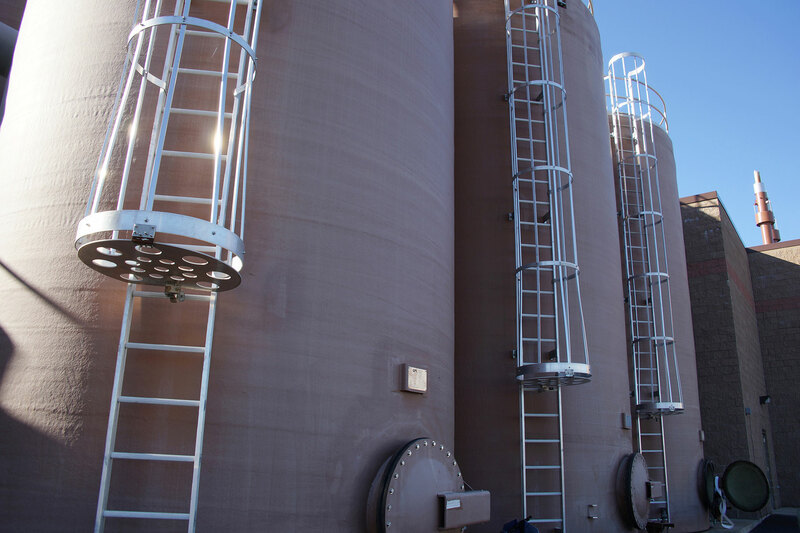 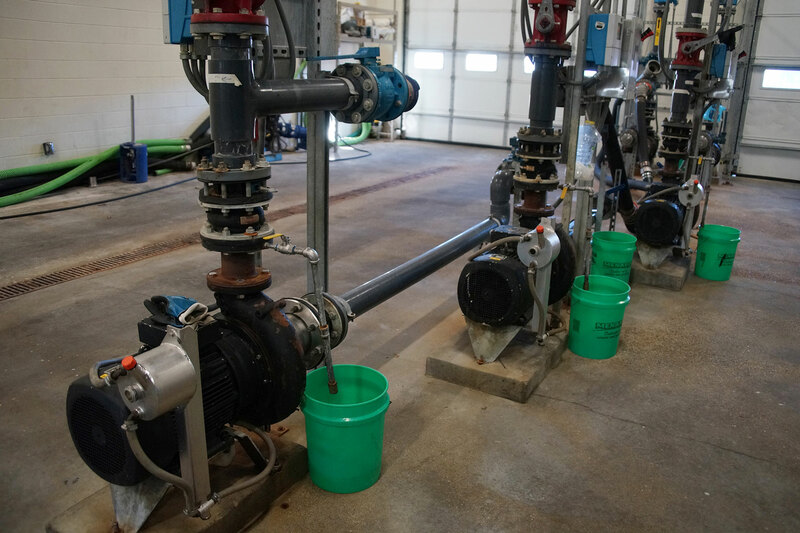 The Forest County Potawatomi’s biodigester is a renewable energy power plant. 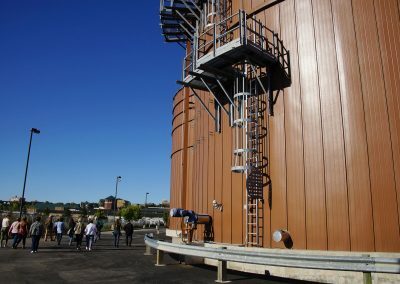 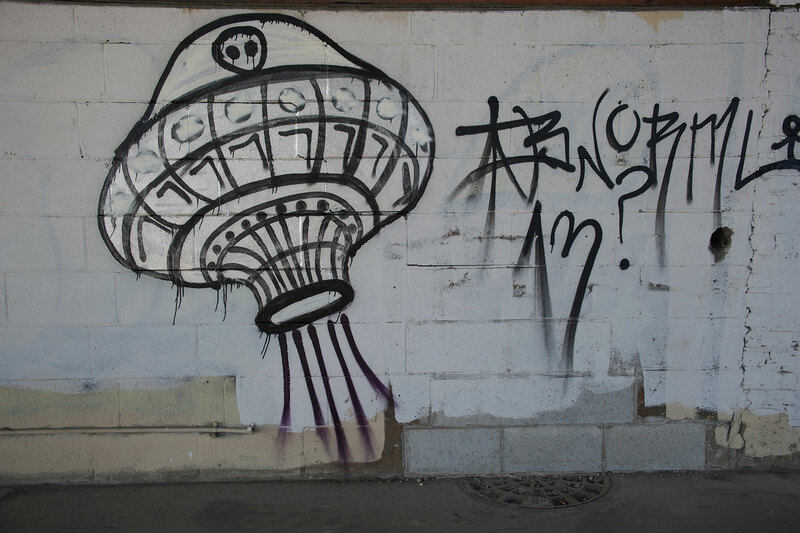 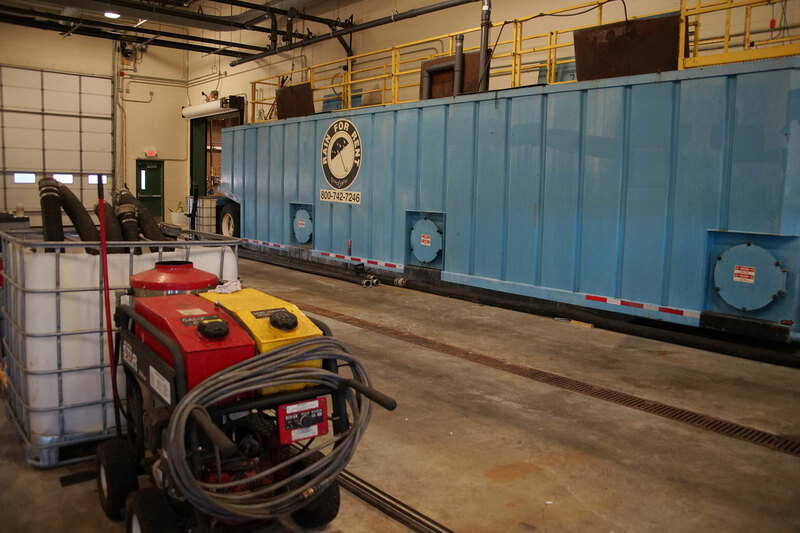 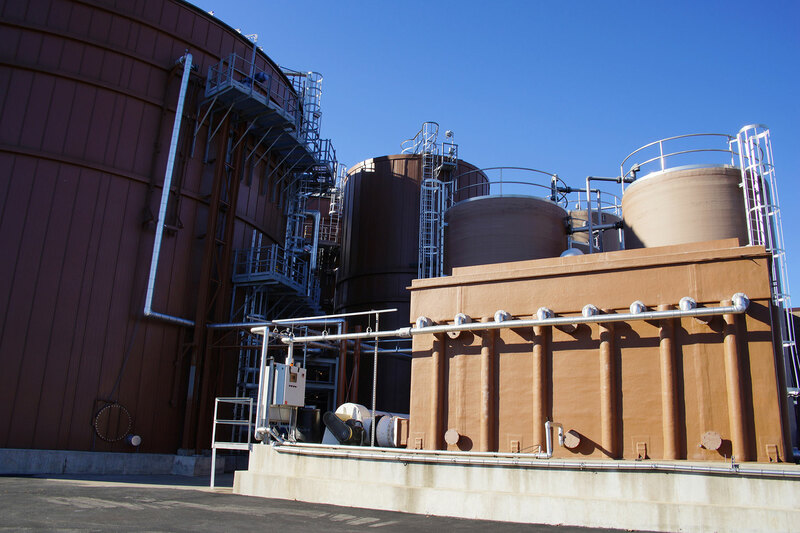 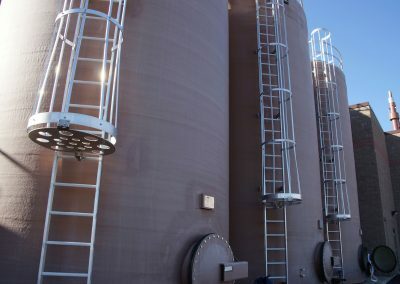 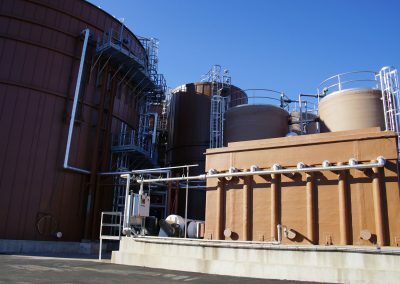 It is powered by food waste that is converted into methane by anaerobic digestion. 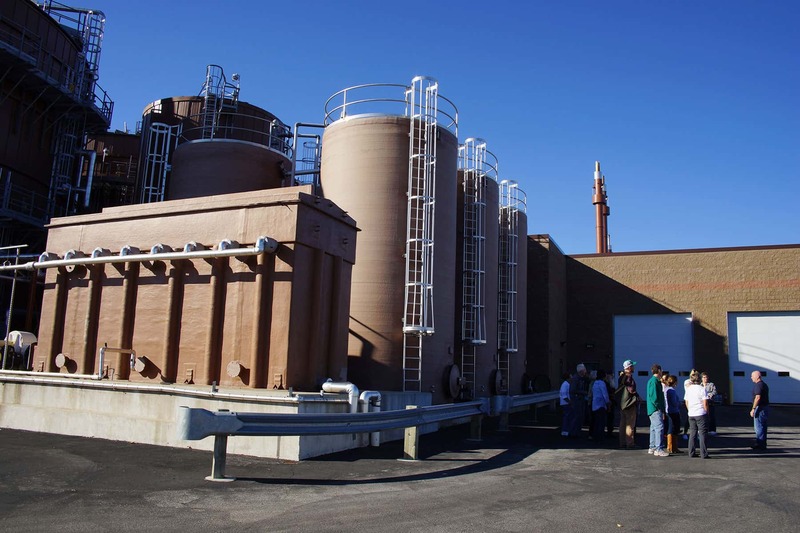 The methane powers two 1 megawatt internal combustion engines. 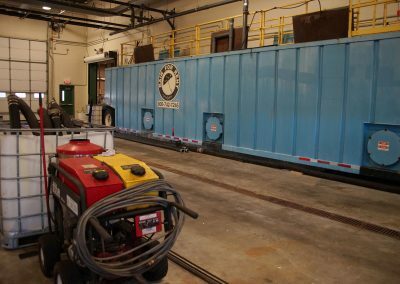 We’ll see the unloading bay, pump room, foodstock tanks and digesters, laboratory, electrical control room, and generators. 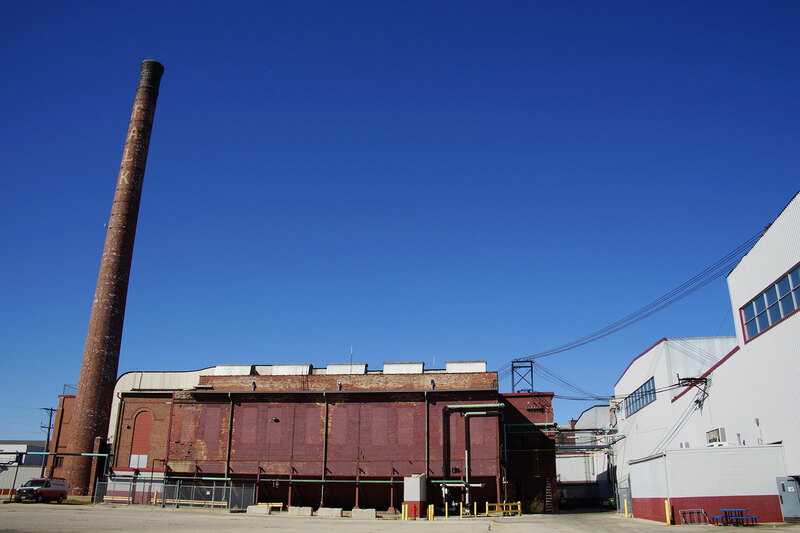 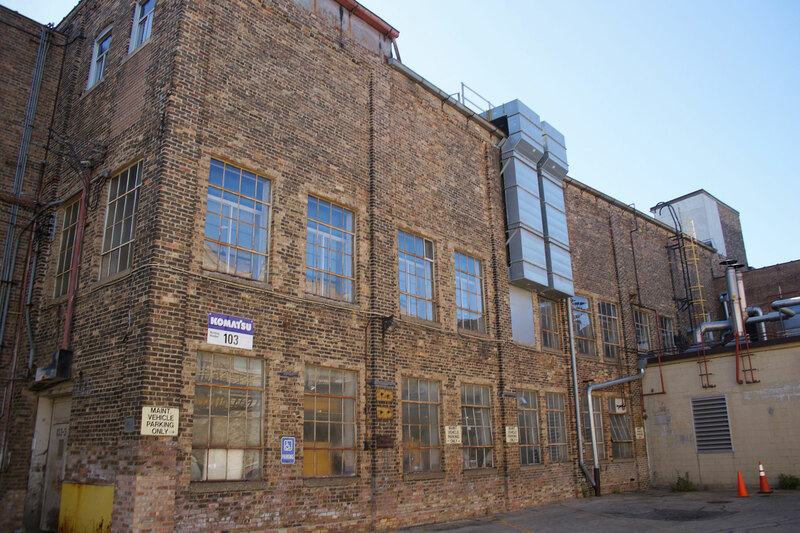 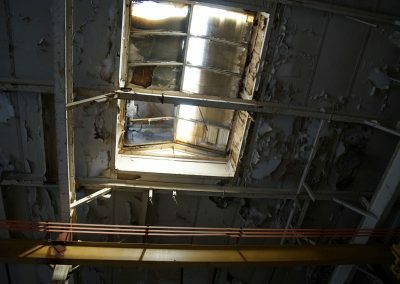 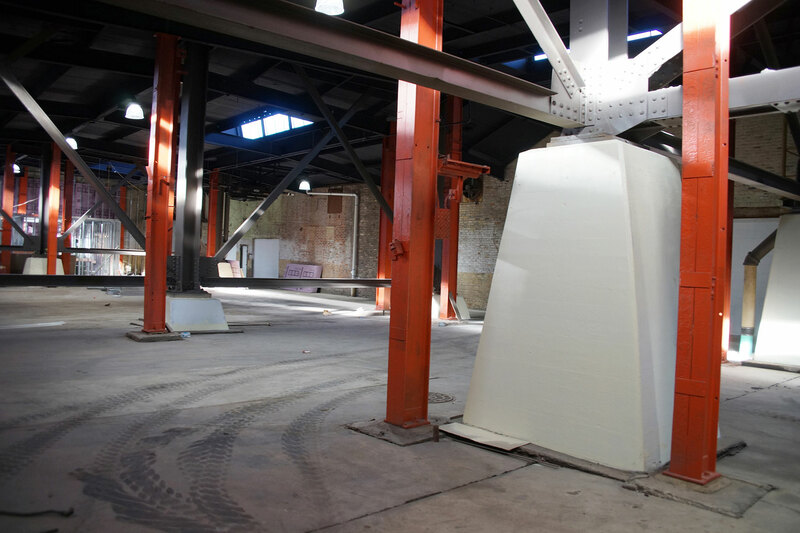 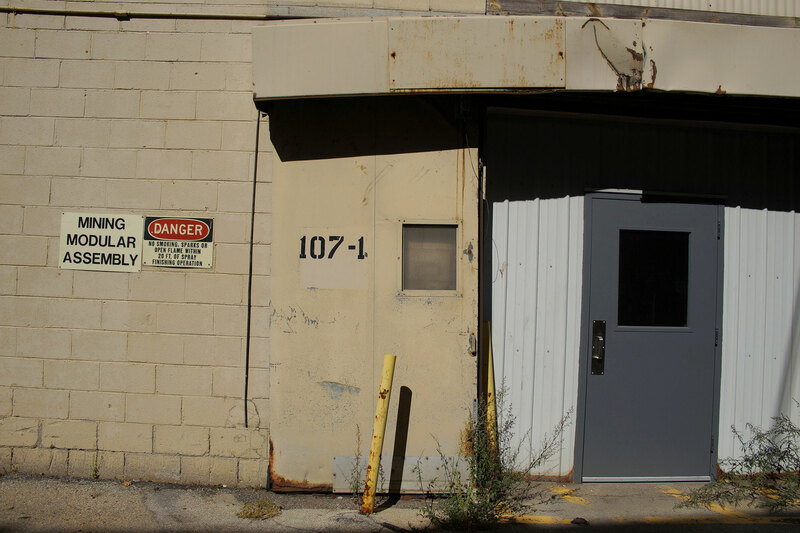 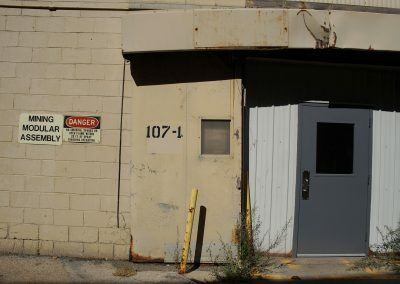 Originally part of Gueder, Paeschke & Frey’s tinware manufacturing facility from the late-1800s through most of the 1900s, the industrial buildings that have sat vacant for decades. 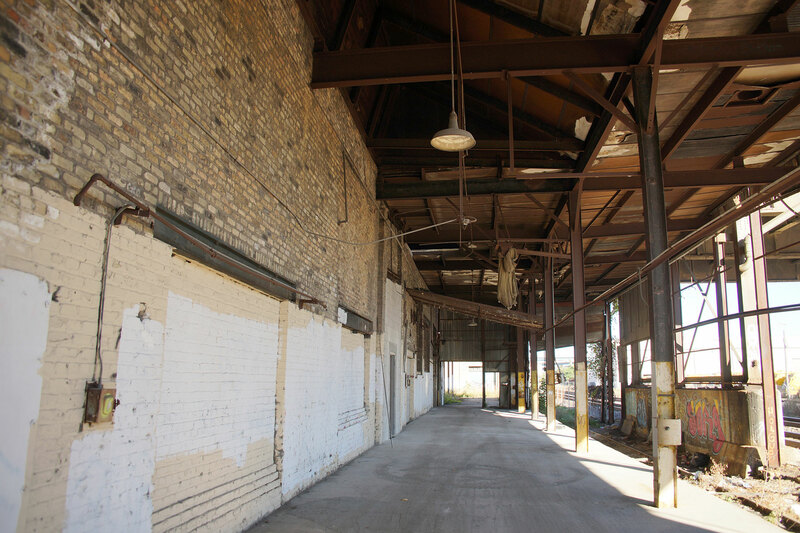 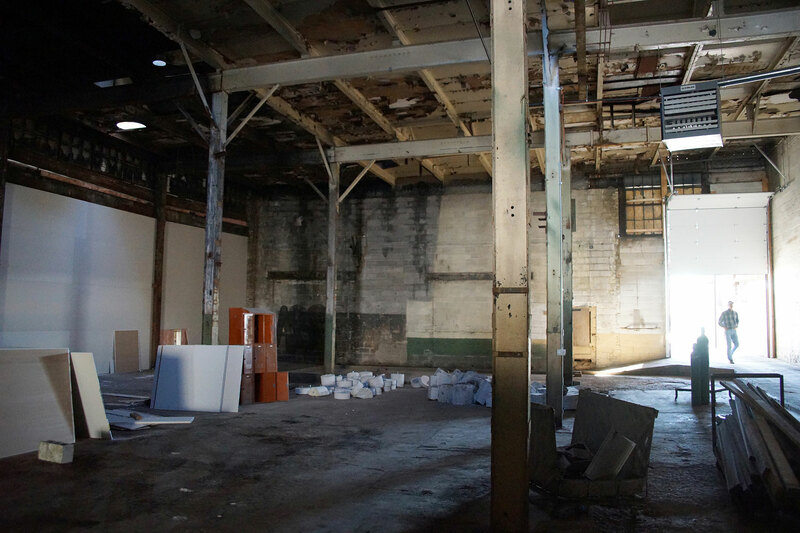 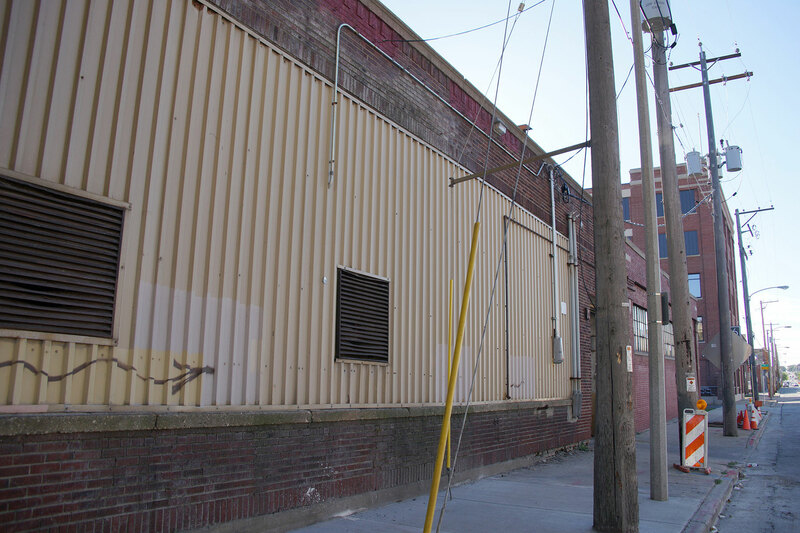 They are now being transformed into Cream City Yards and future home of BrewCity Crossfit. 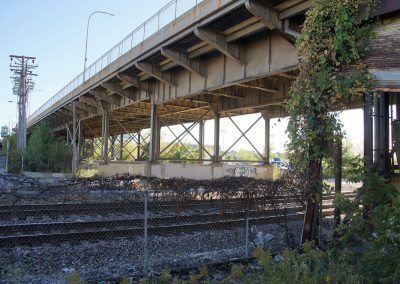 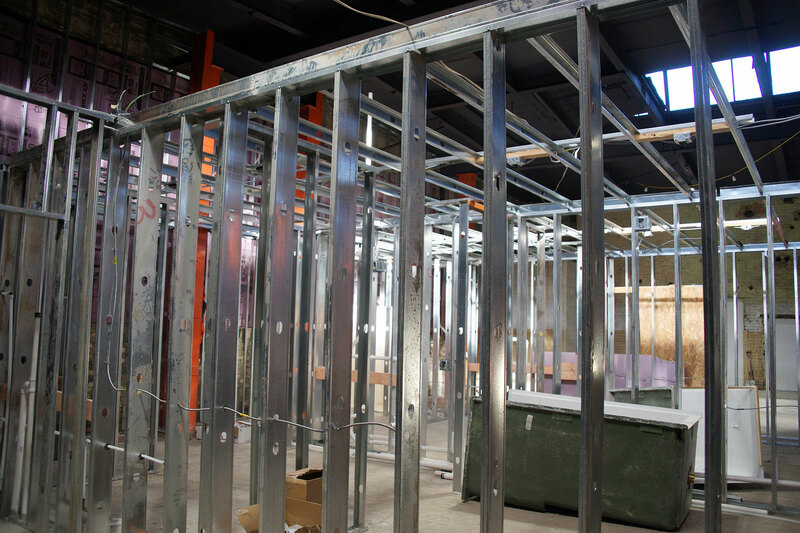 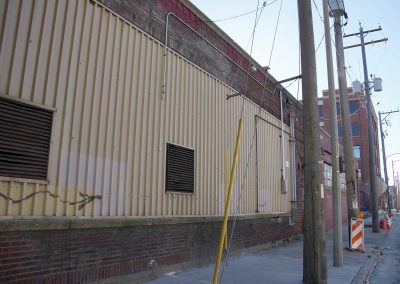 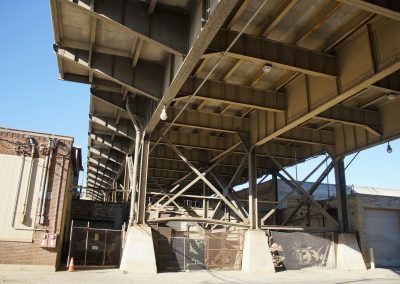 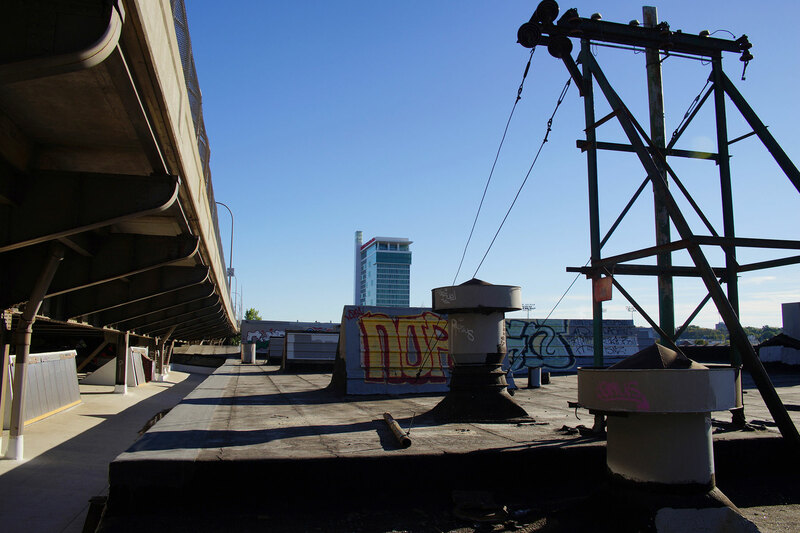 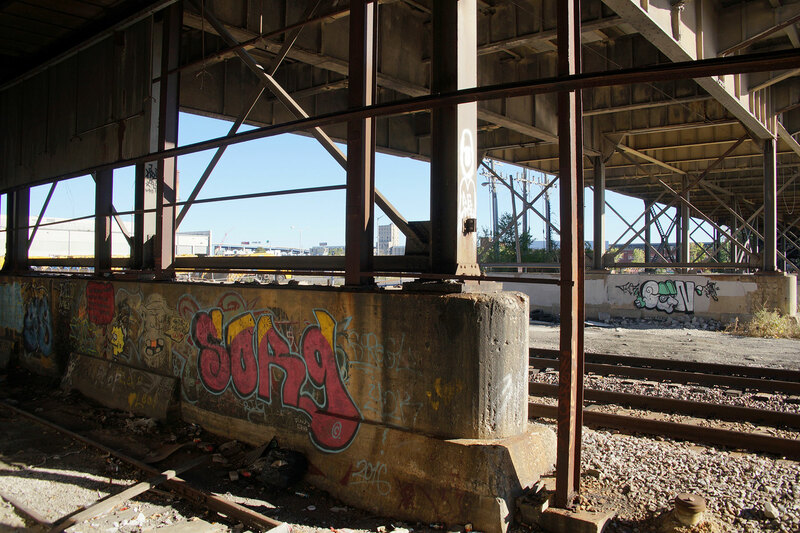 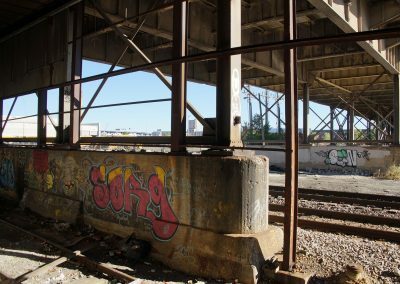 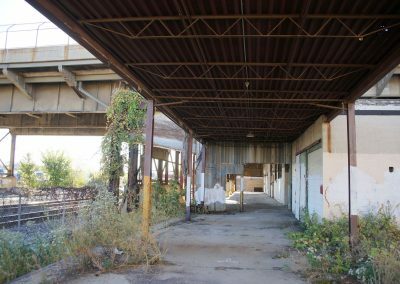 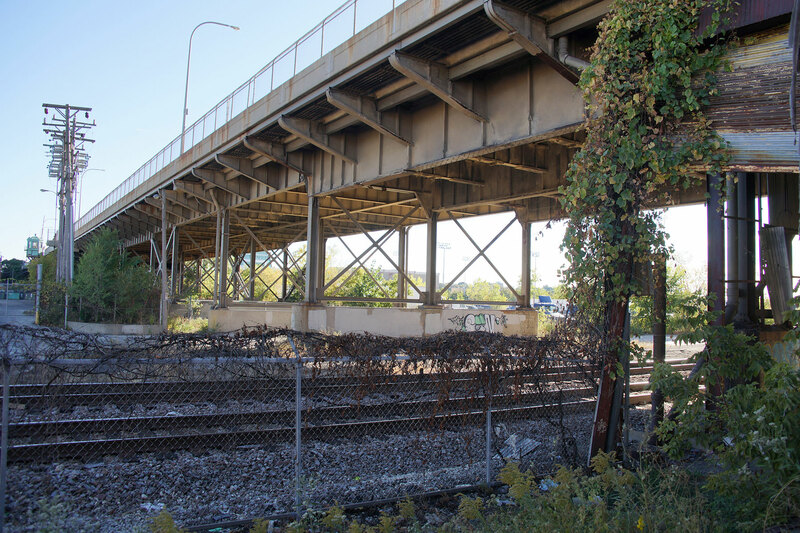 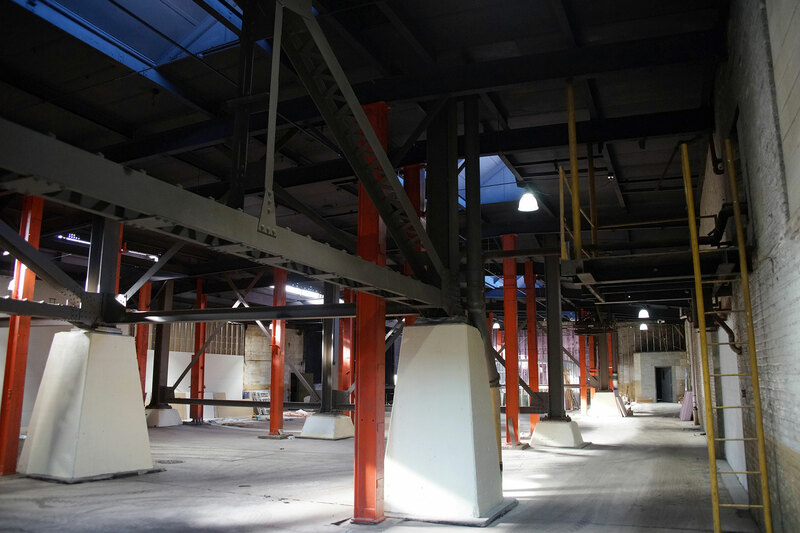 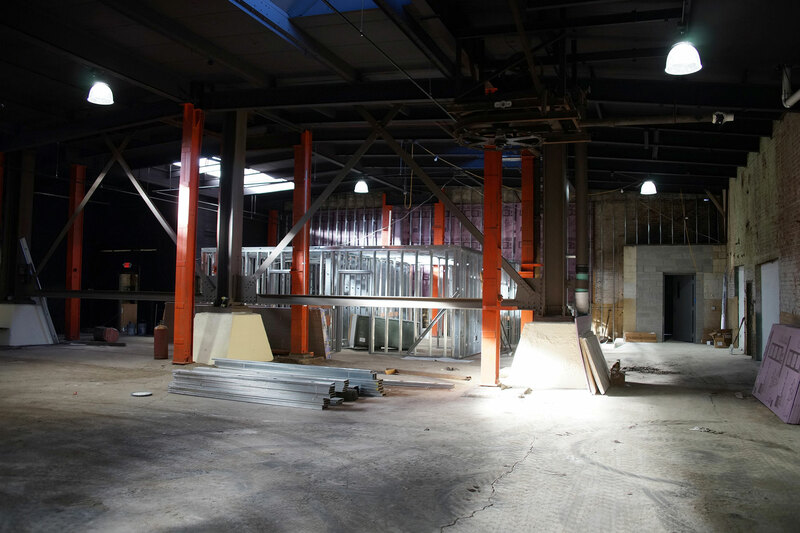 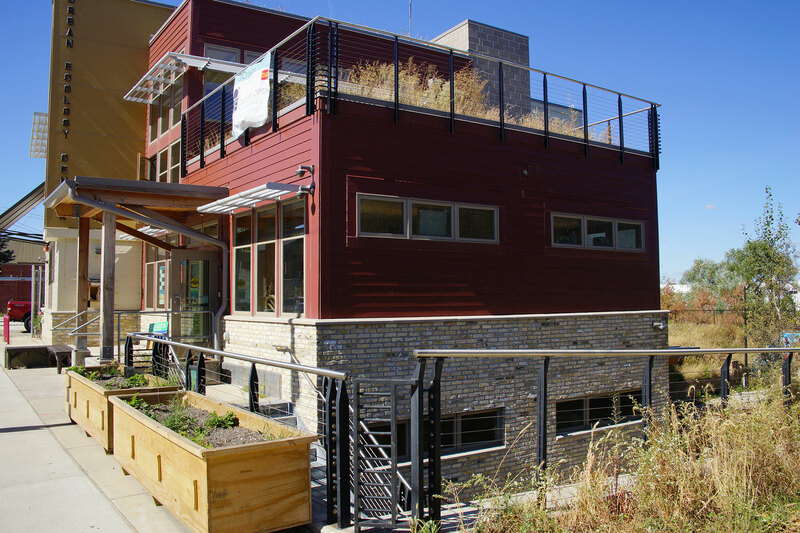 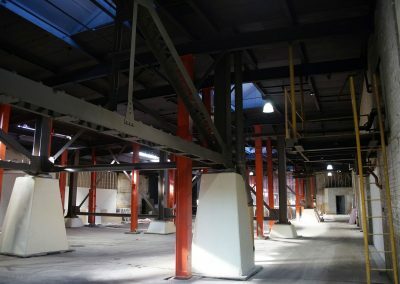 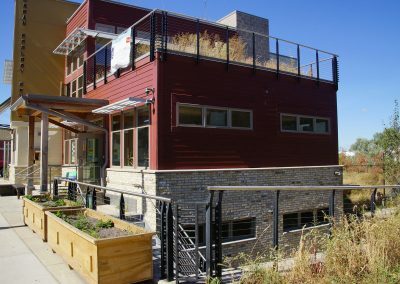 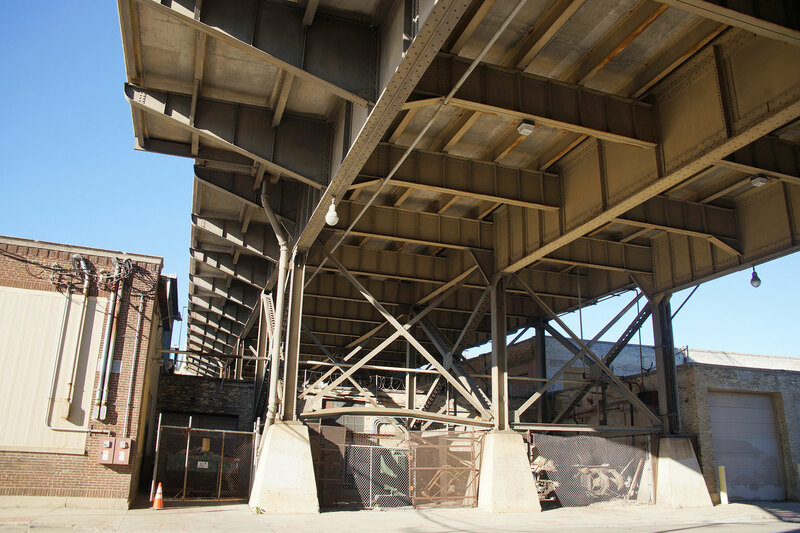 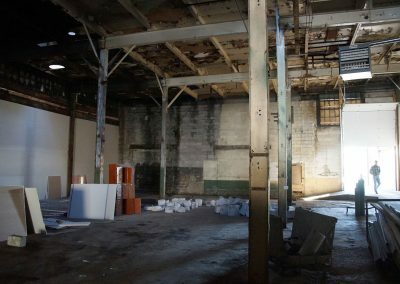 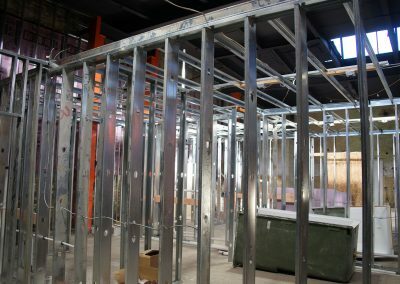 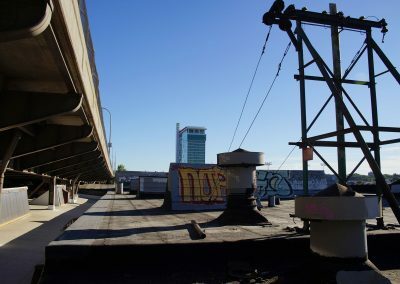 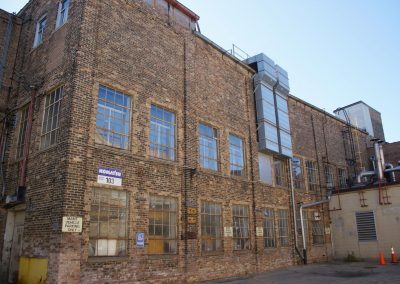 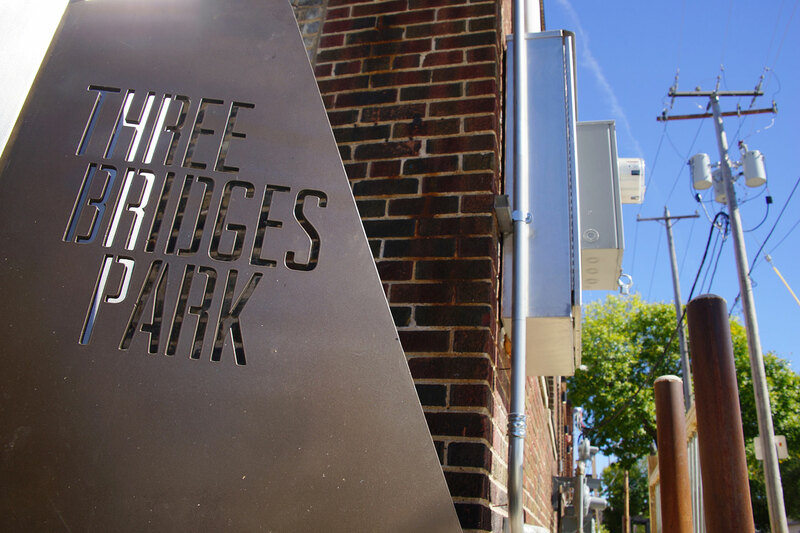 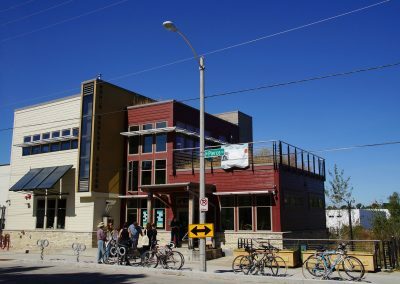 The location is tucked away under the 16th Street Viaduct and is in mid-renovation on St. Paul Avenue, with seven business moves recently completed or in progress. 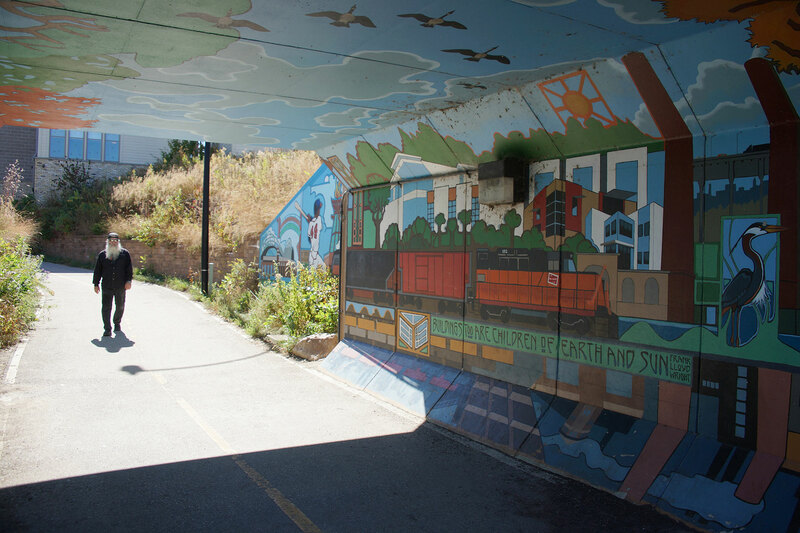 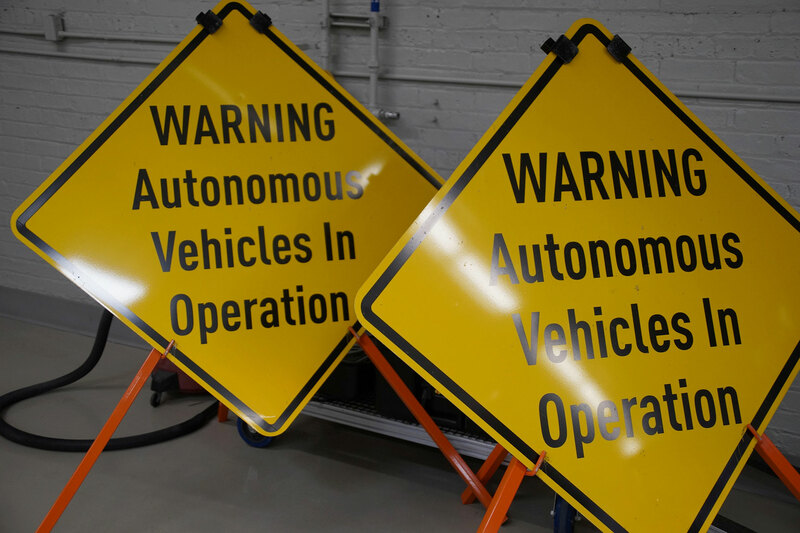 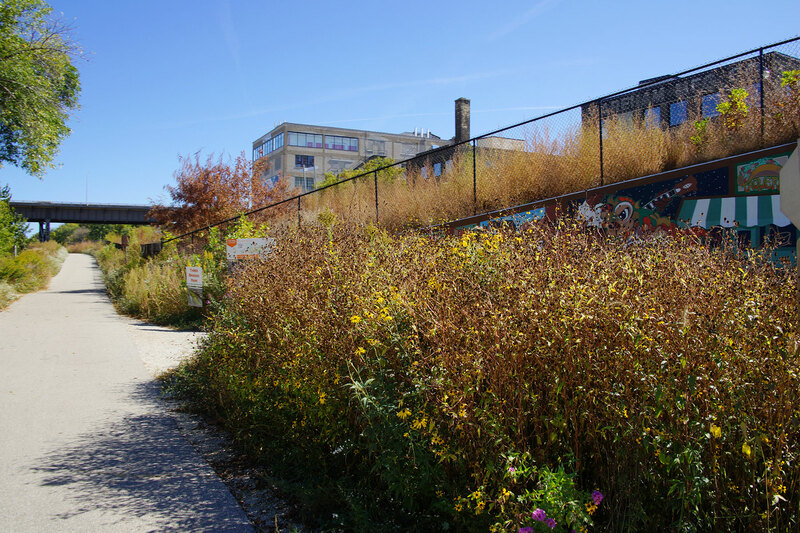 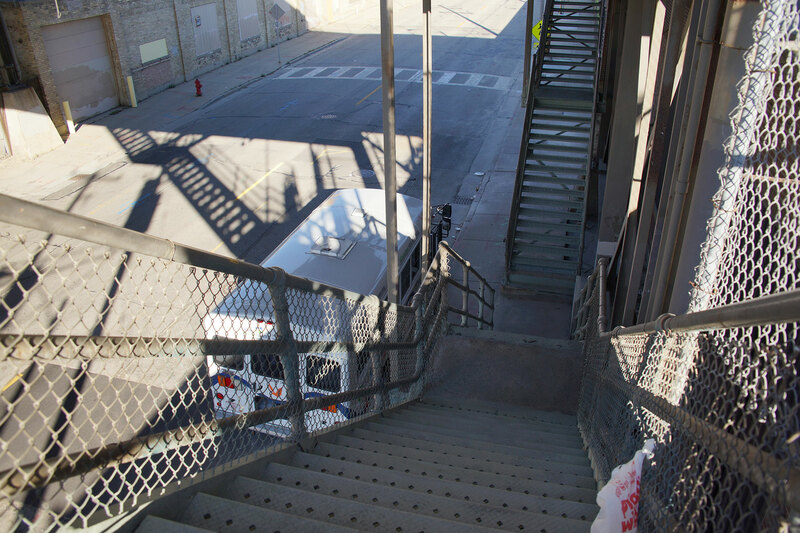 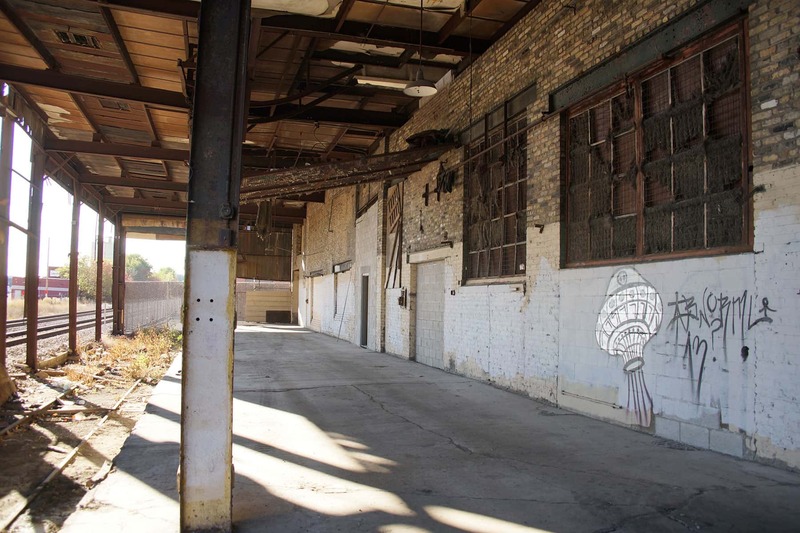 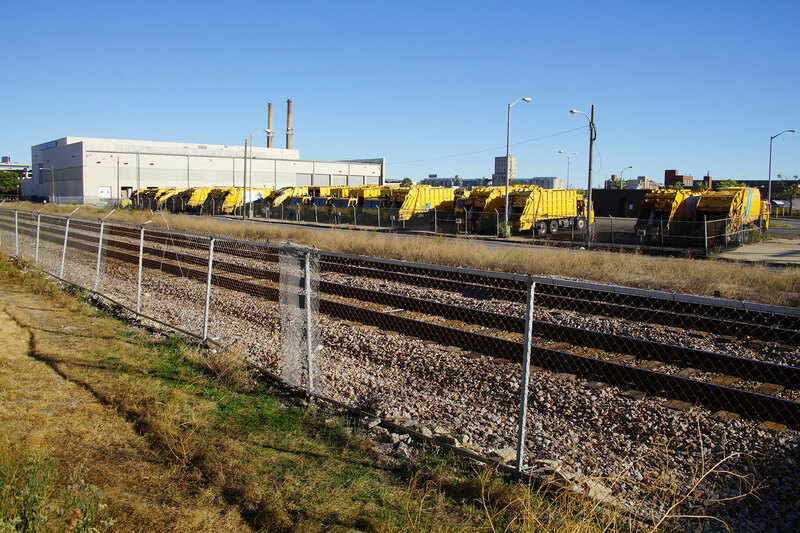 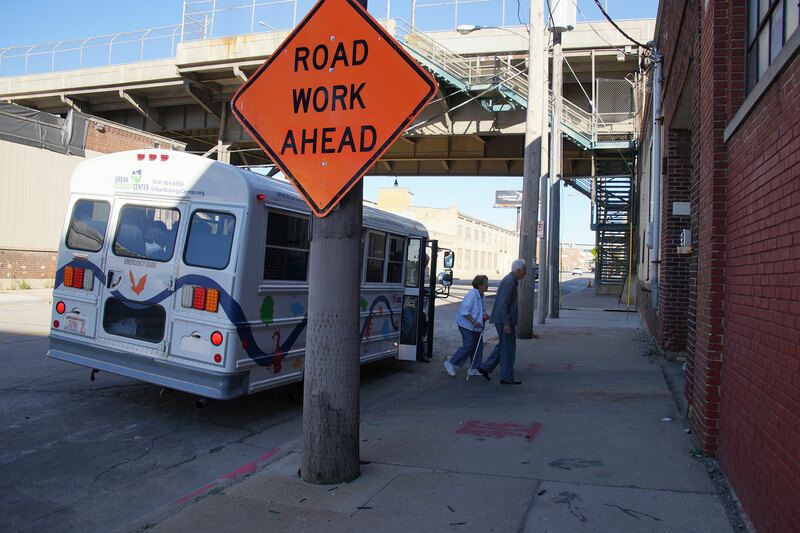 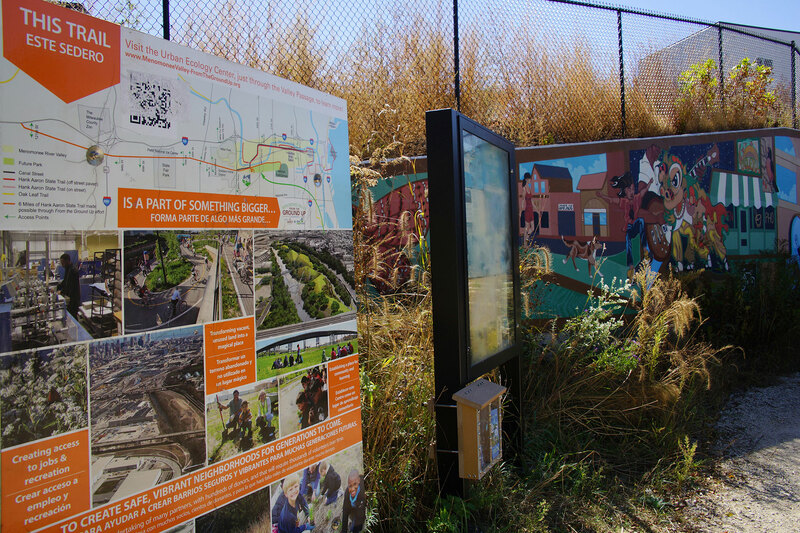 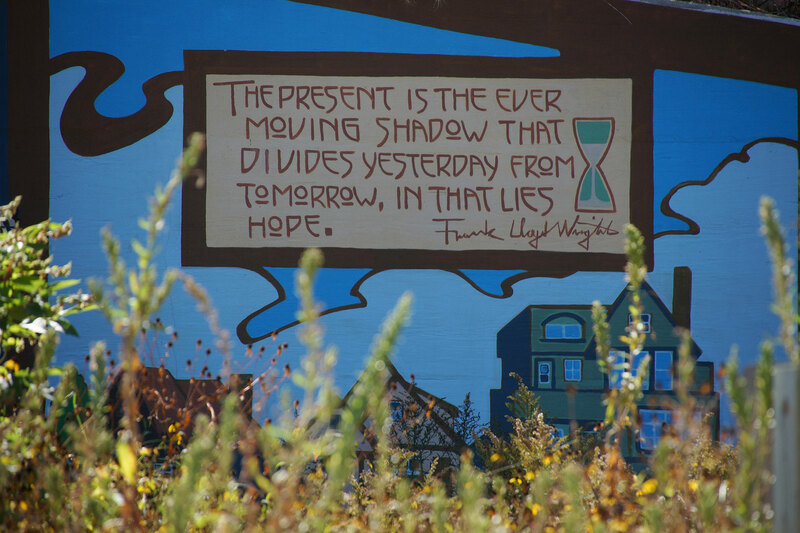 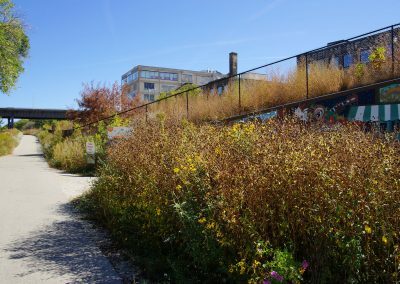 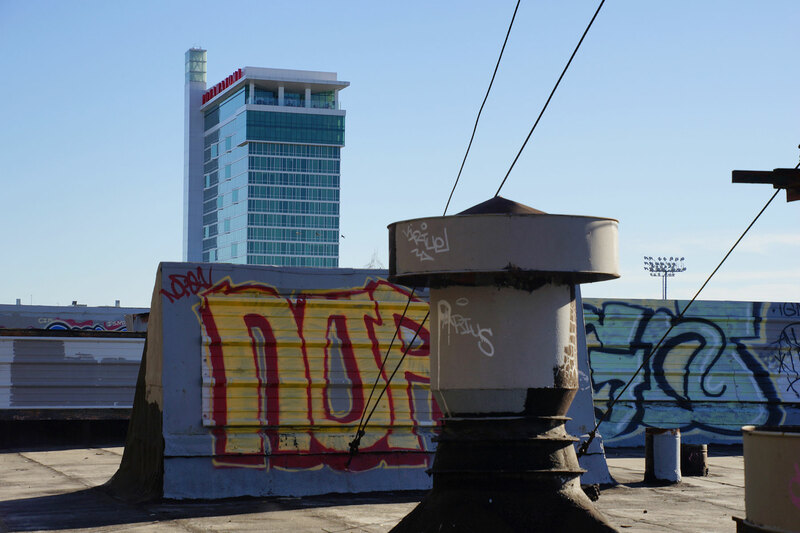 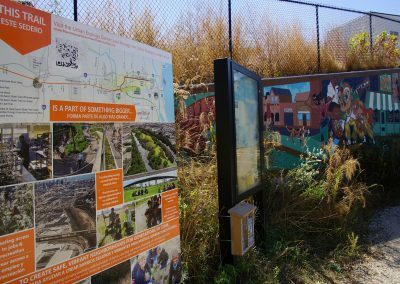 During the course of 18 months, Menomonee Valley Partners and the City of Milwaukee held public meetings and met with hundreds of stakeholders to envision what the Menomonee Valley will become in the next 20 years. 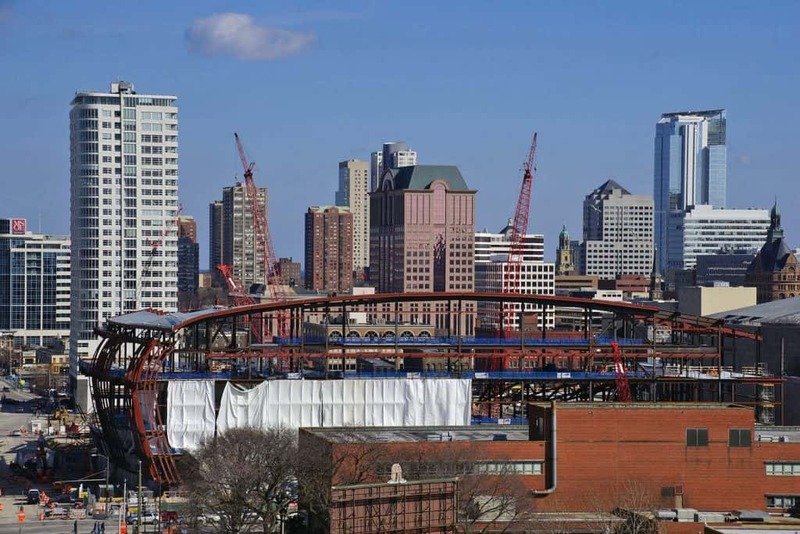 The City of Milwaukee Common Council approved the Valley 2.0 plan in June 2015. 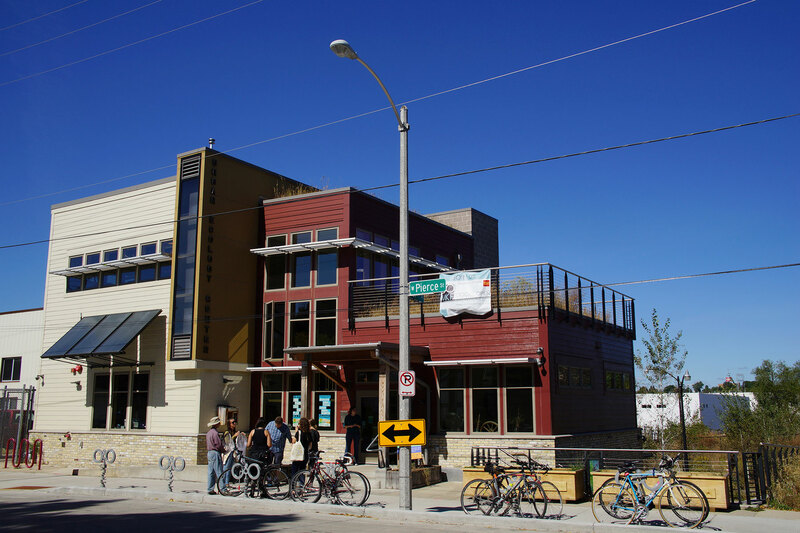 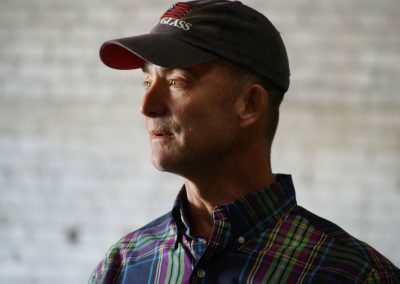 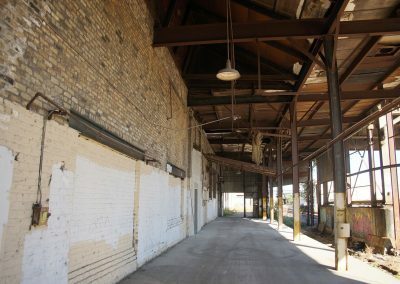 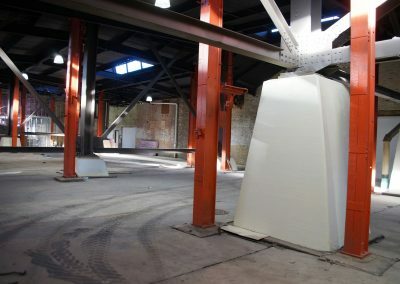 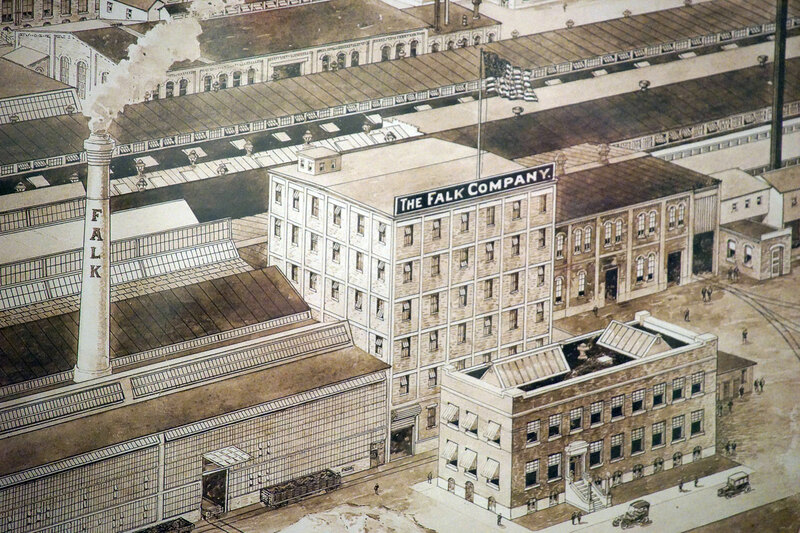 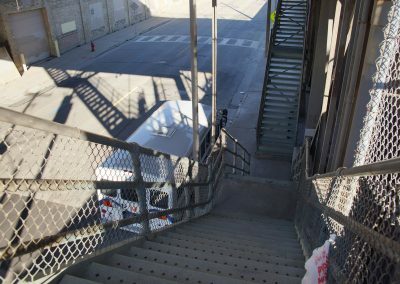 The plan communicates five major initiatives for creating a food and beverage cluster, establishing a St. Paul Avenue design showroom district, preserving the Bruce and Pierce industrial district, improving the gateway to the menomonee valley from i-94, and better connecting the valley.